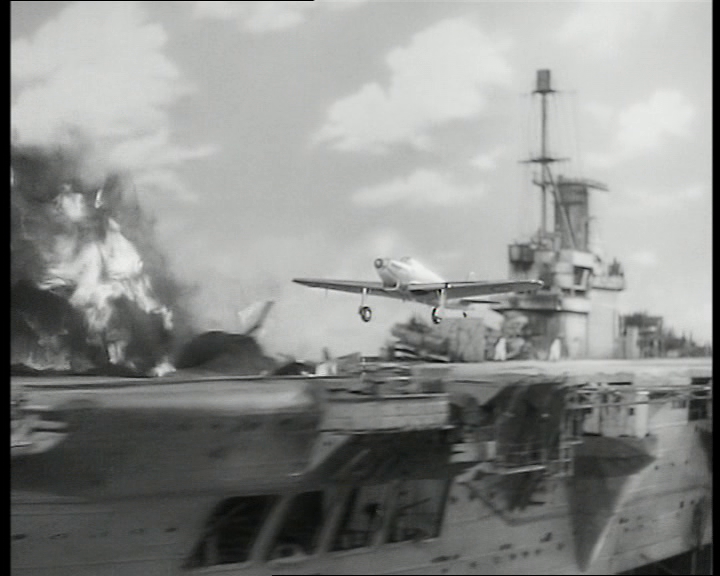 This is really a very unconvincing film on every front, from the cornball story, the casting of the actors playing navy types and Nazis and regrettably the miniatures which are very studio bound in their action and cinematography. On many shots there appears to have been not enough light leading to depth of field problems, the tell tale sign of a miniature, with large parts of the image in soft focus. 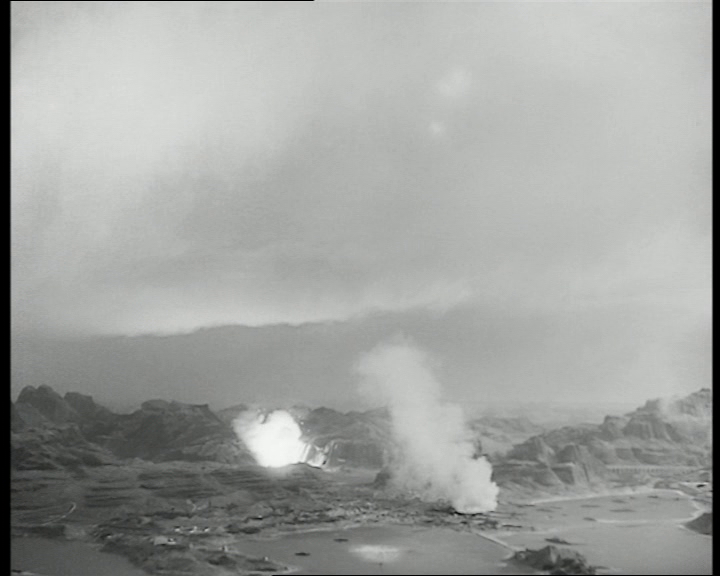 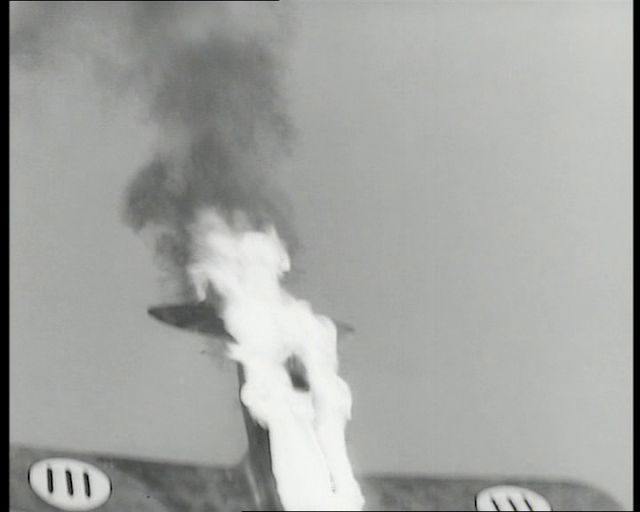 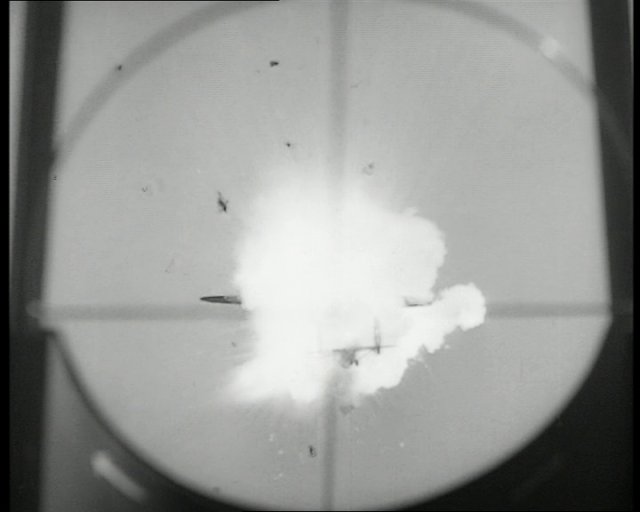 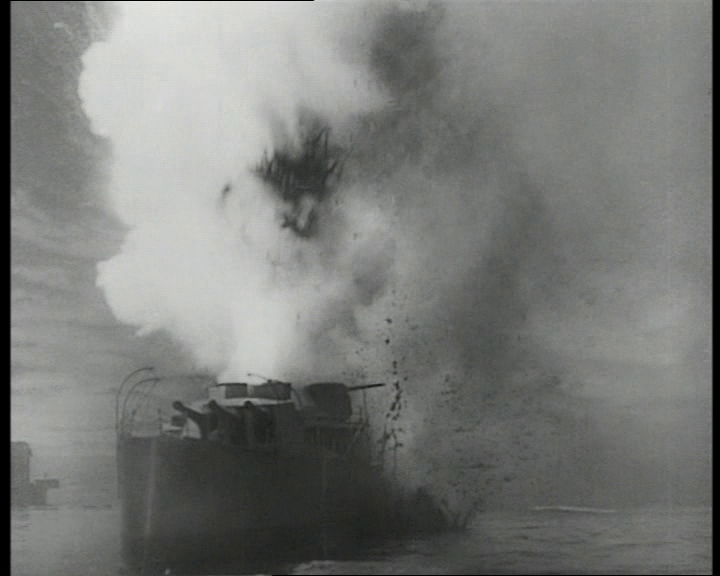 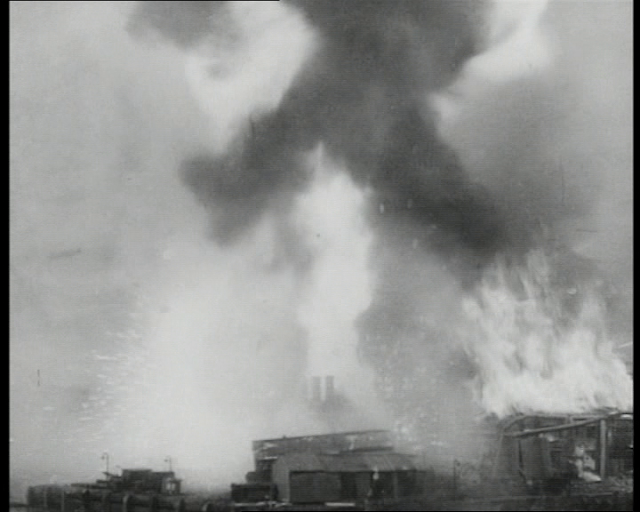 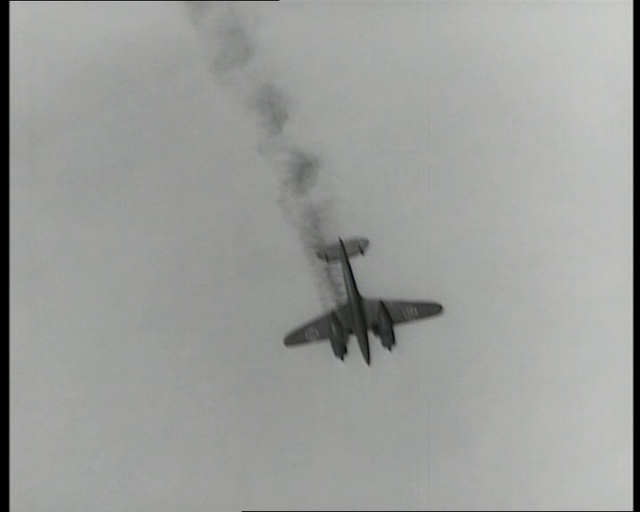 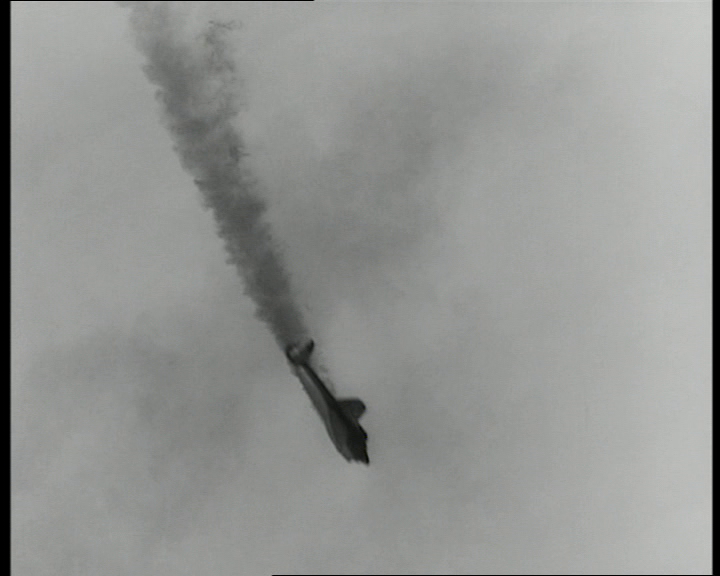 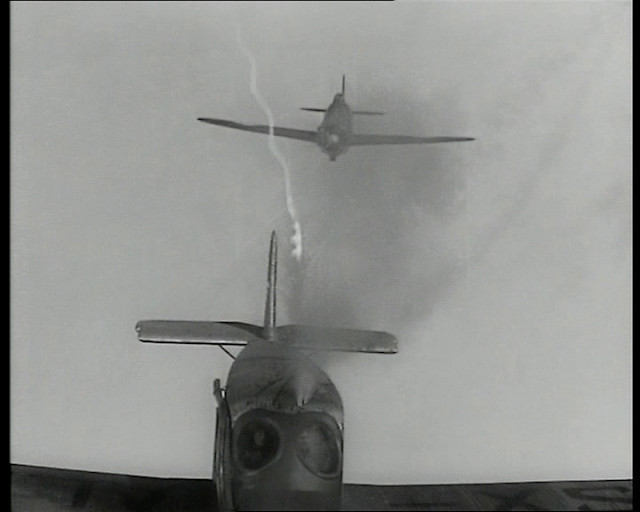 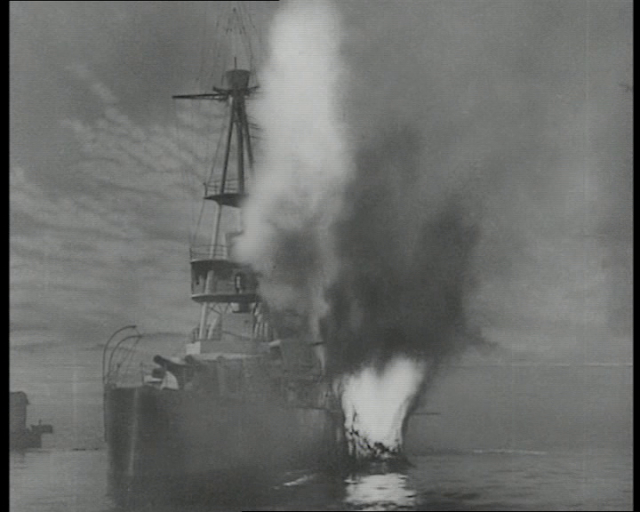 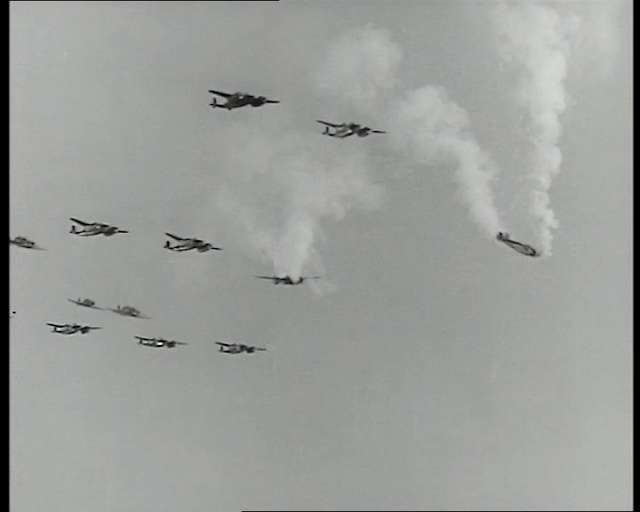 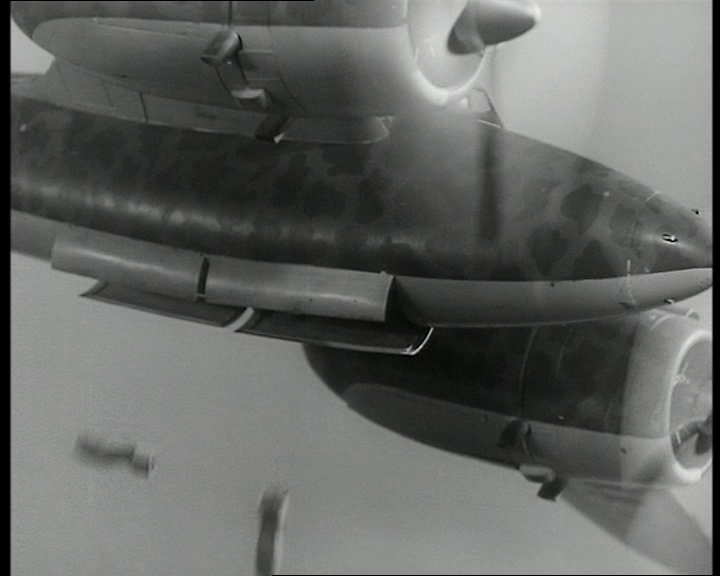 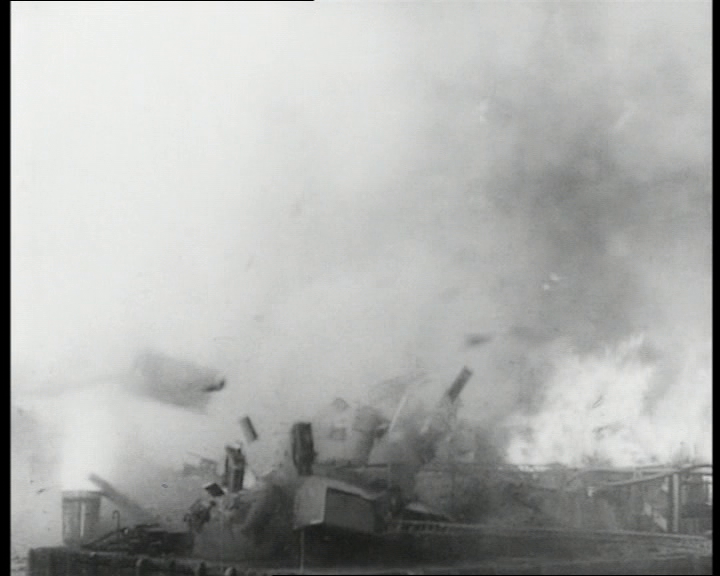 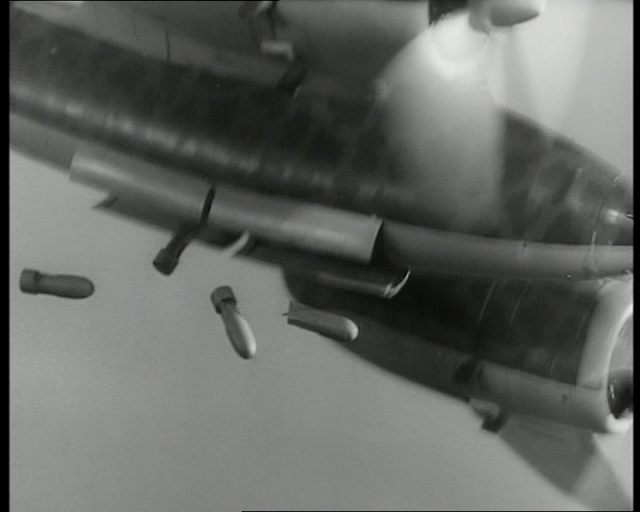 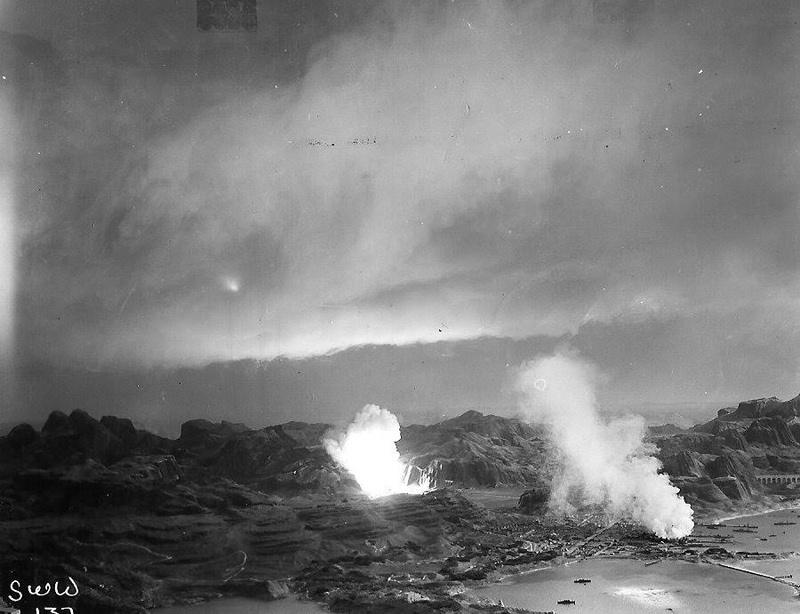 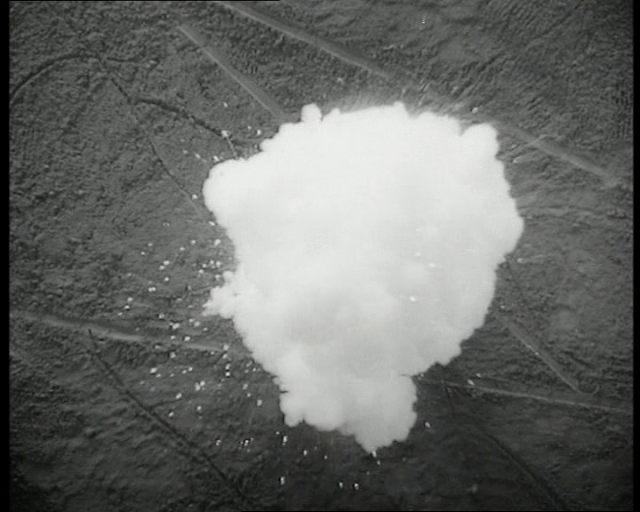 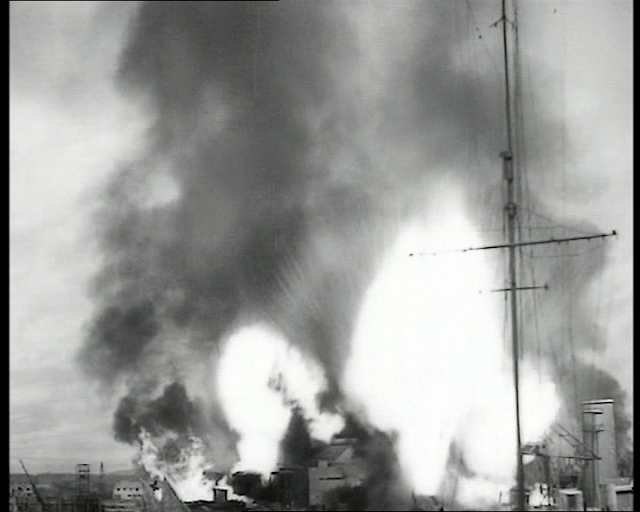 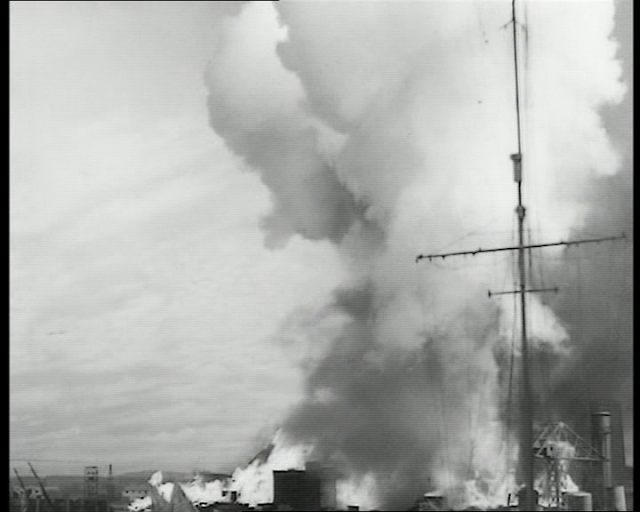 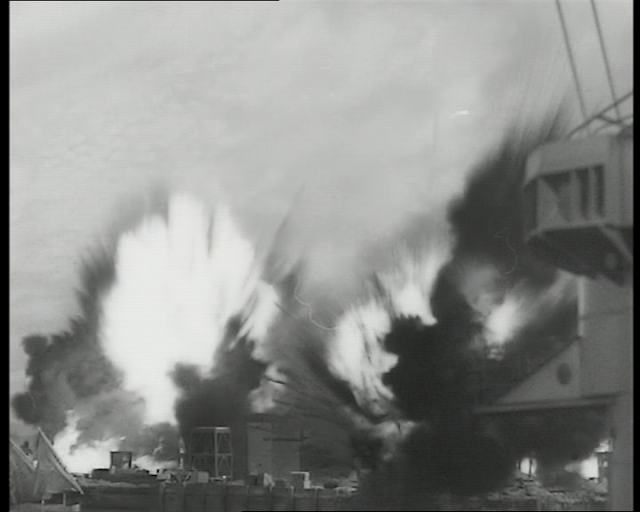 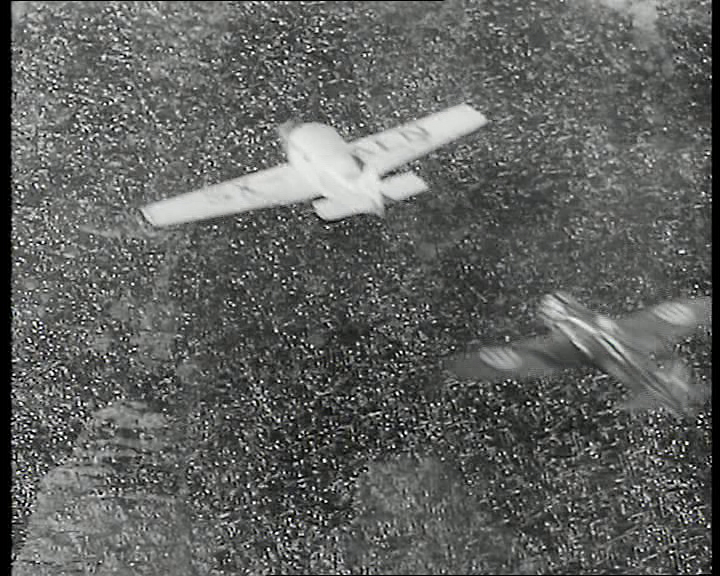 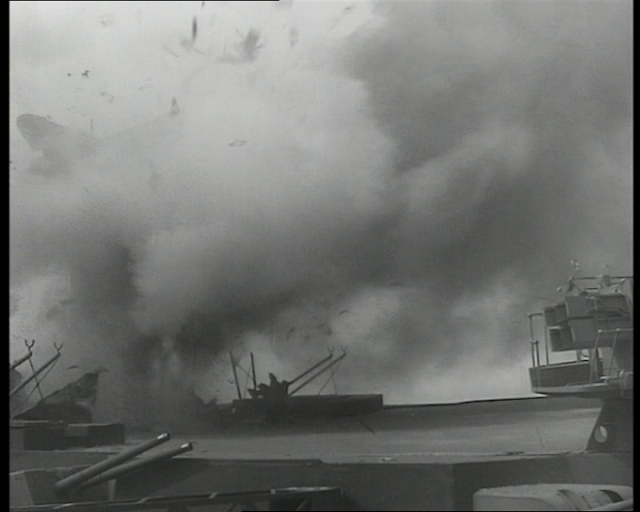 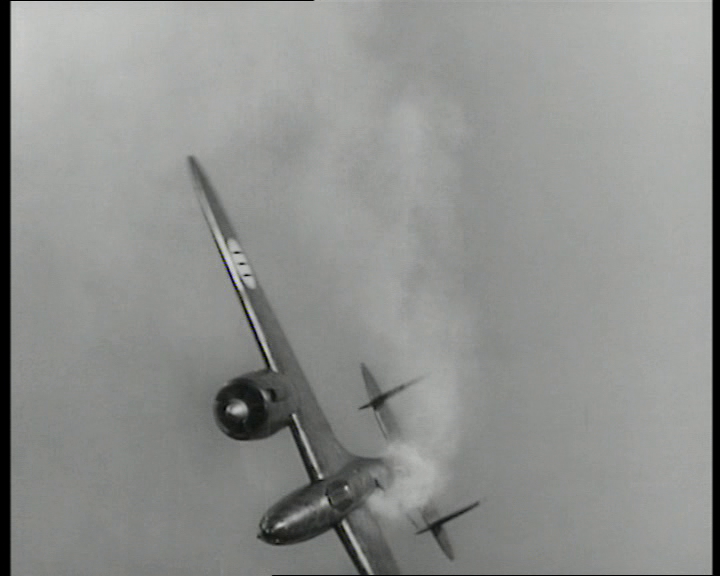 The other issue with the lack of light is that the cameras were not turning over with a high enough frame rate so many of the miniatures and particularly the pyrotechnic smoke and explosions are very fast and look the small scale that they actually were. 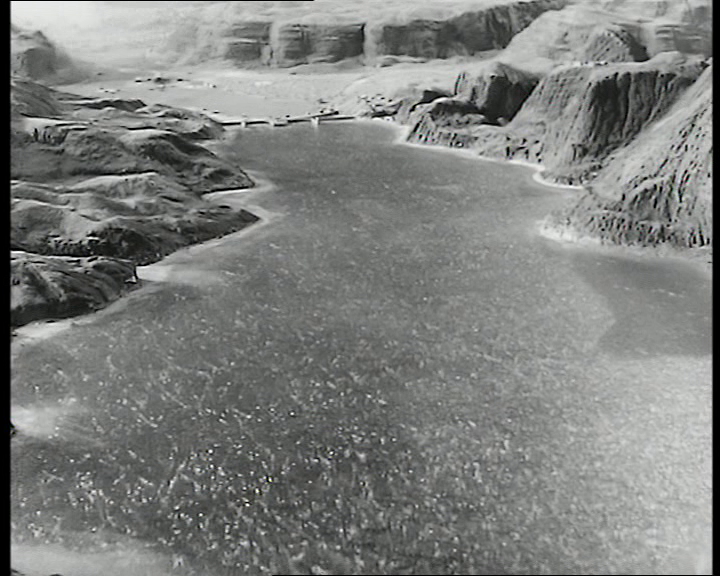 See the post Camera Lighting and Lens for more on this topic. 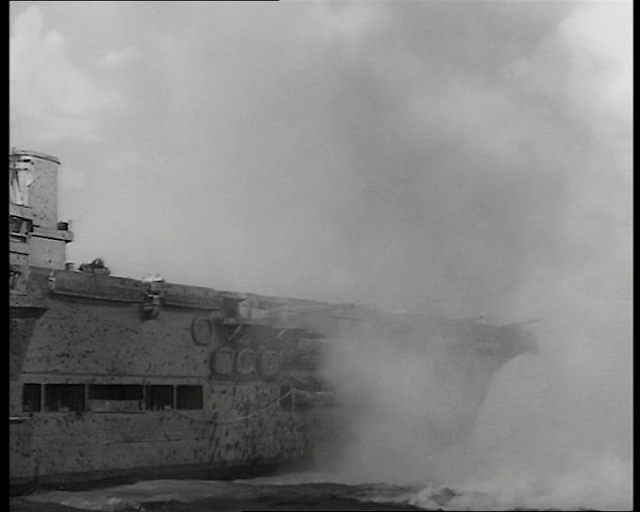 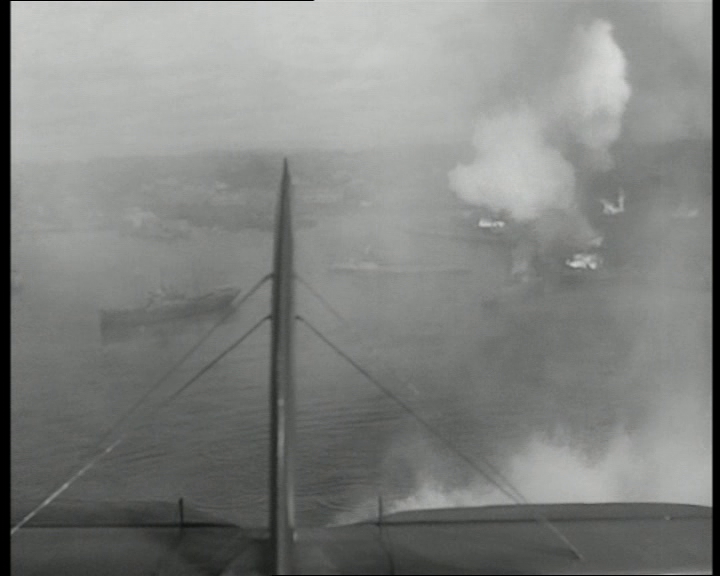 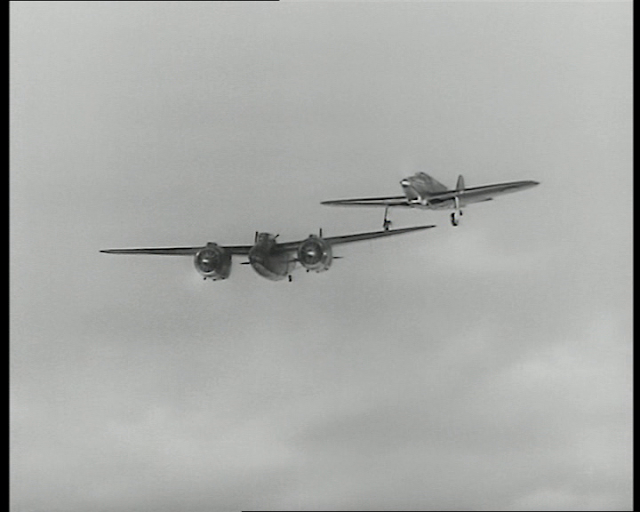 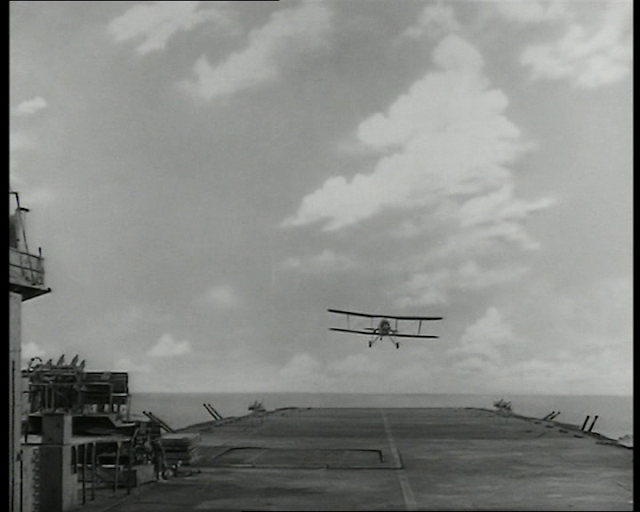 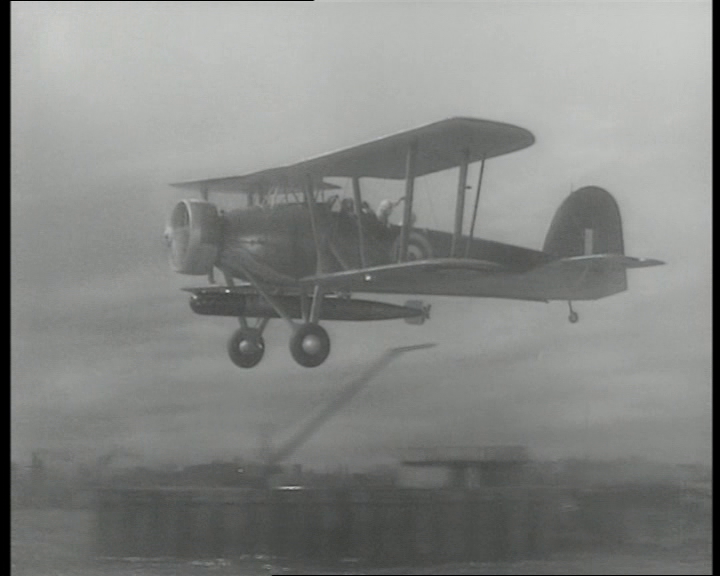 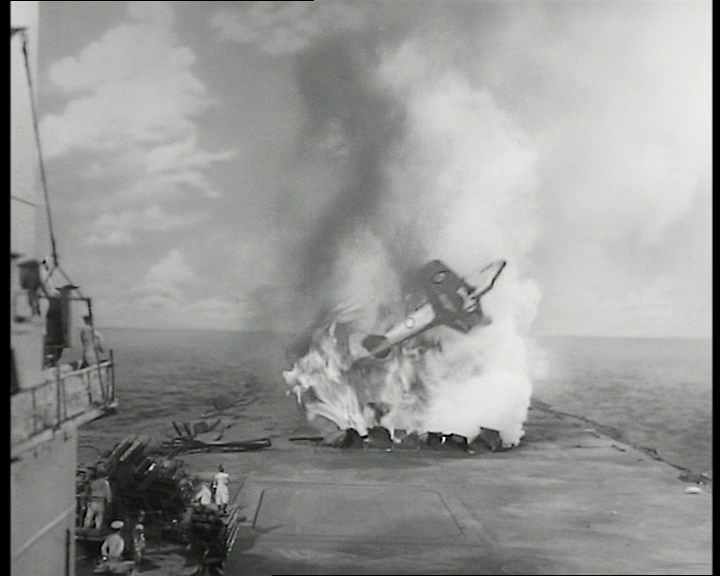 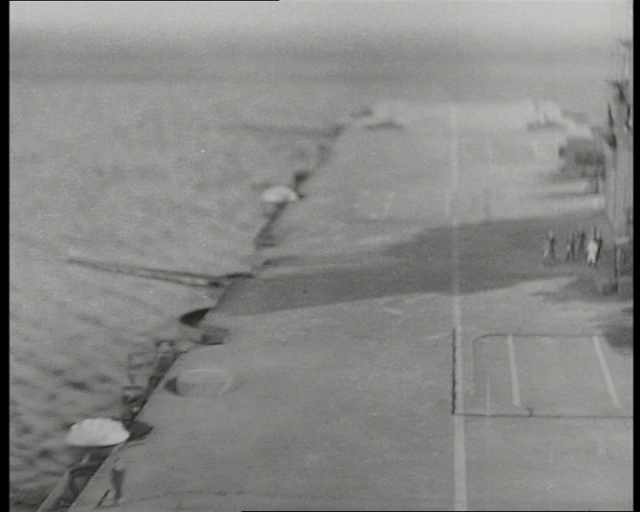 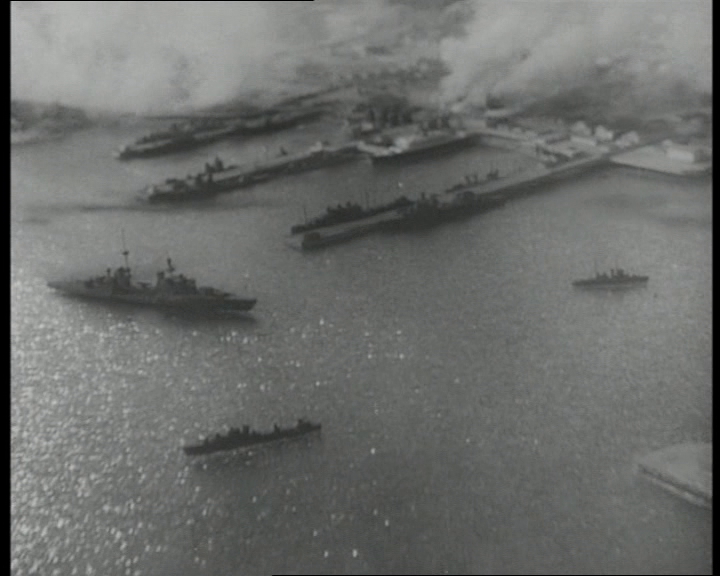 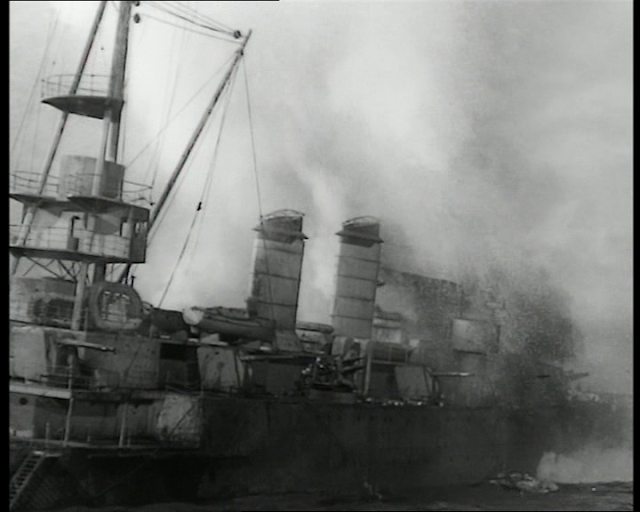 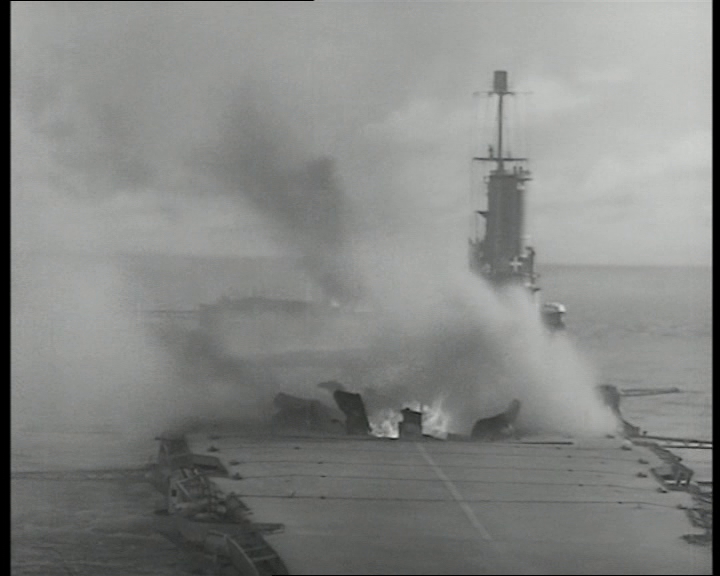 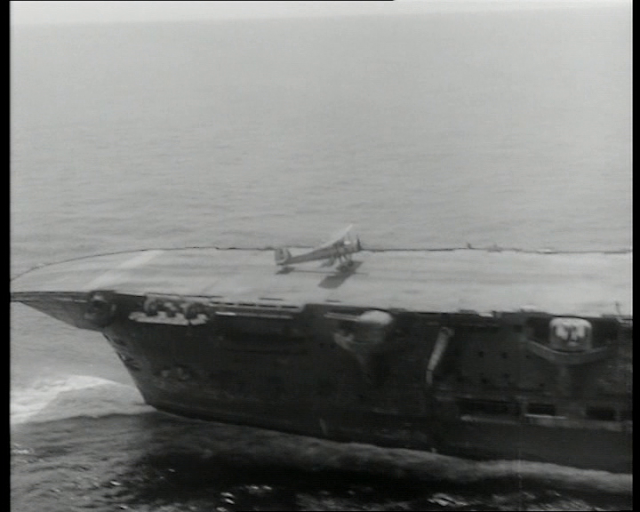 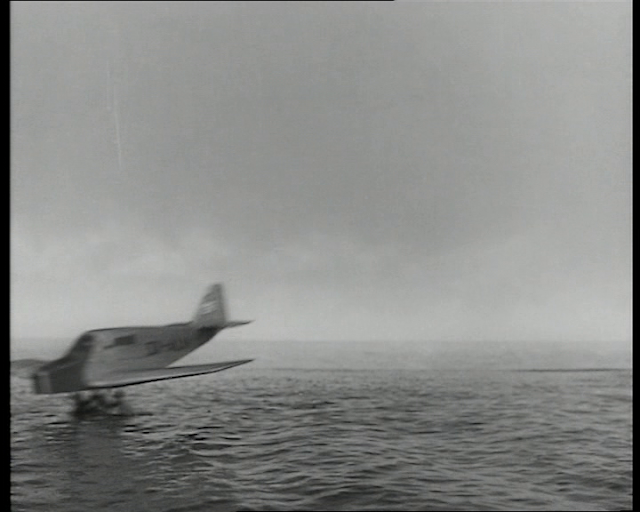 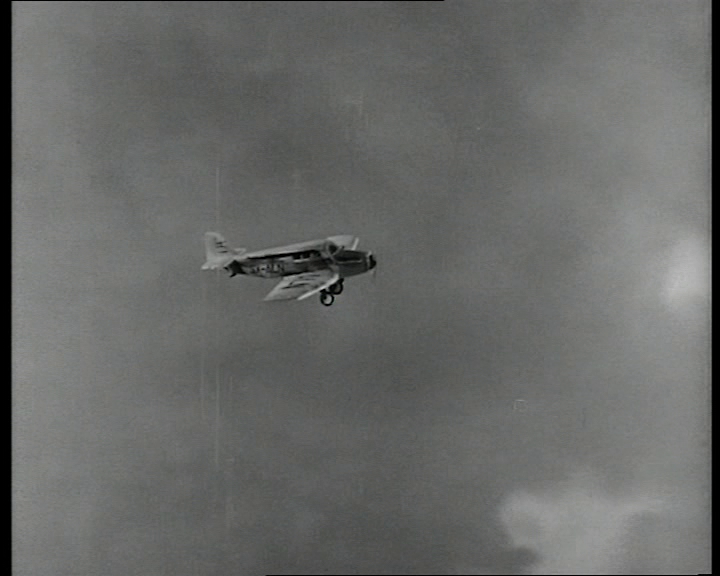 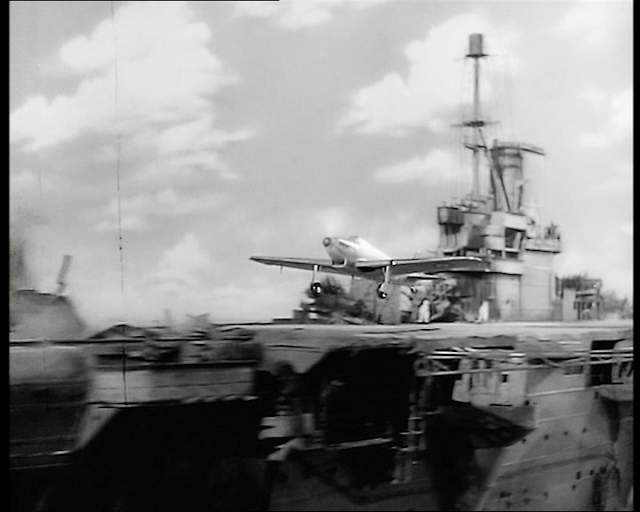 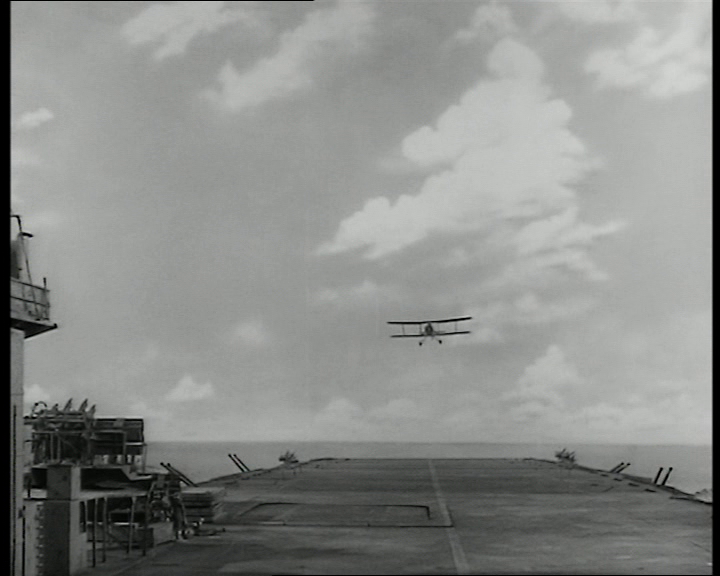 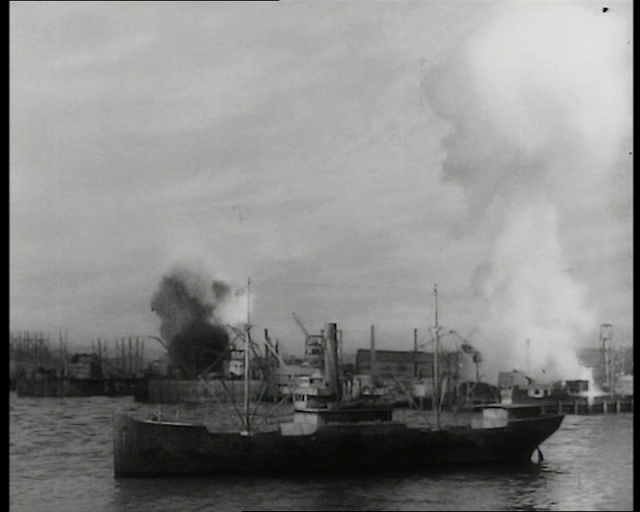 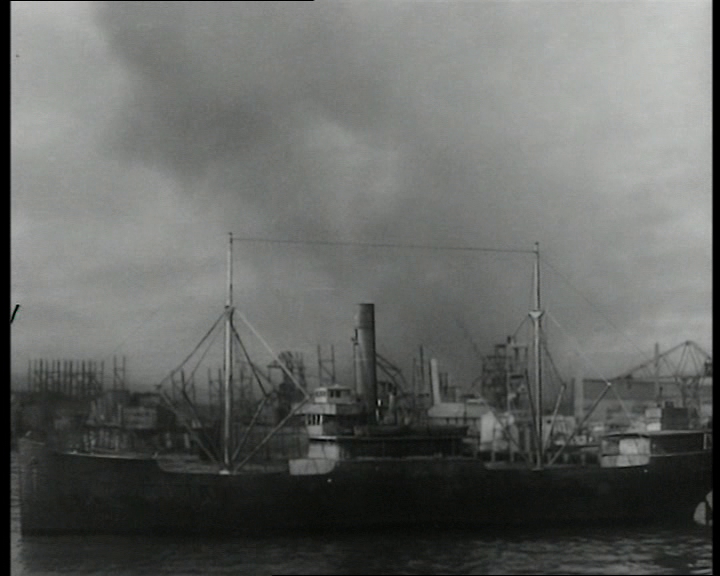 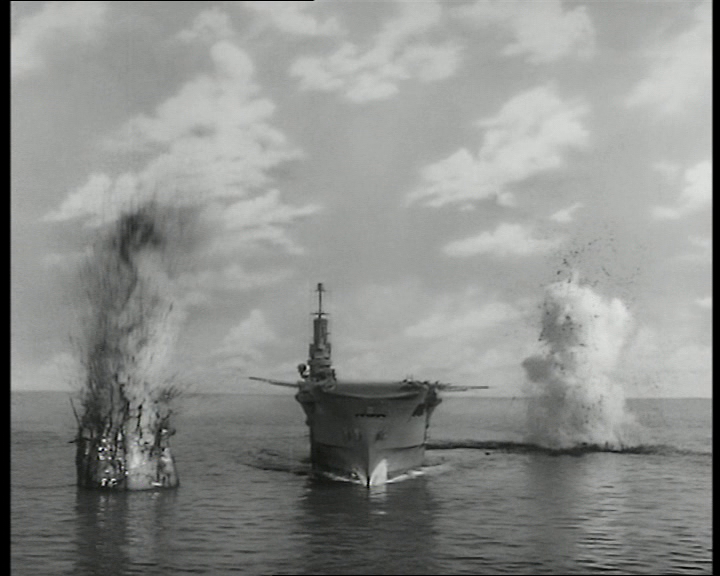 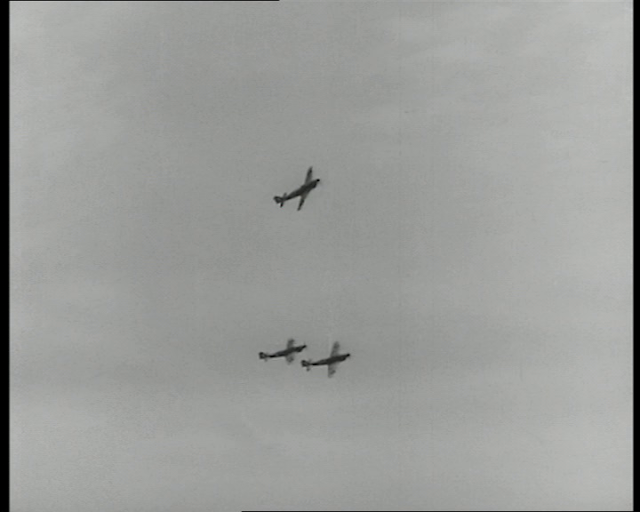 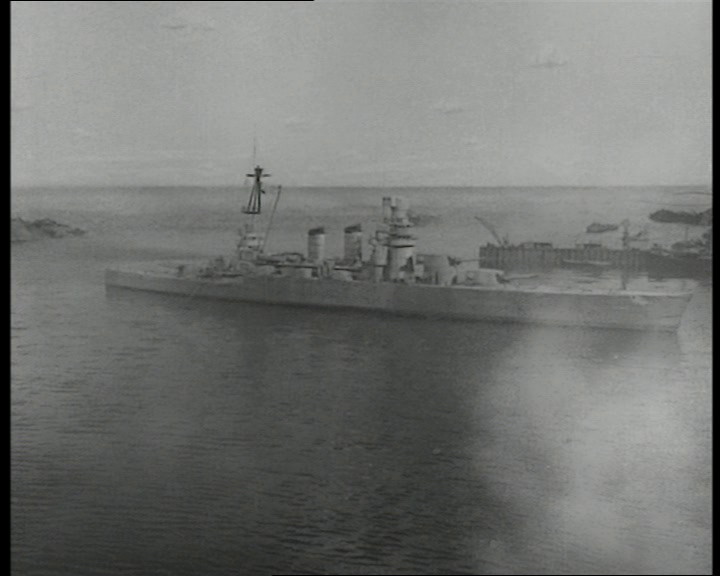 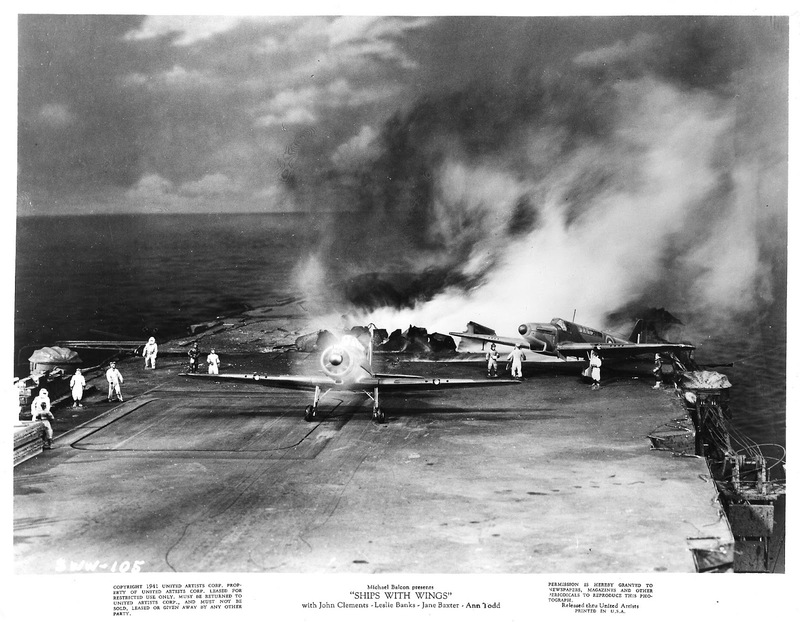 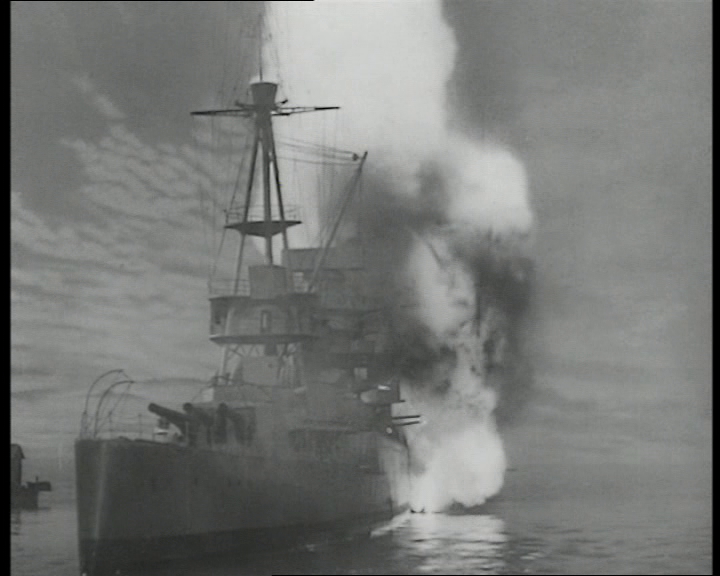 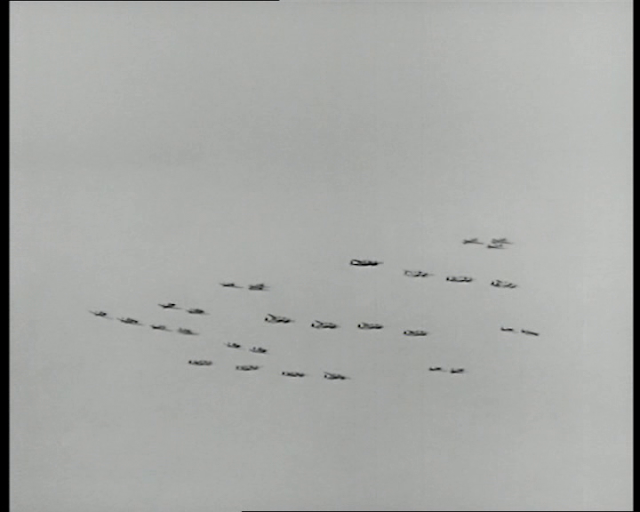 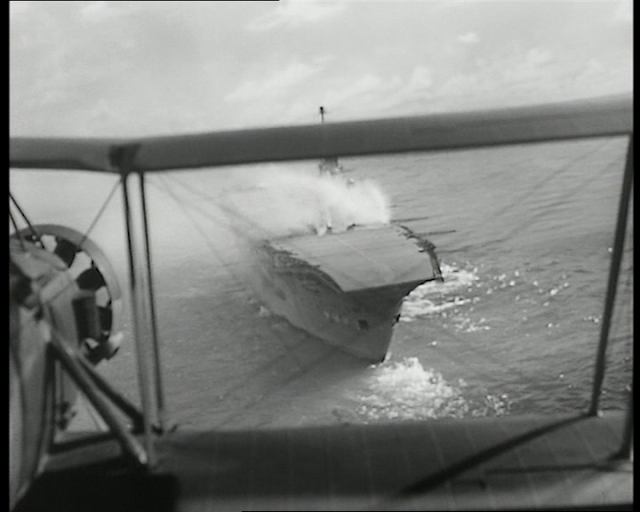 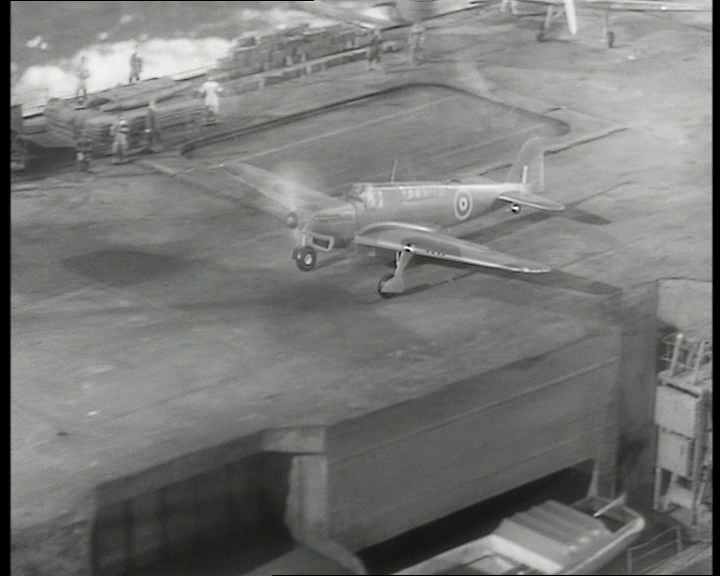 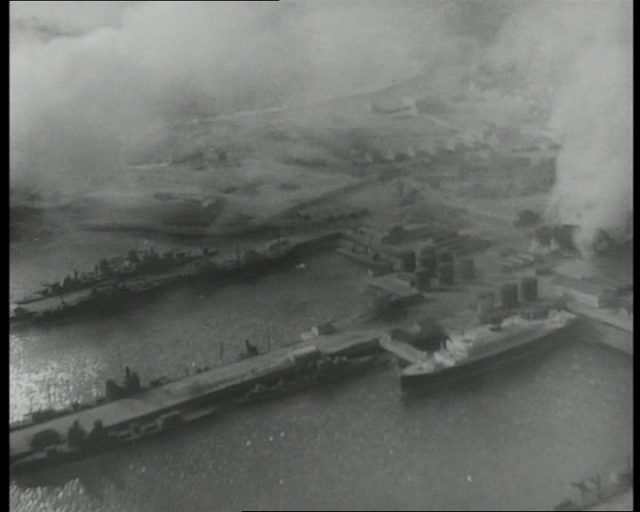 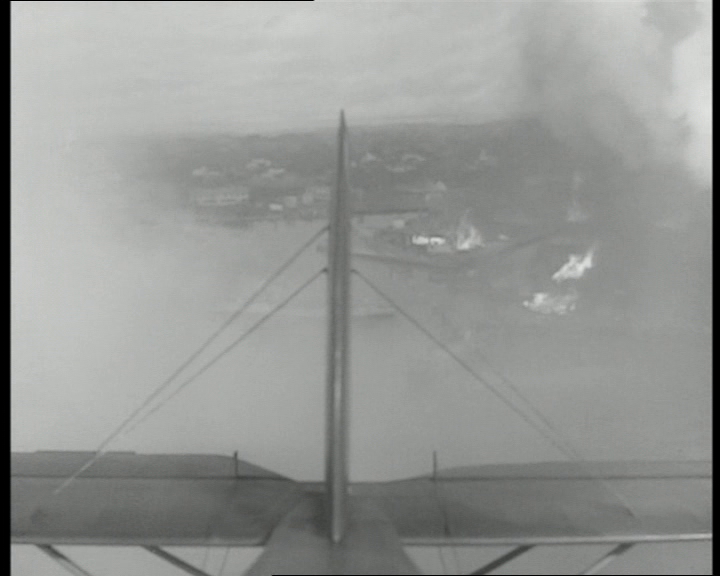 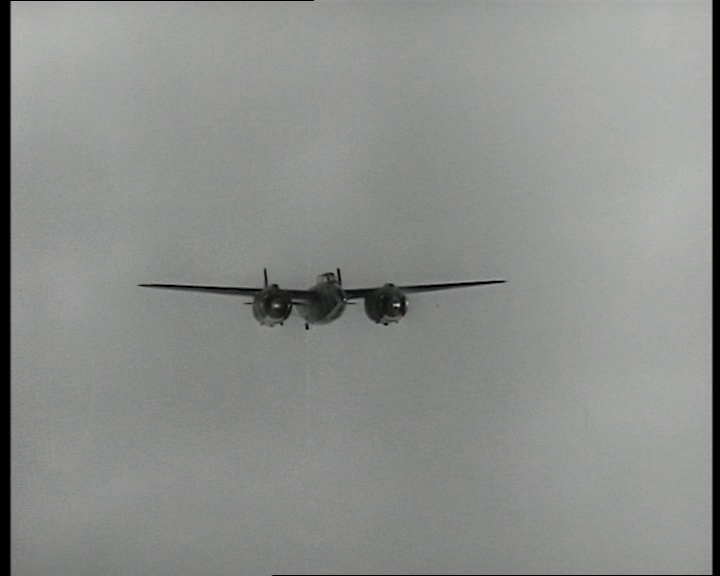 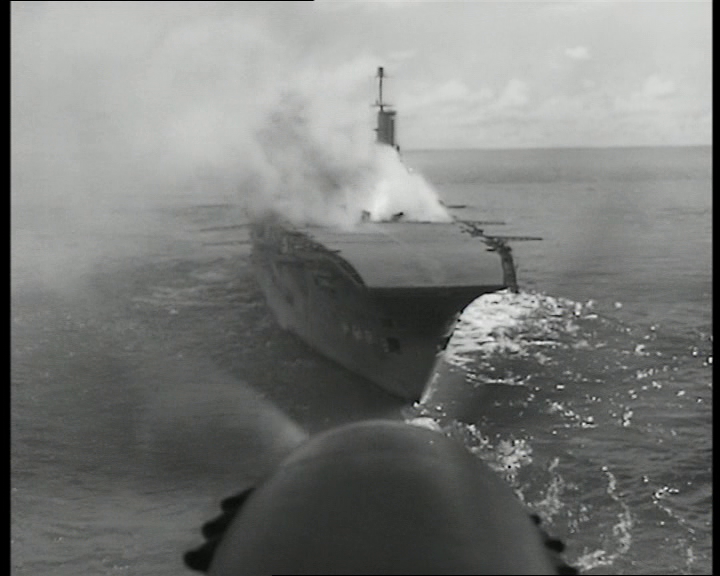 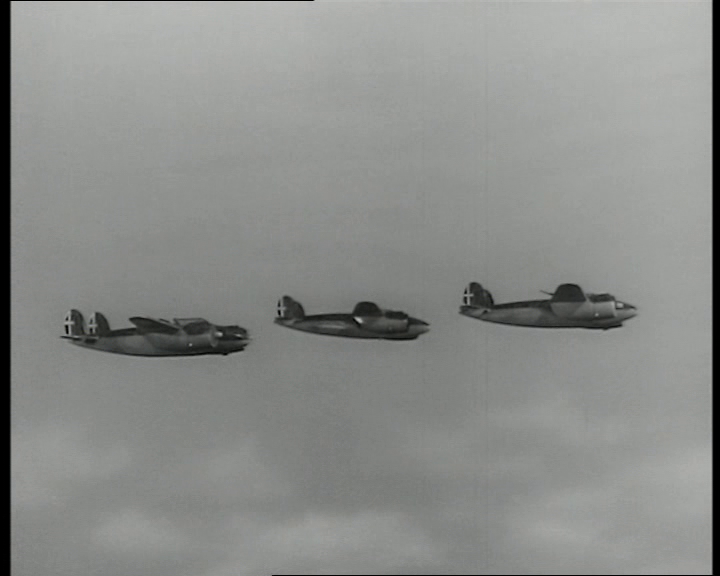 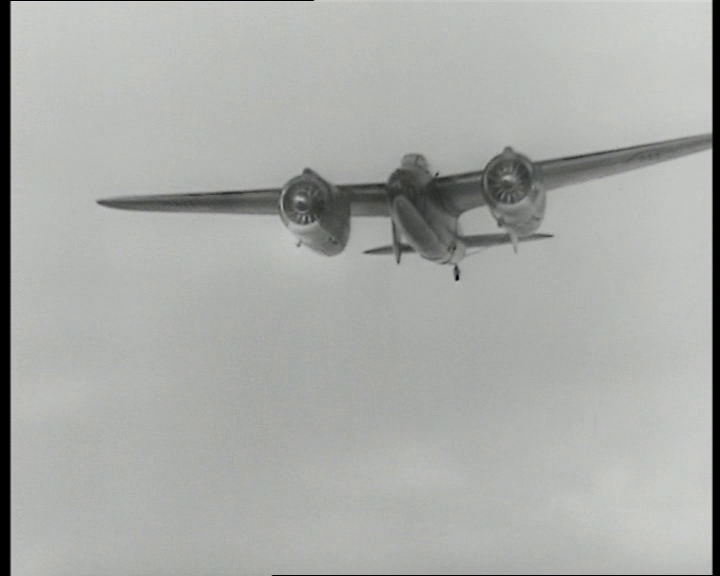 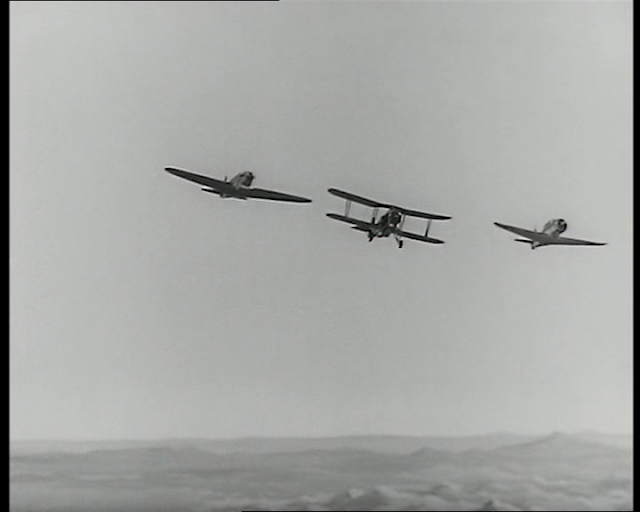 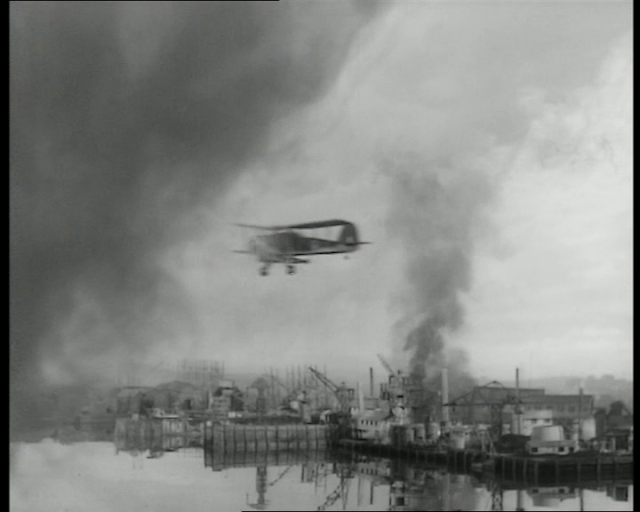 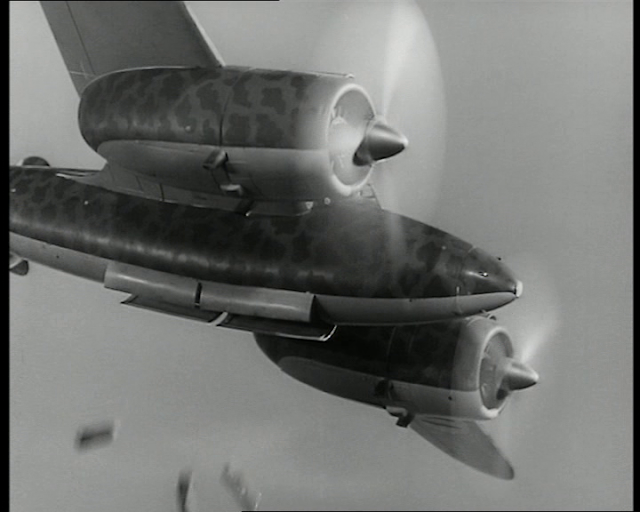 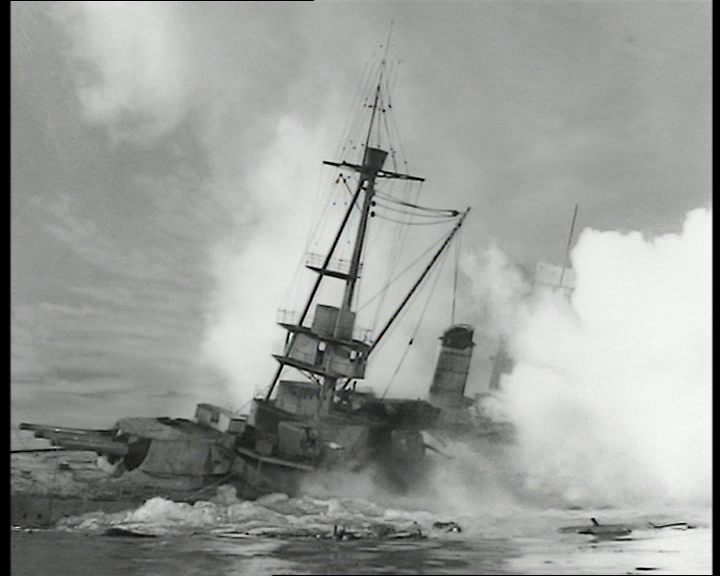 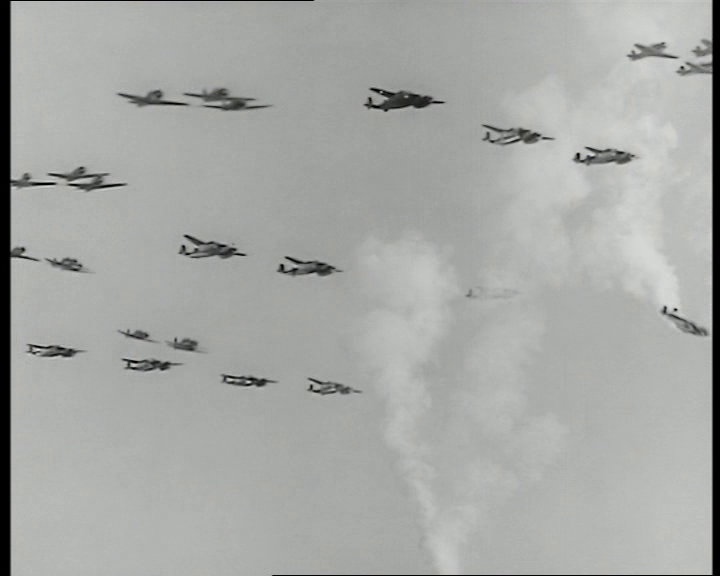 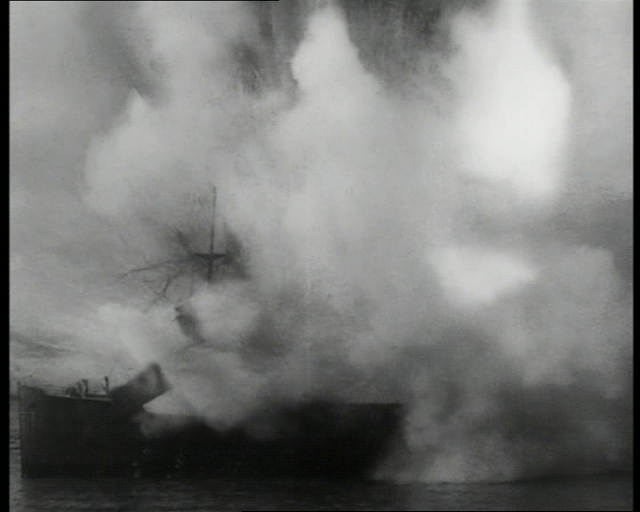 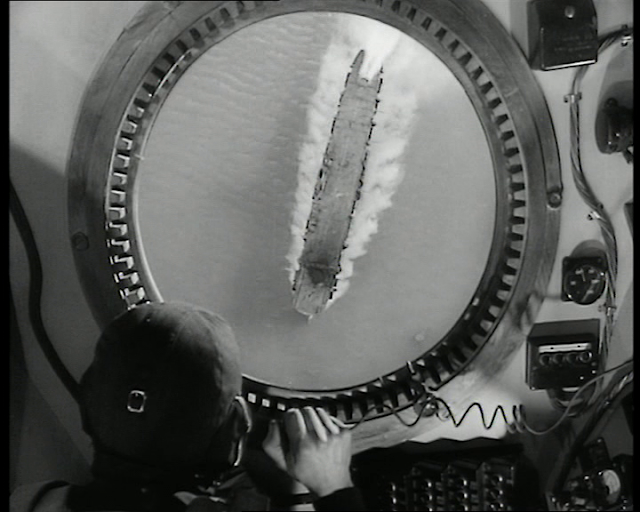 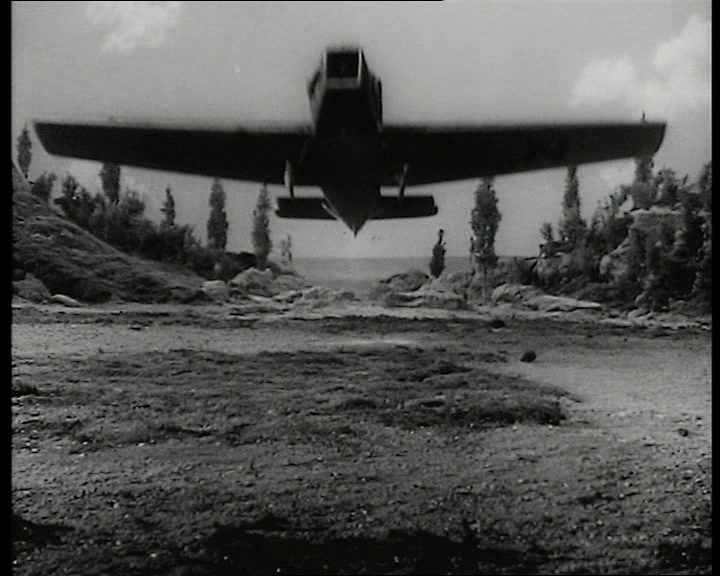 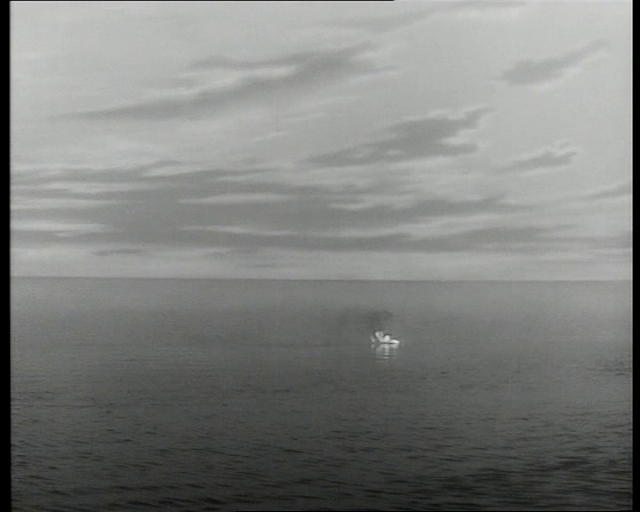 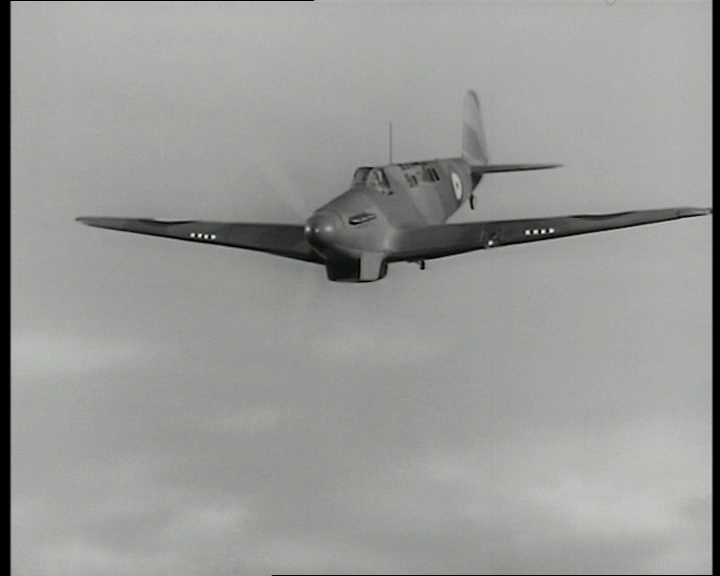 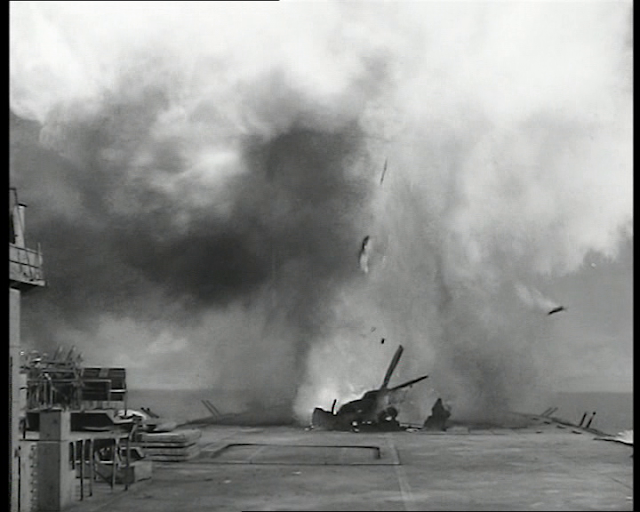 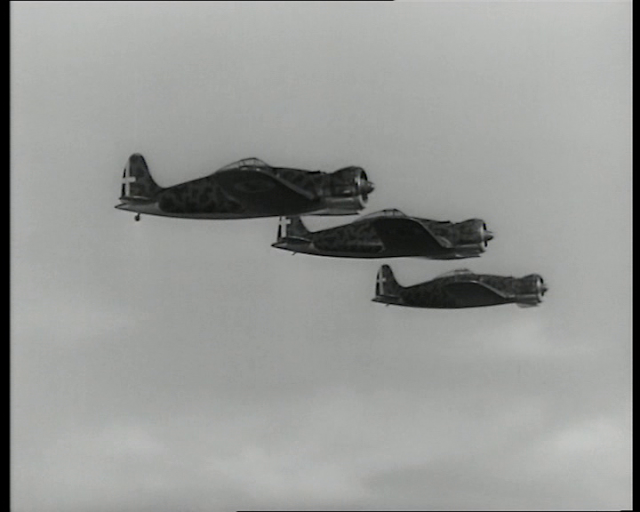 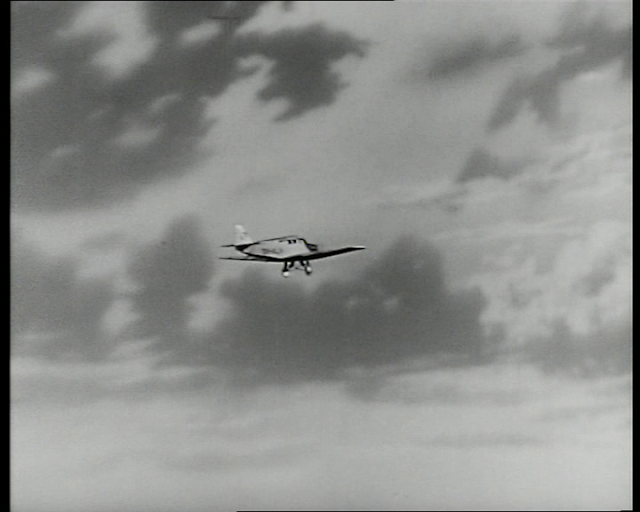 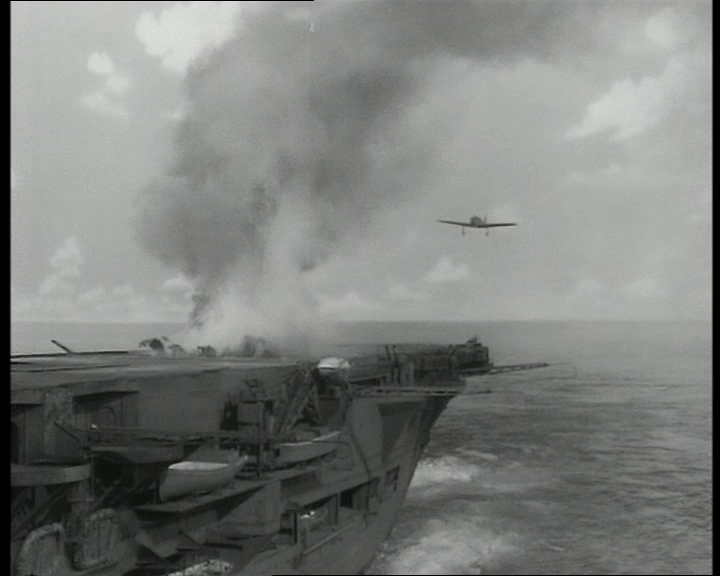 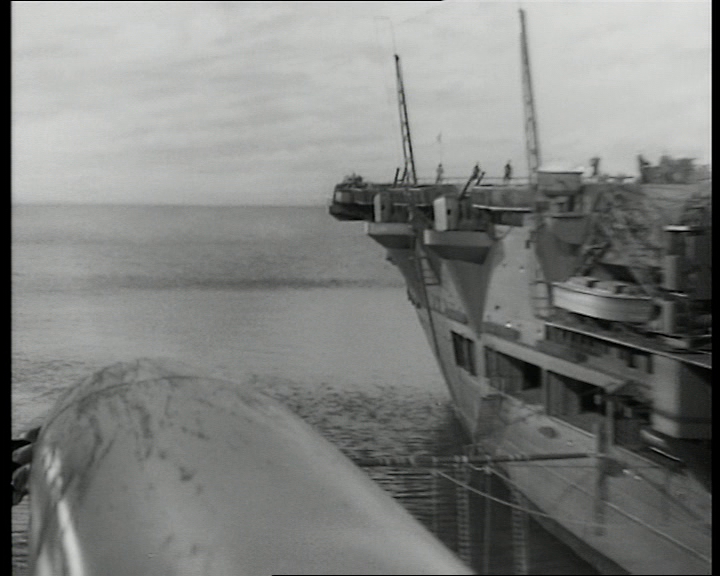 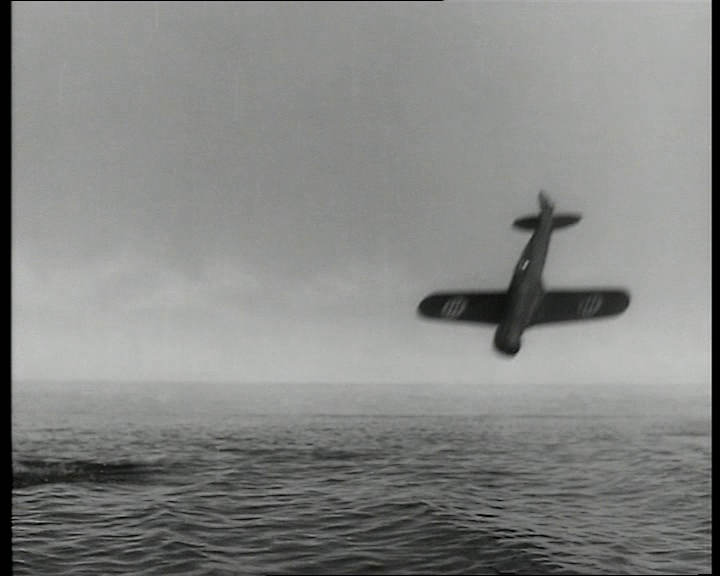 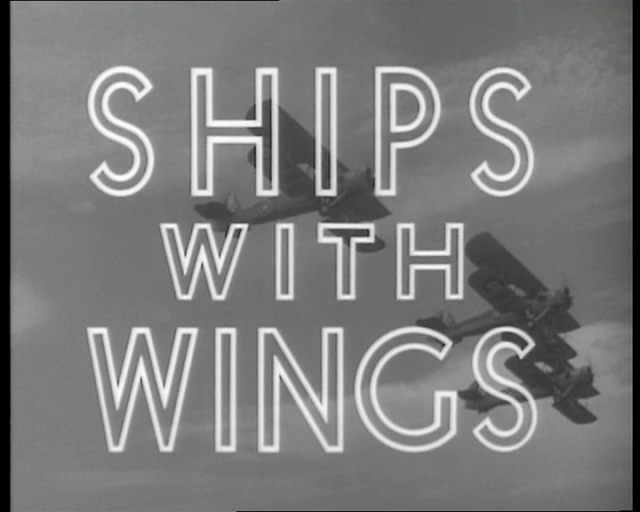 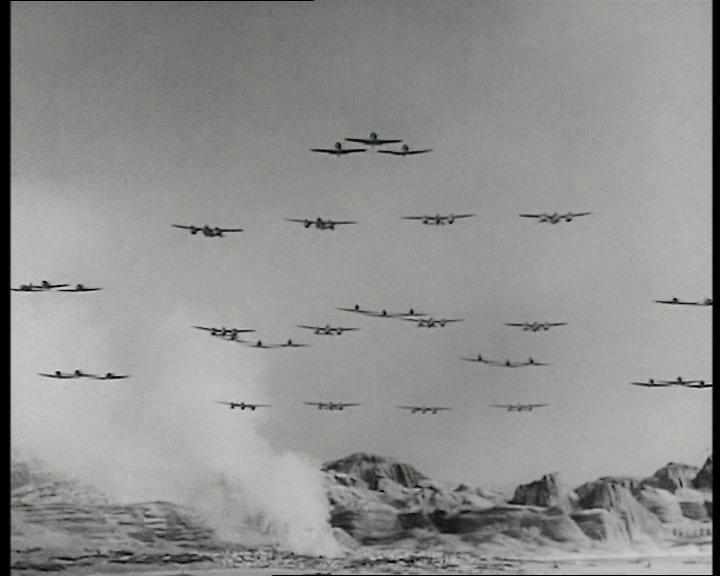 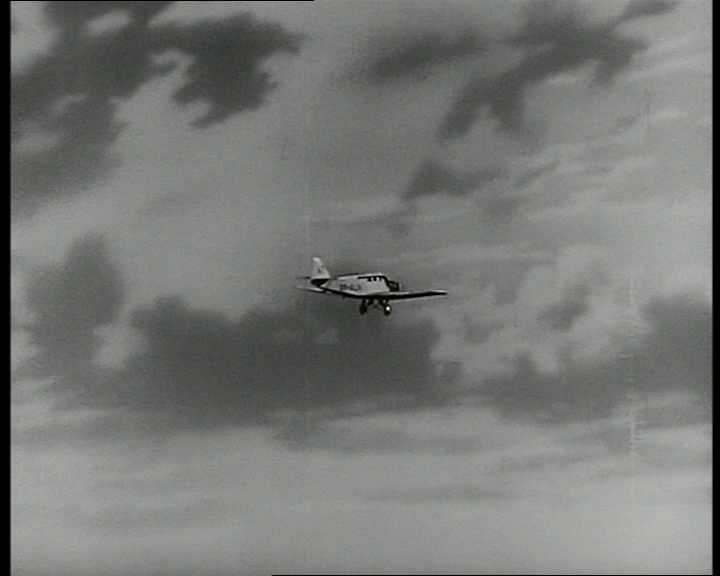 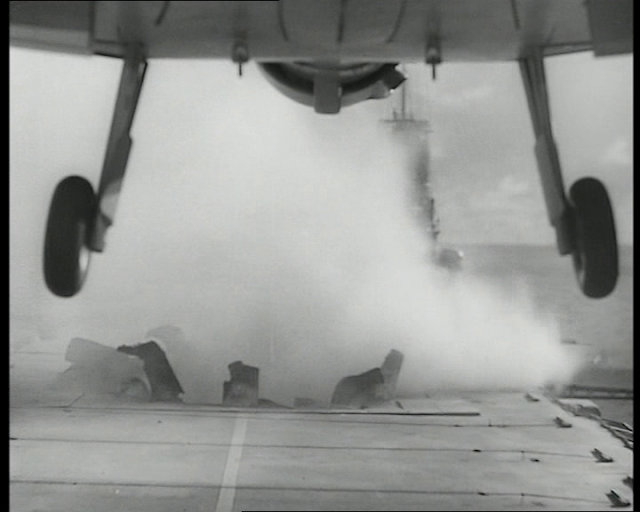 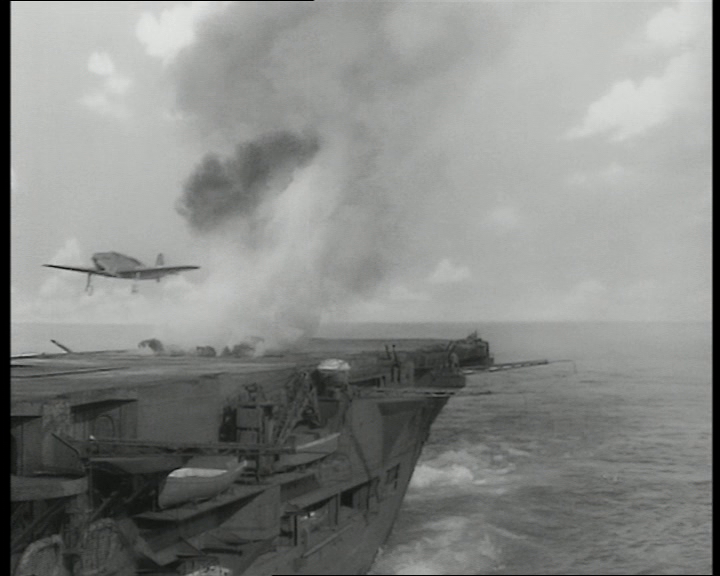 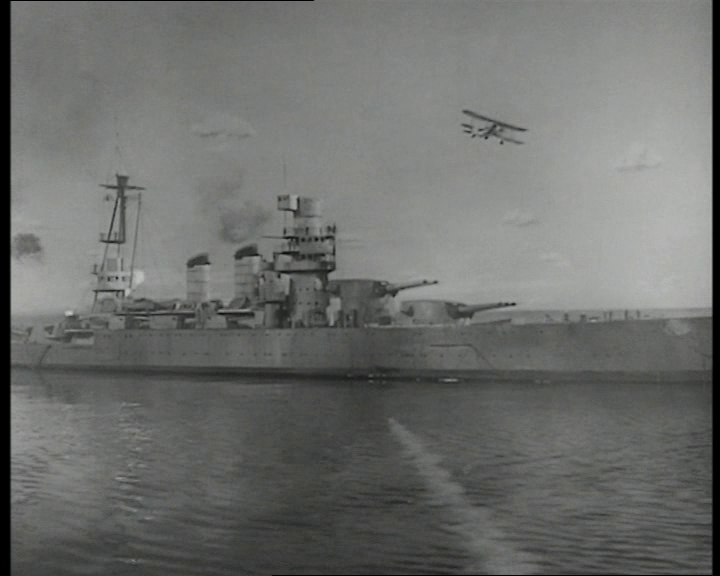 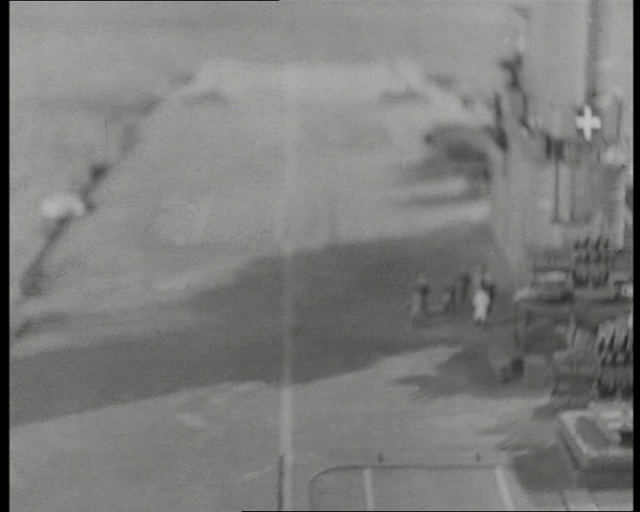 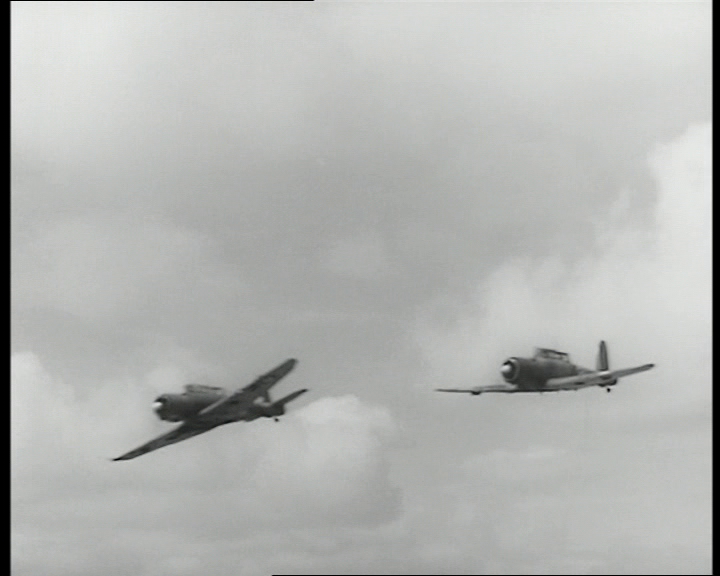 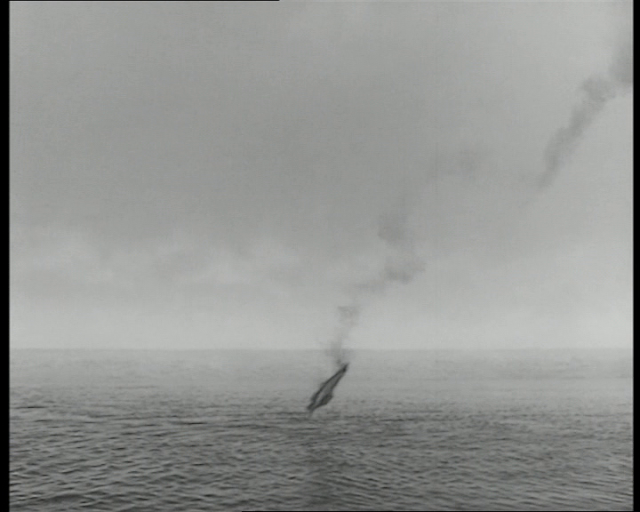 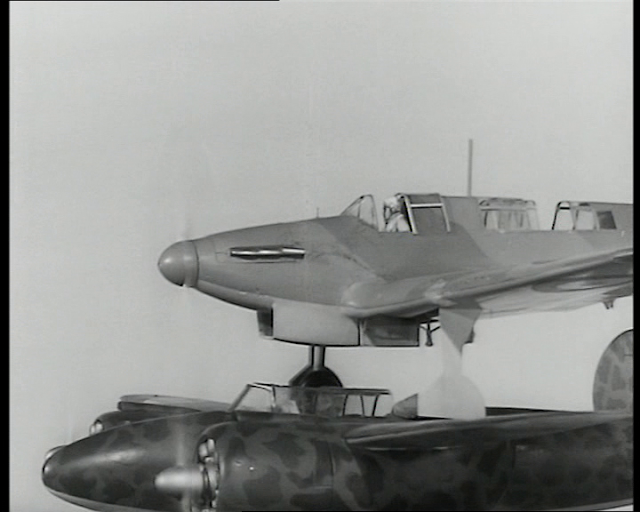 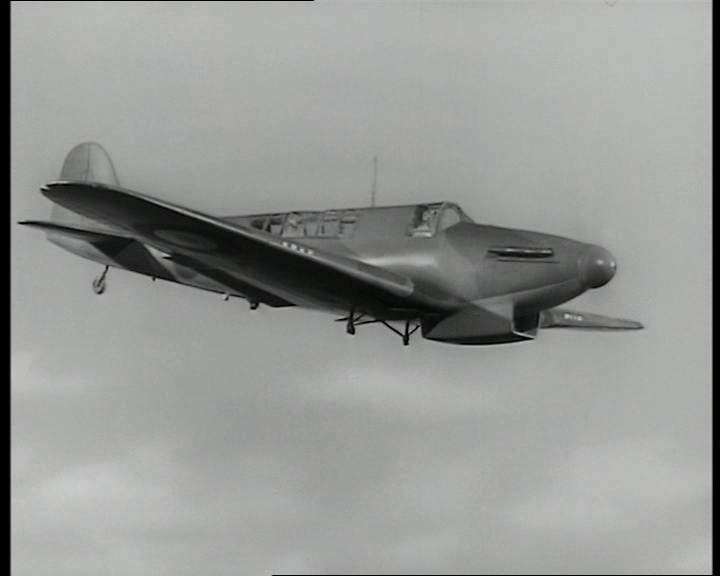 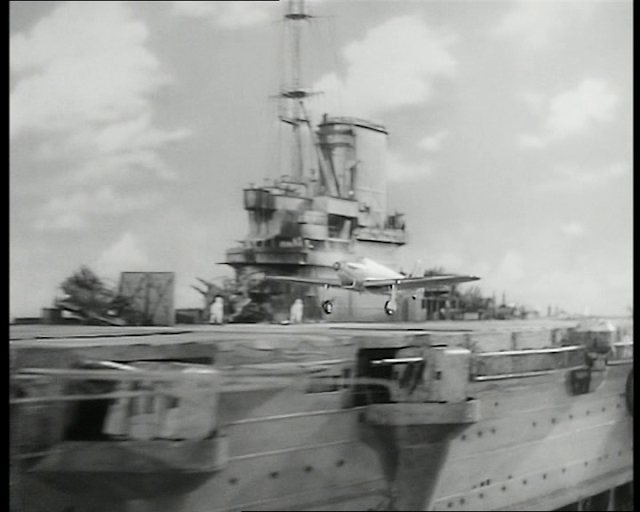 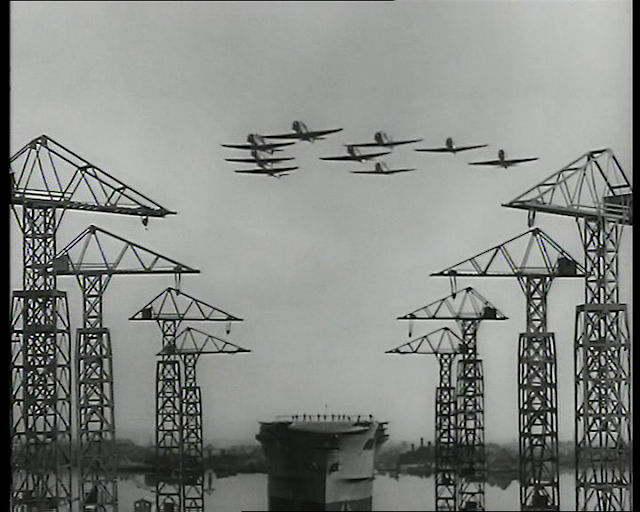 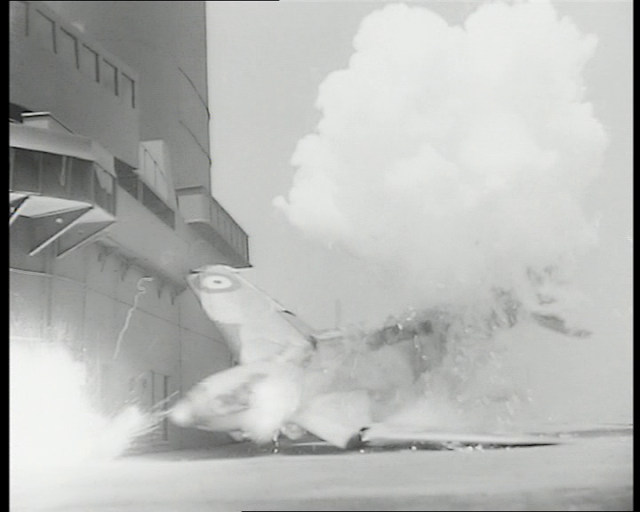 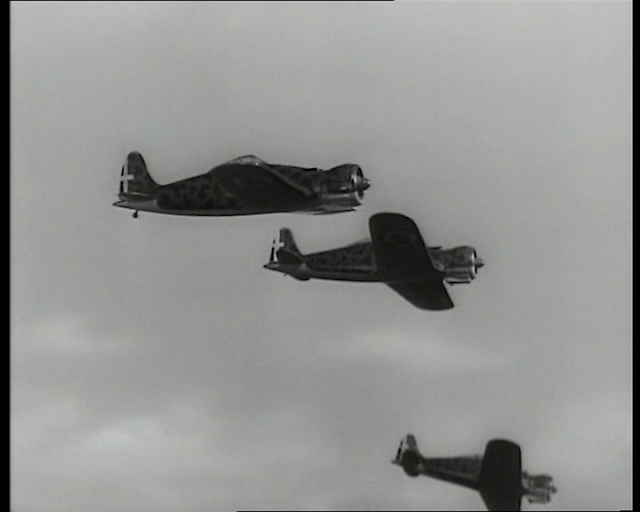 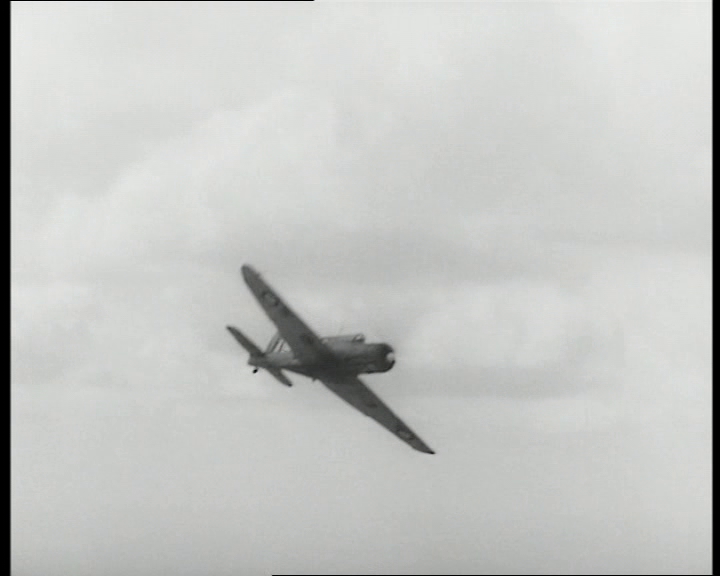 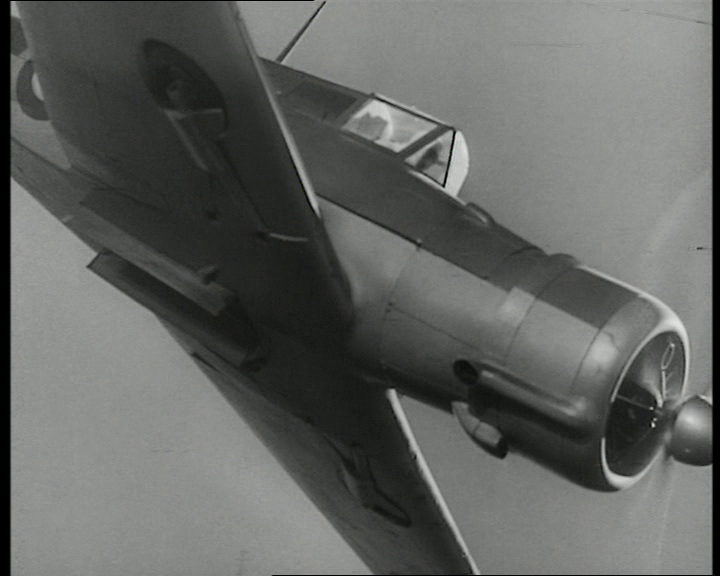 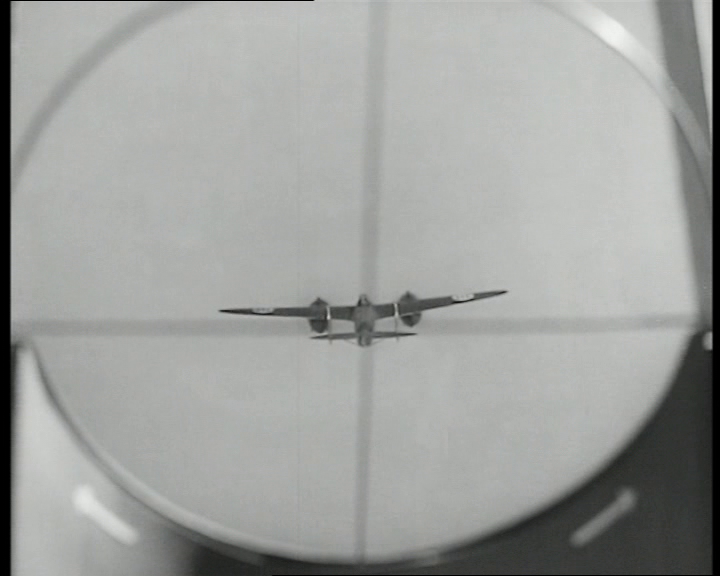 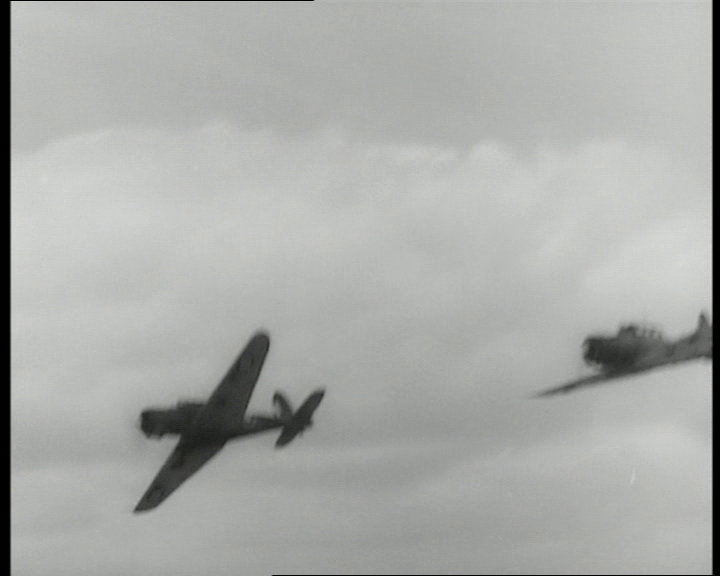 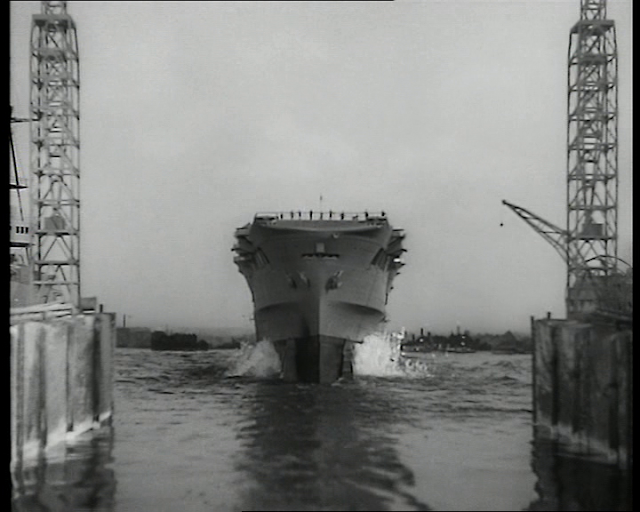 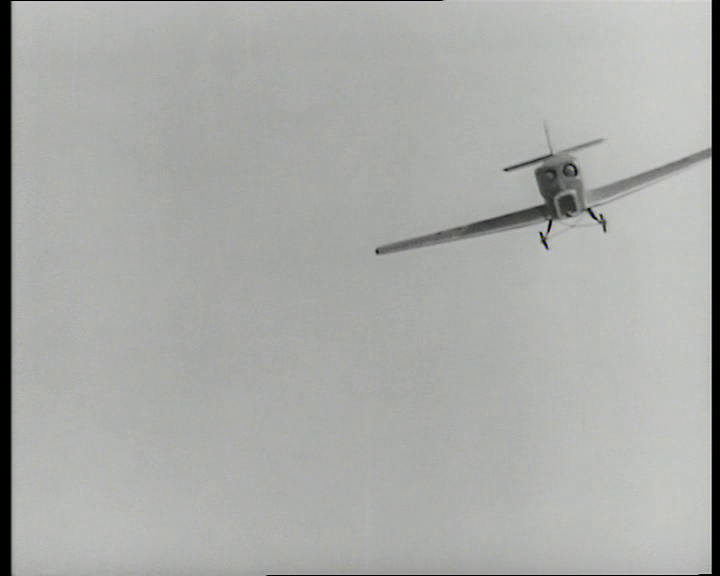 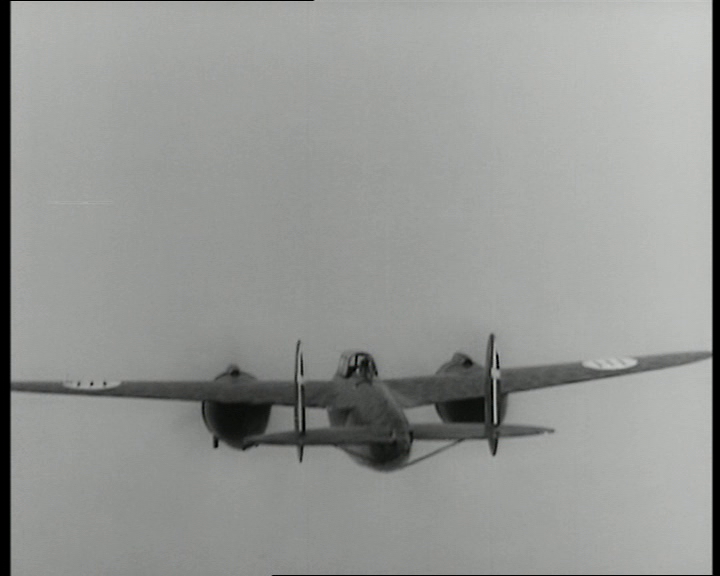 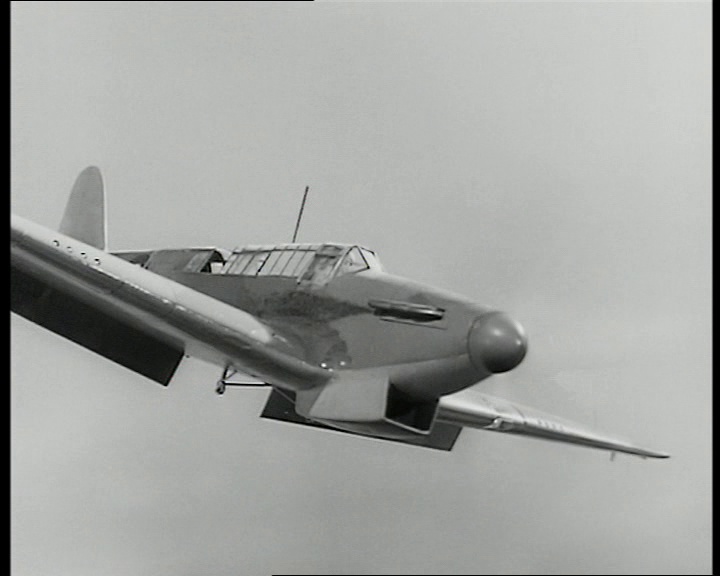 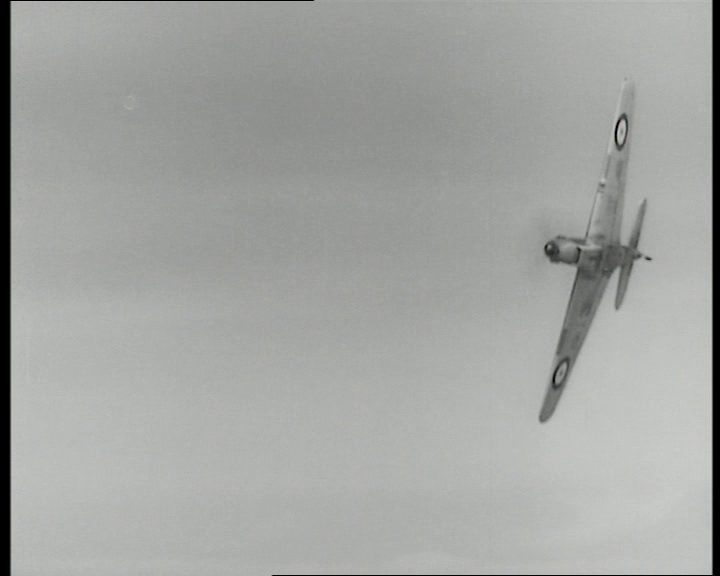 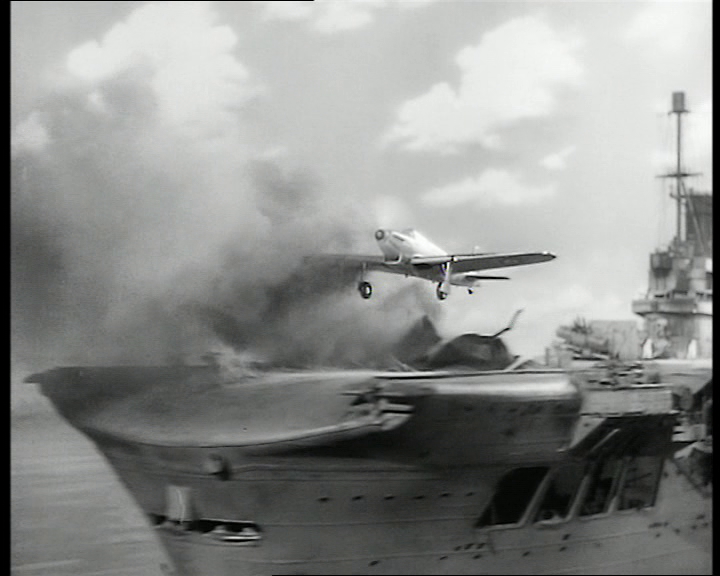 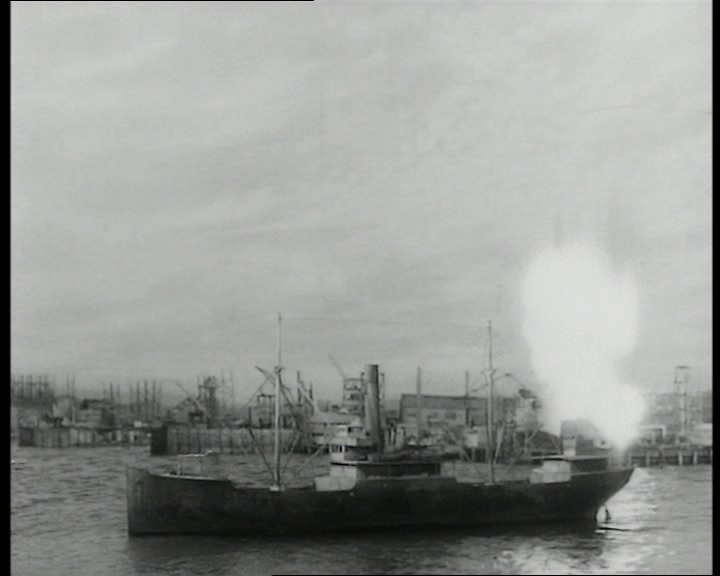 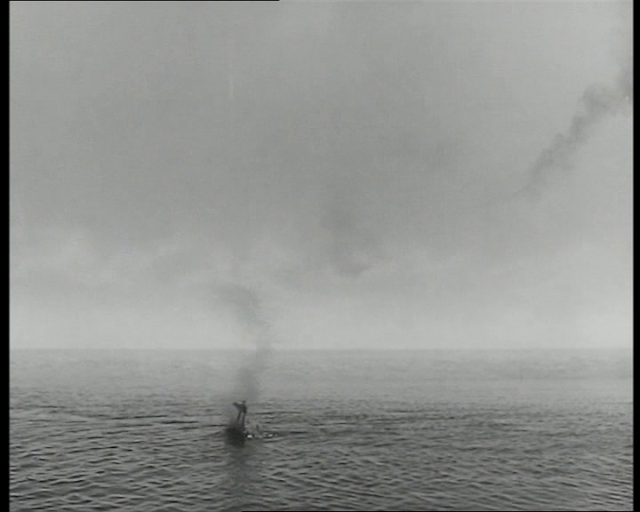 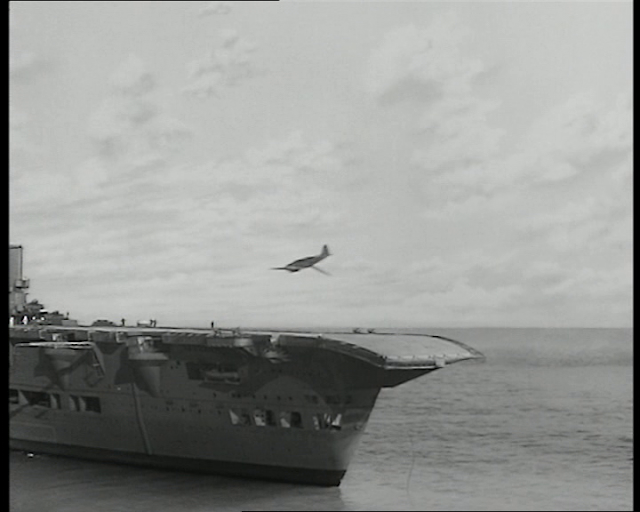 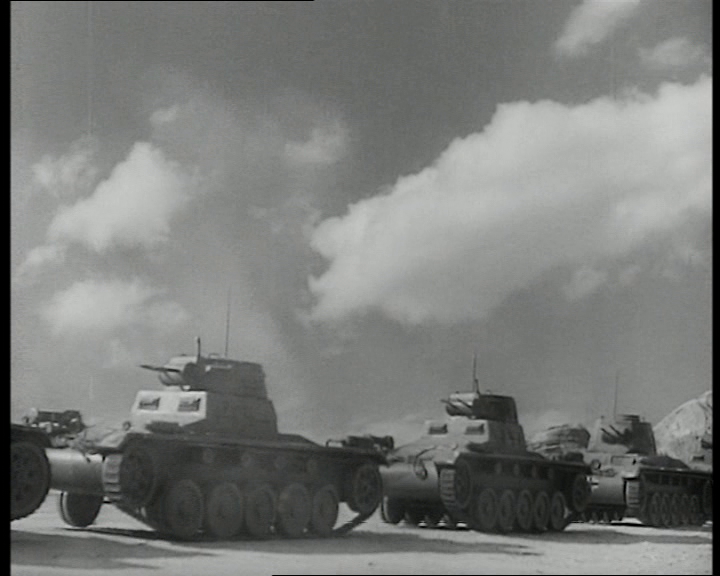 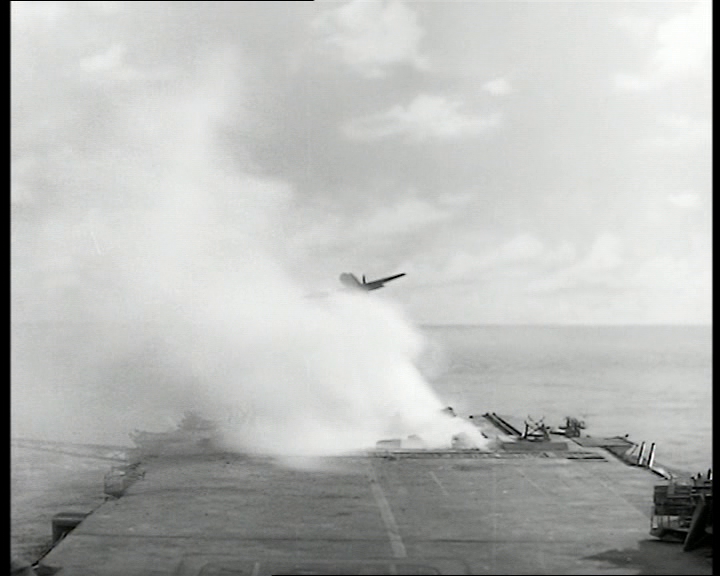 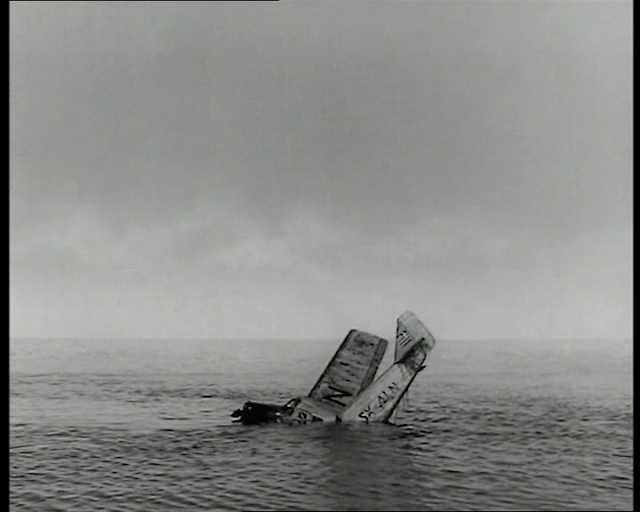 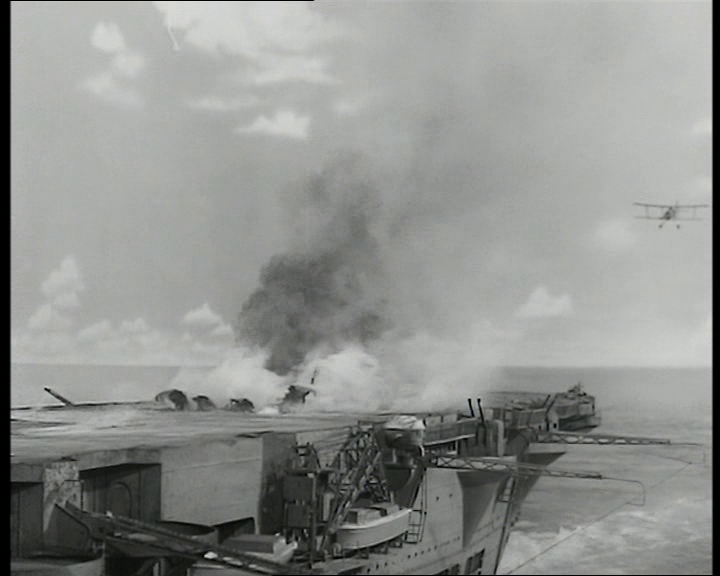 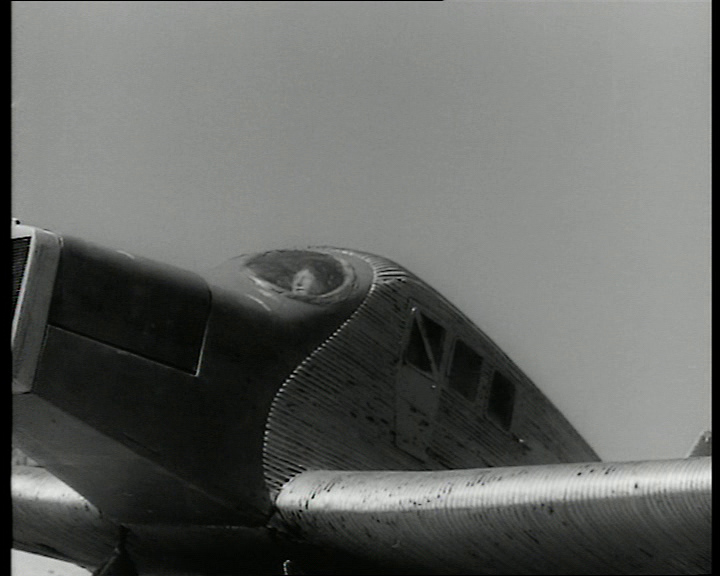 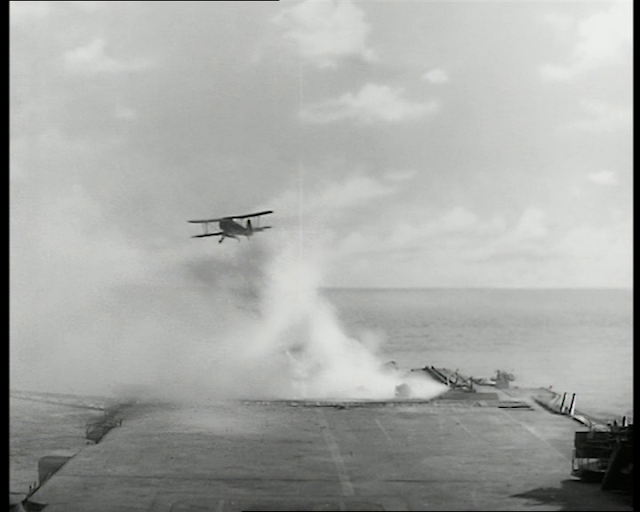 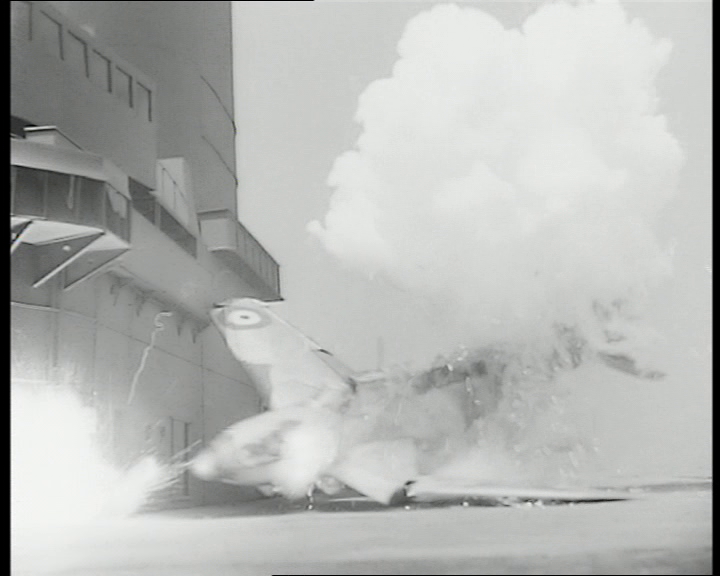 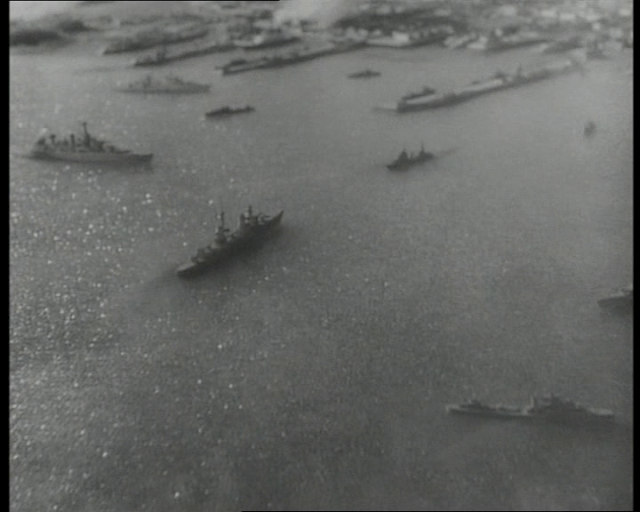 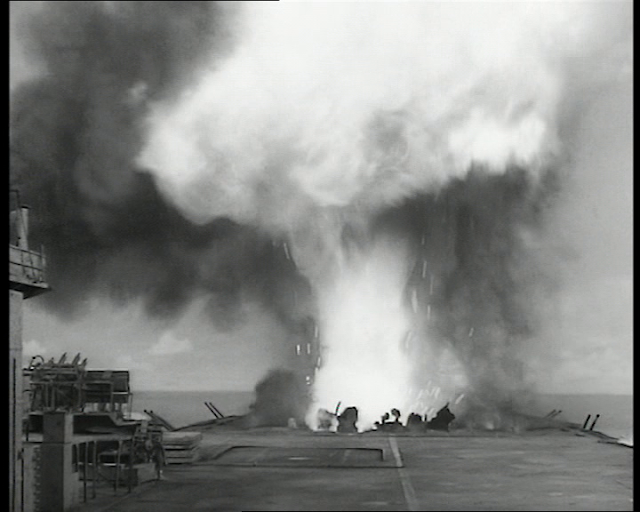 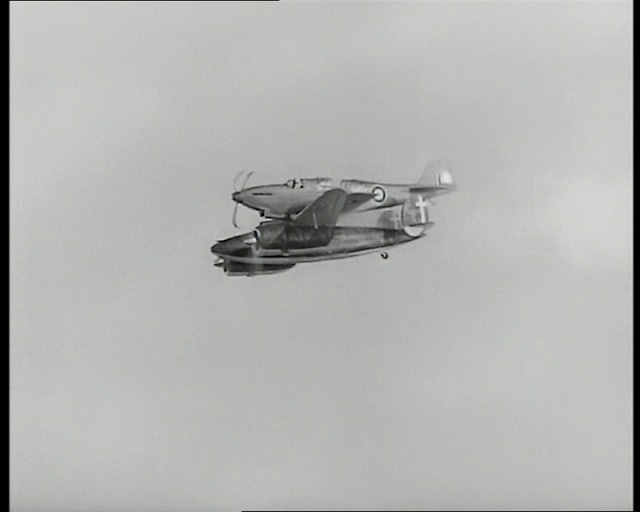 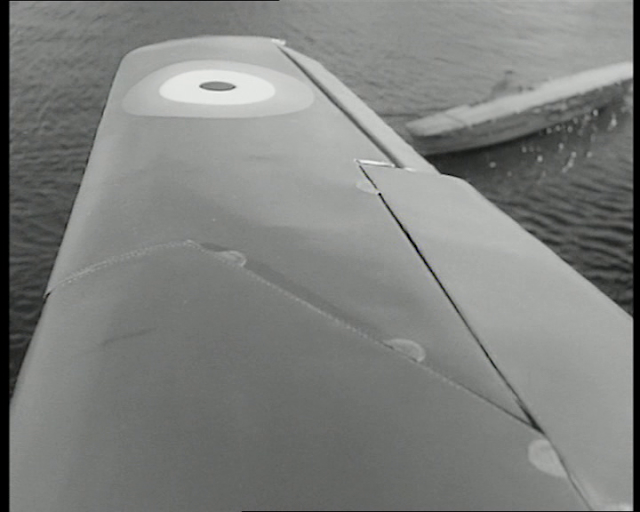 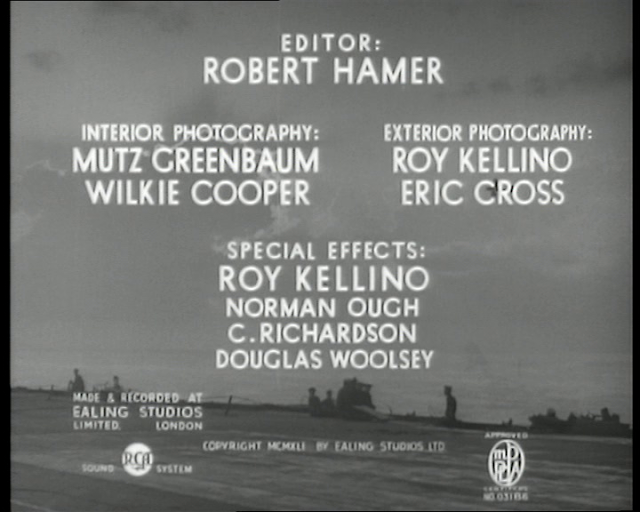 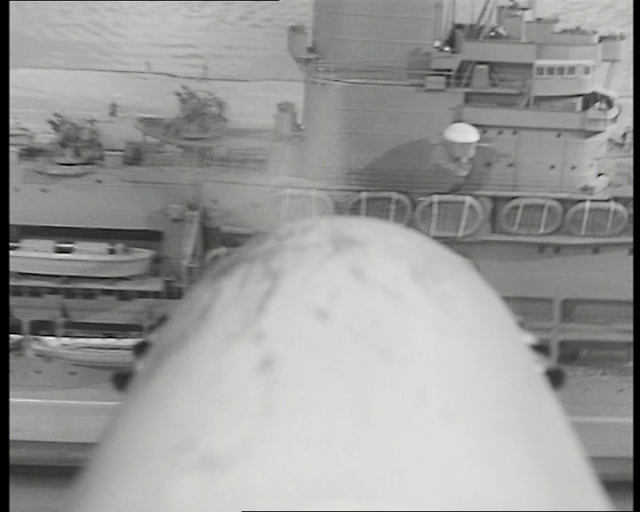 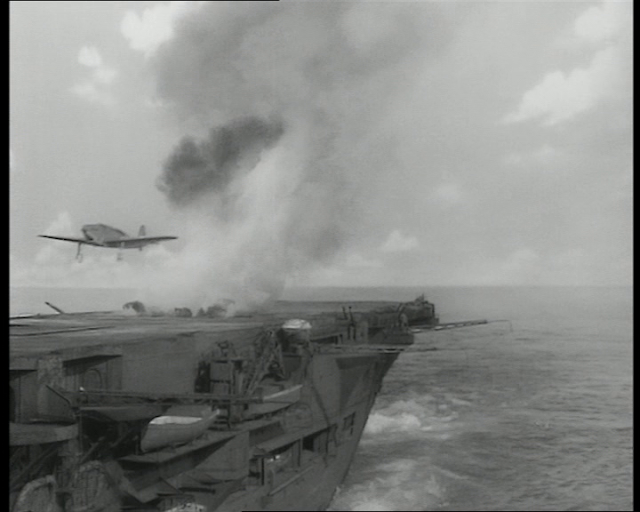 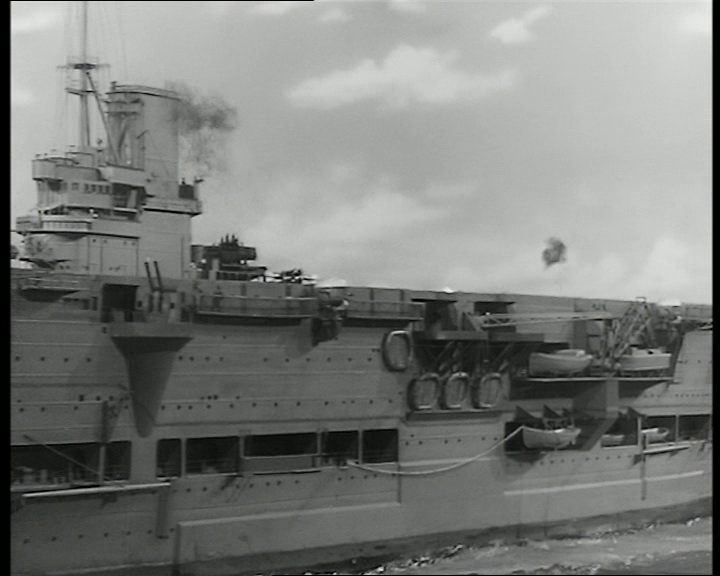 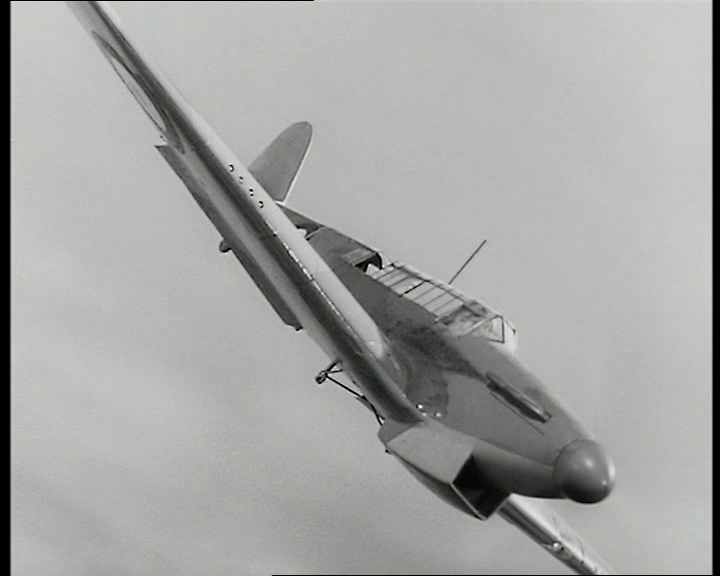 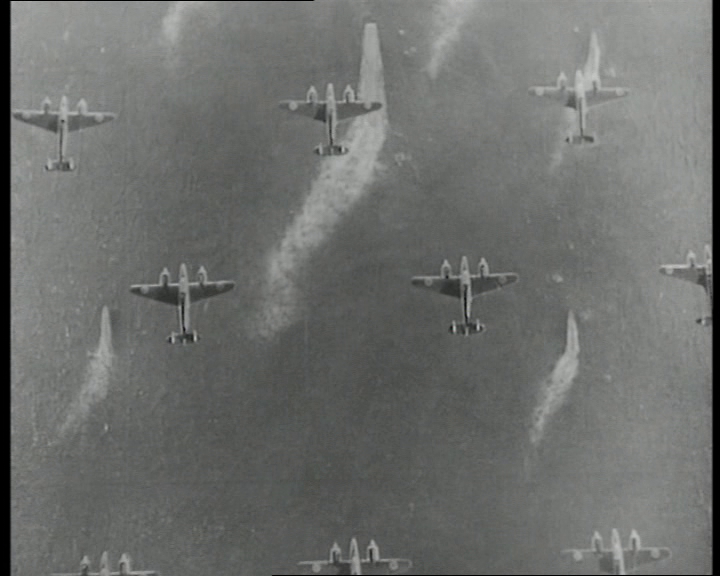 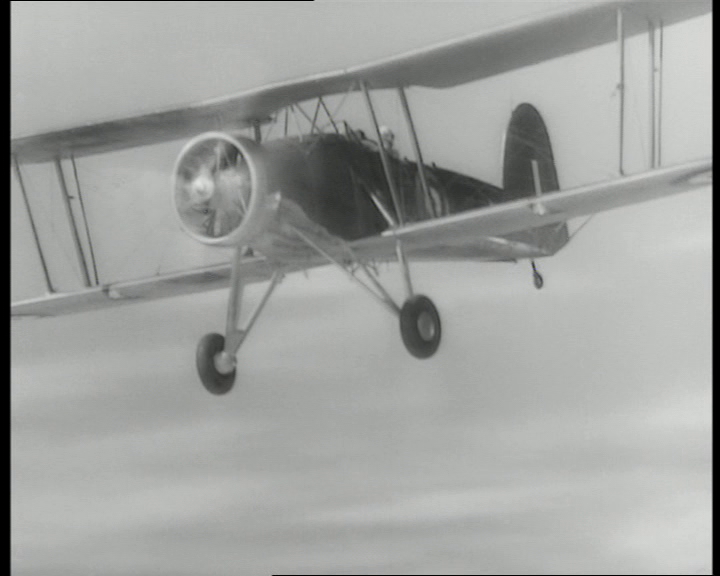 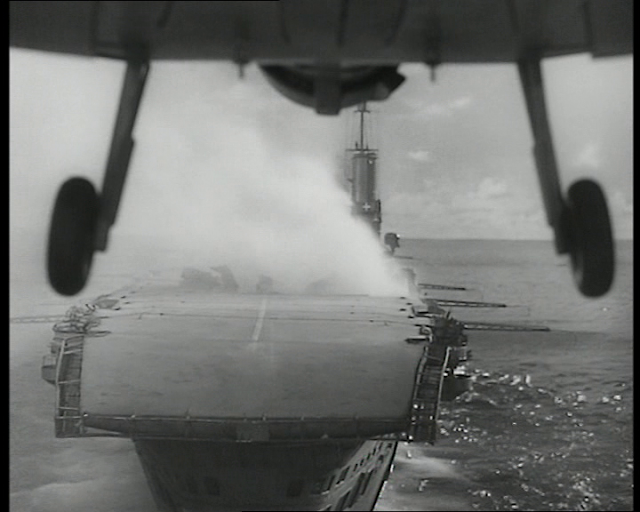 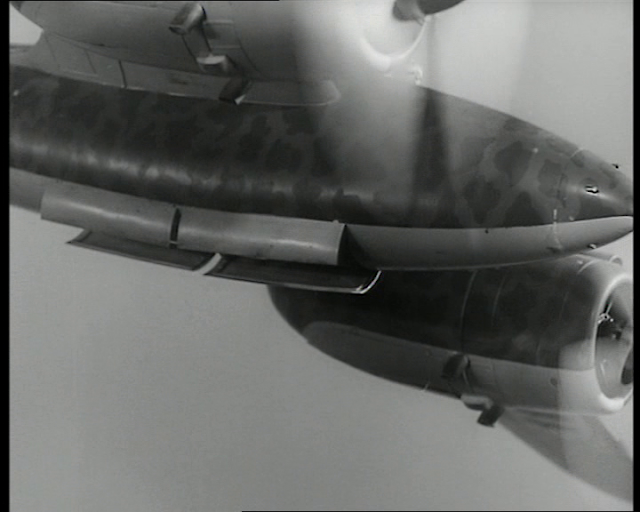 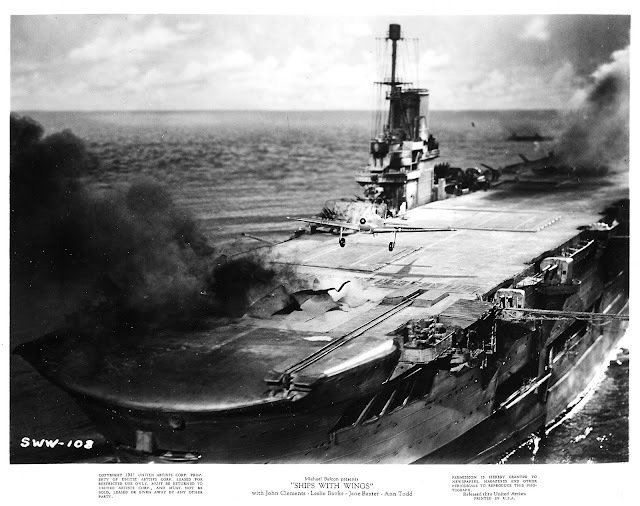 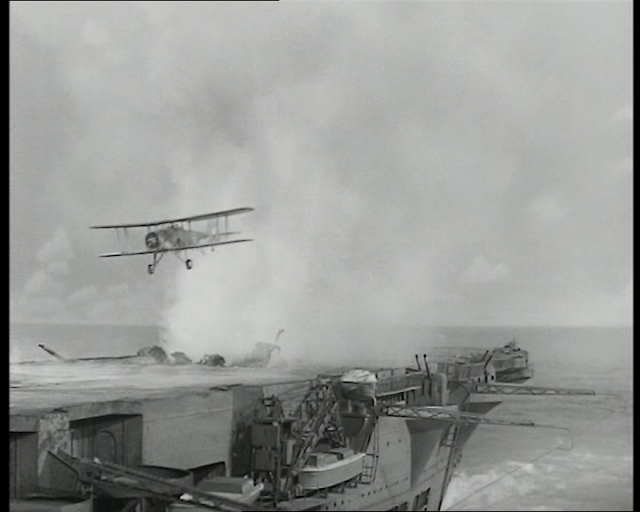 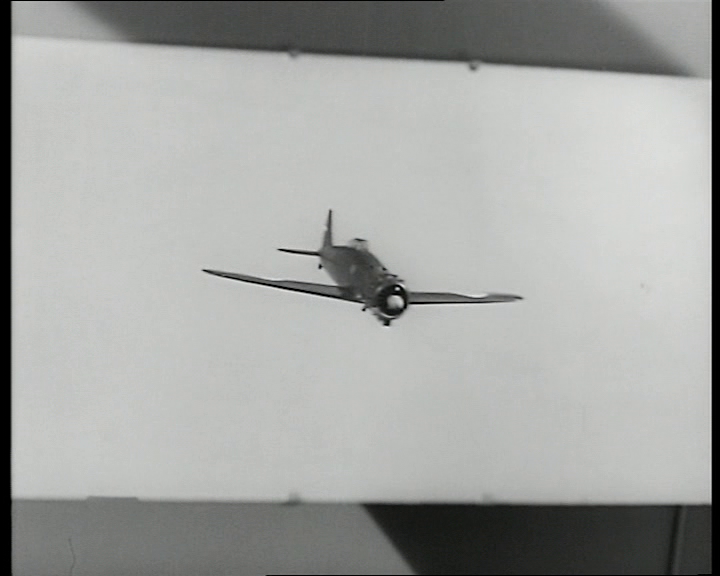 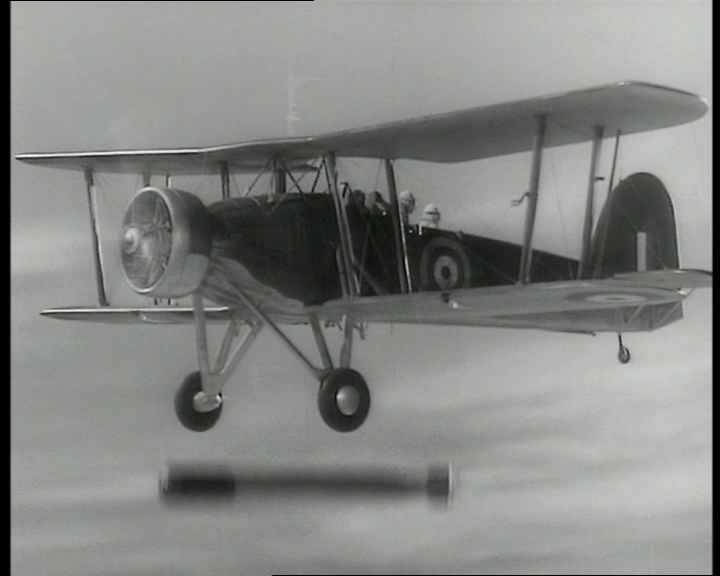 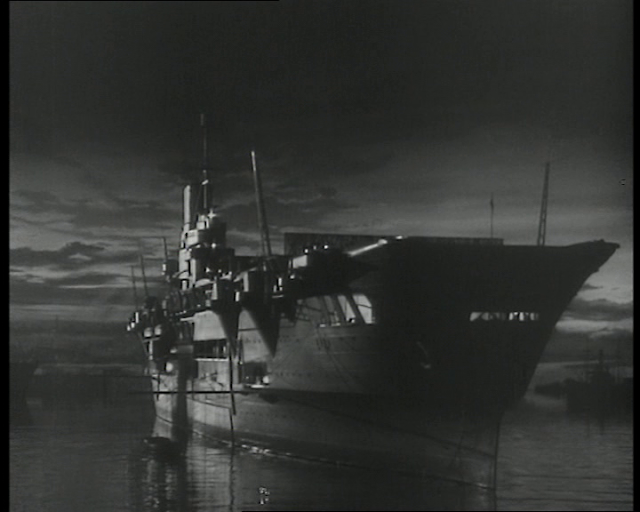 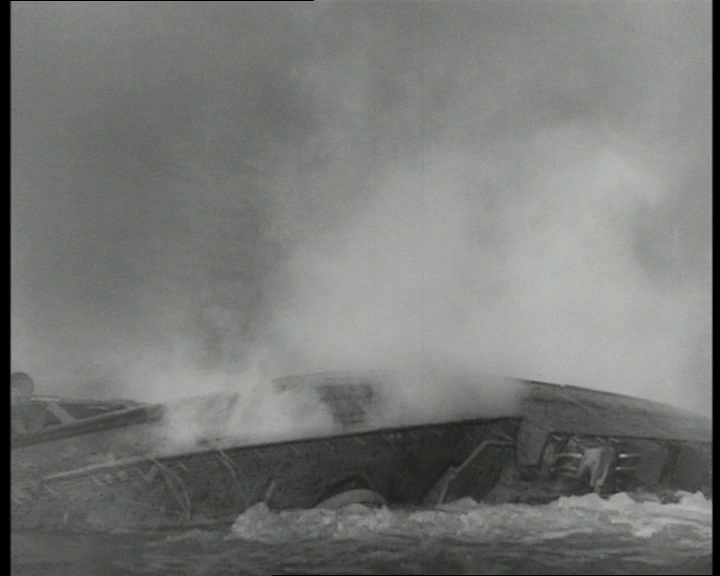 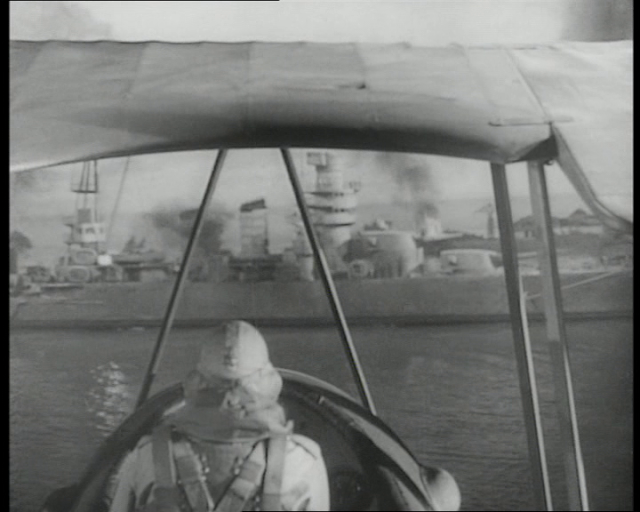 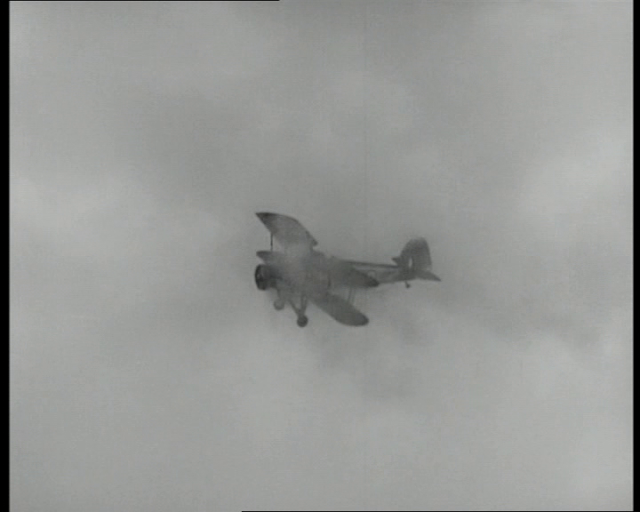 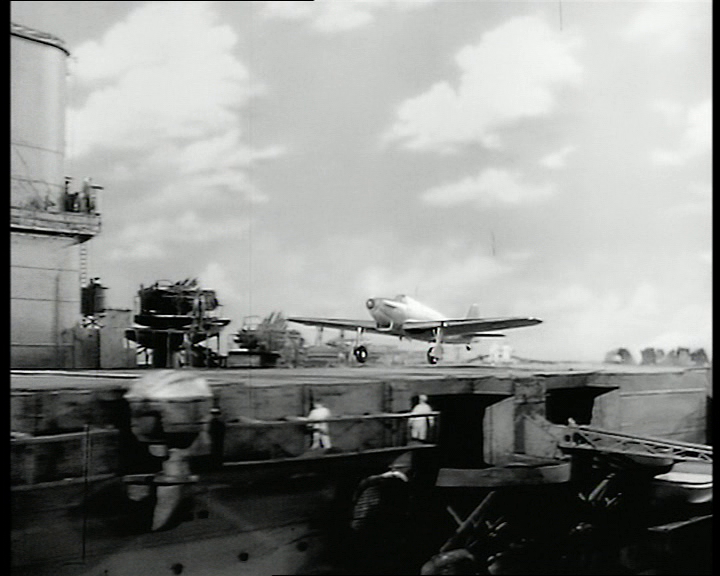 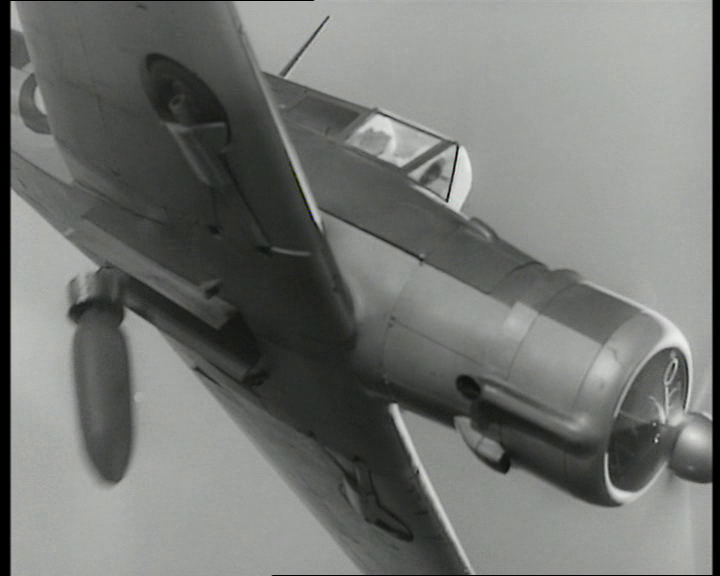 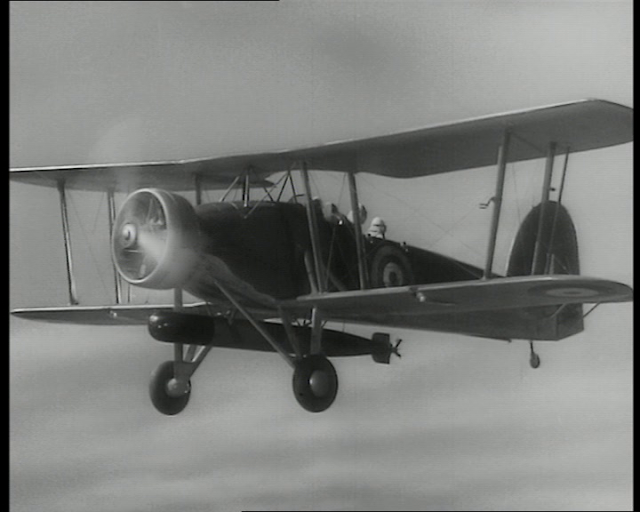 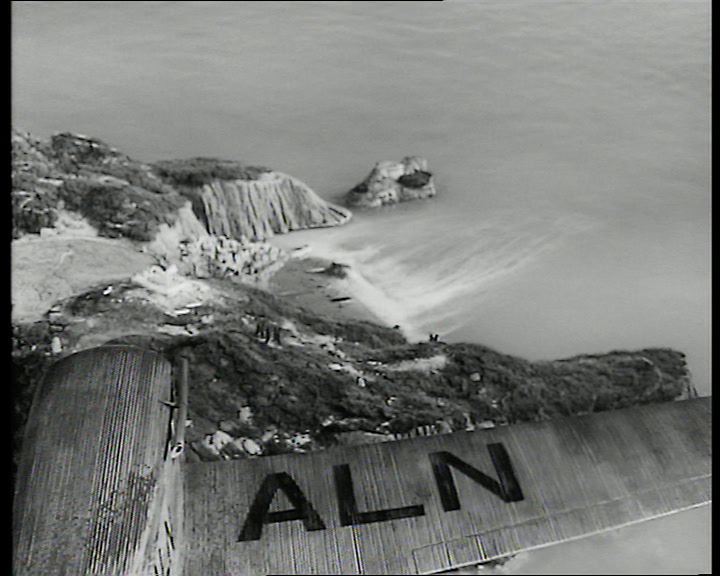 Unusually, for a film made during the height of the Second World War, some live action scenes were shot on a real aircraft carrier (the ship with wings of the title), the Royal Navy's Ark Royal, which even gets its own star billing in the opening credits. 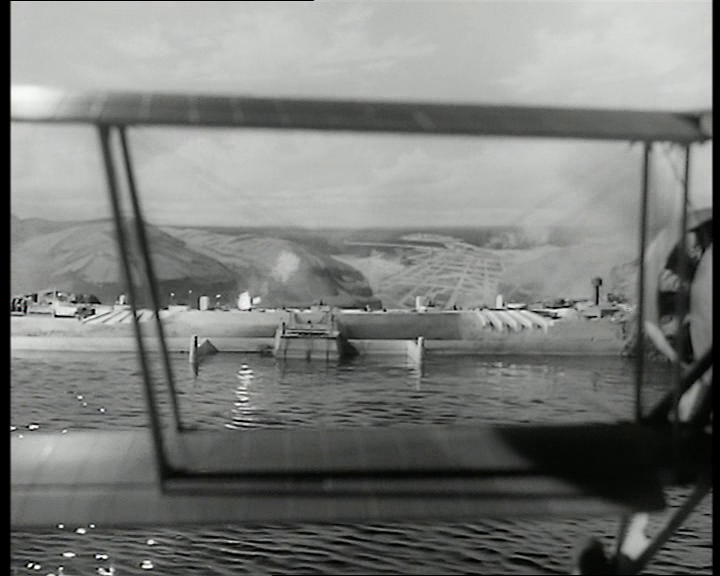 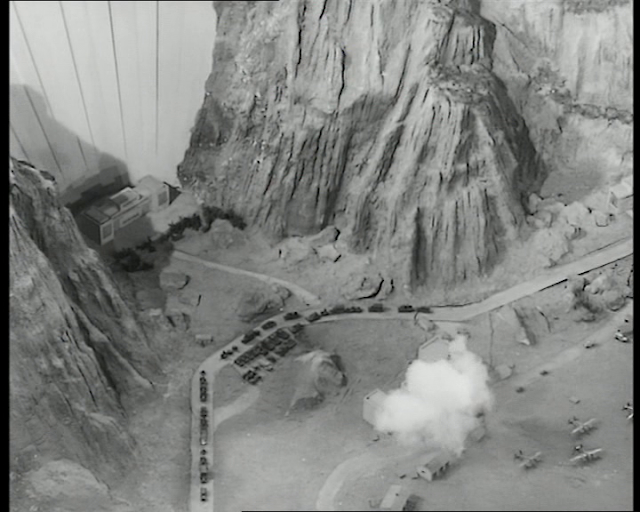 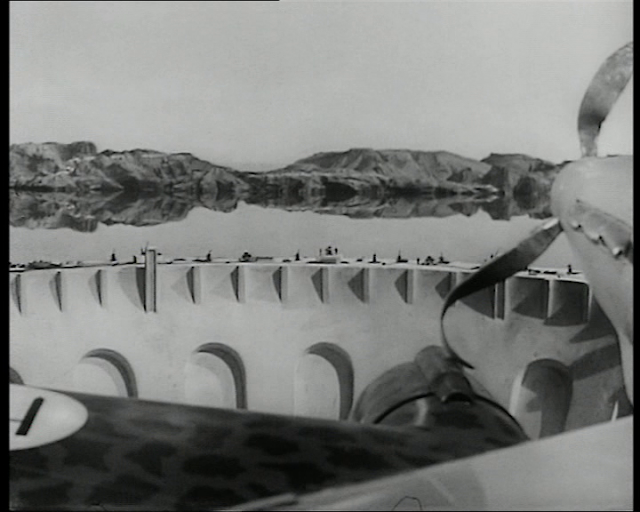 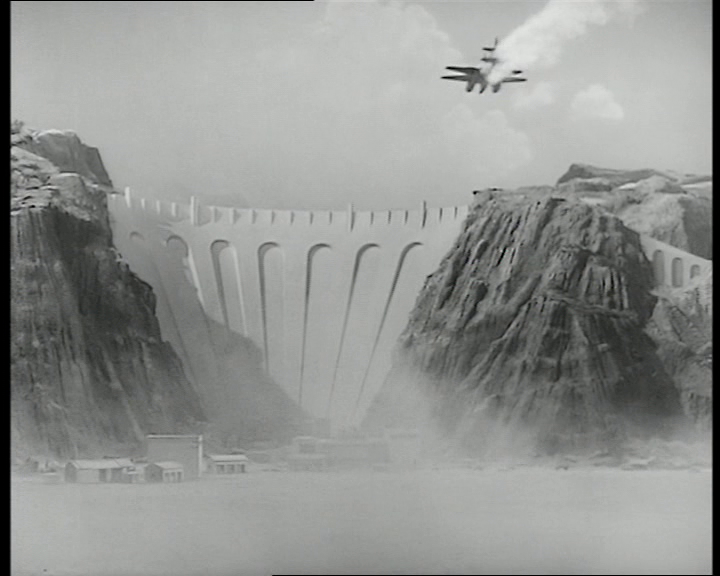 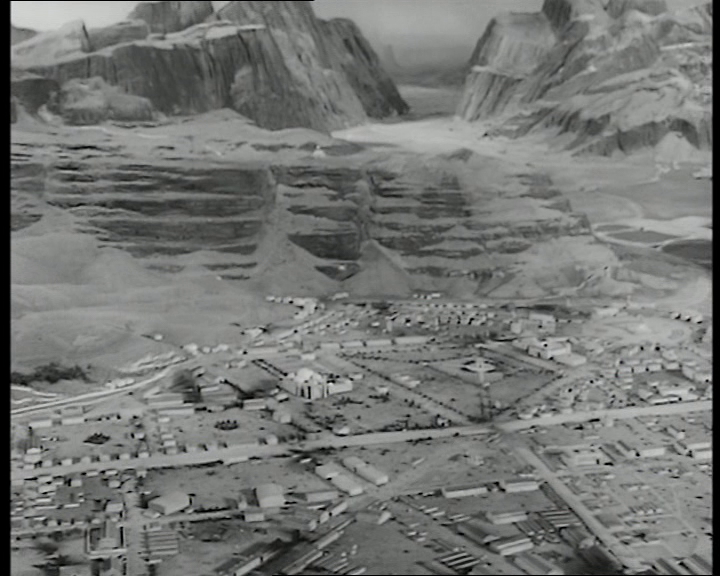 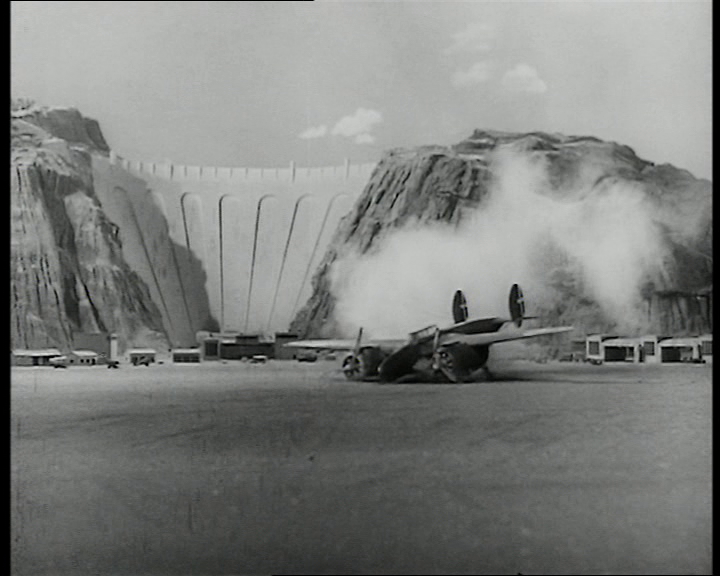 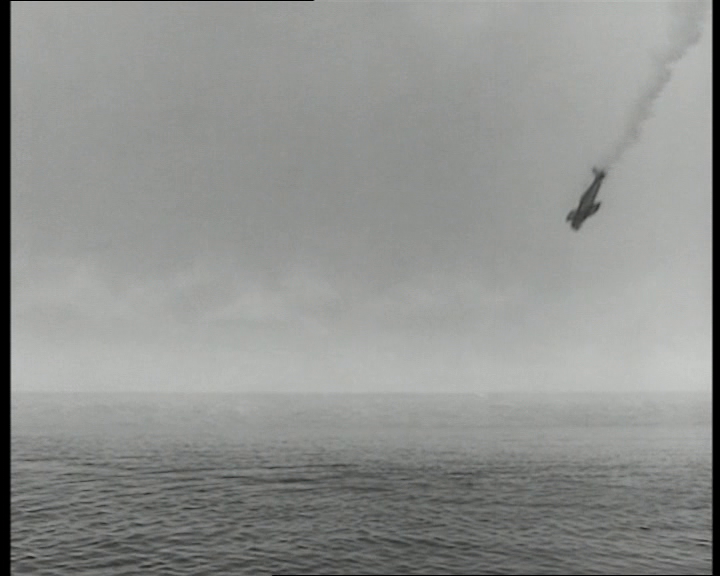 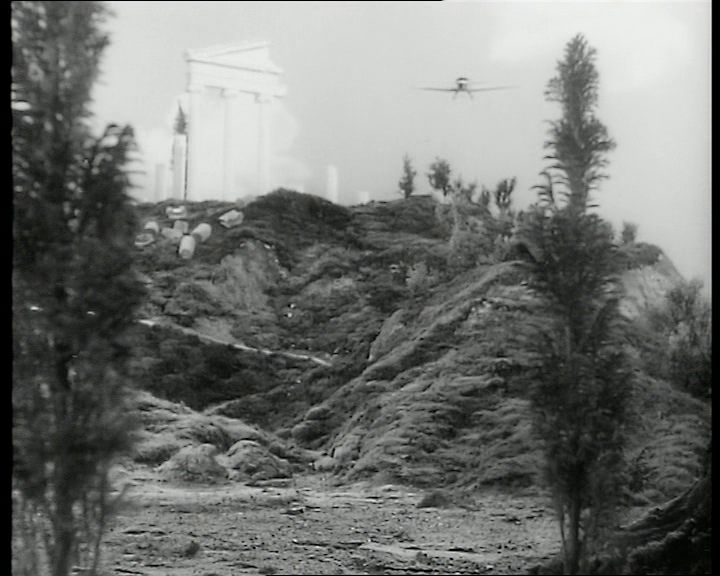 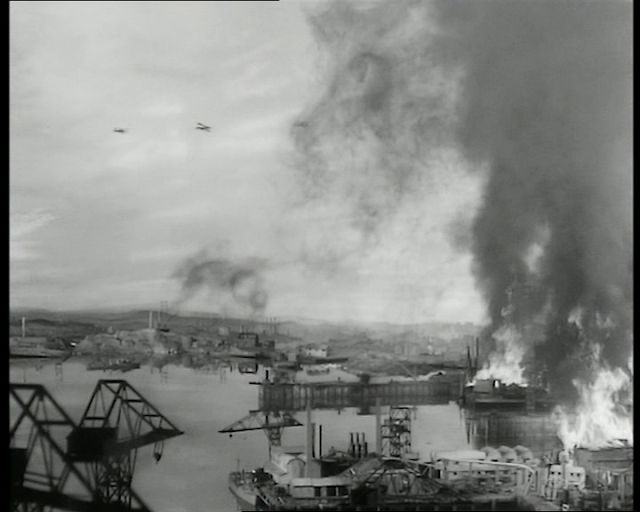 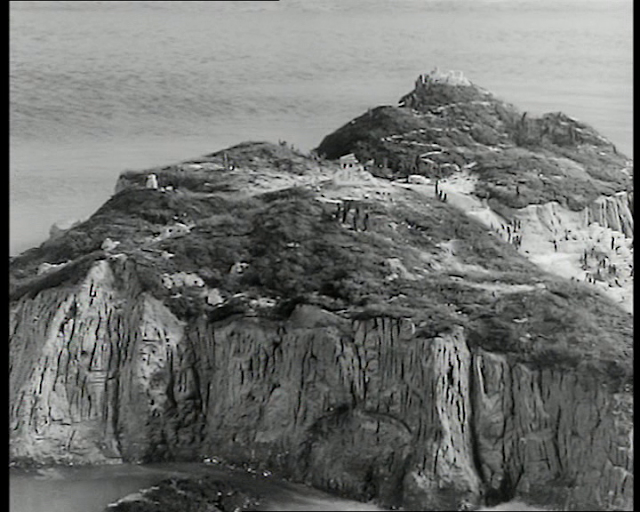 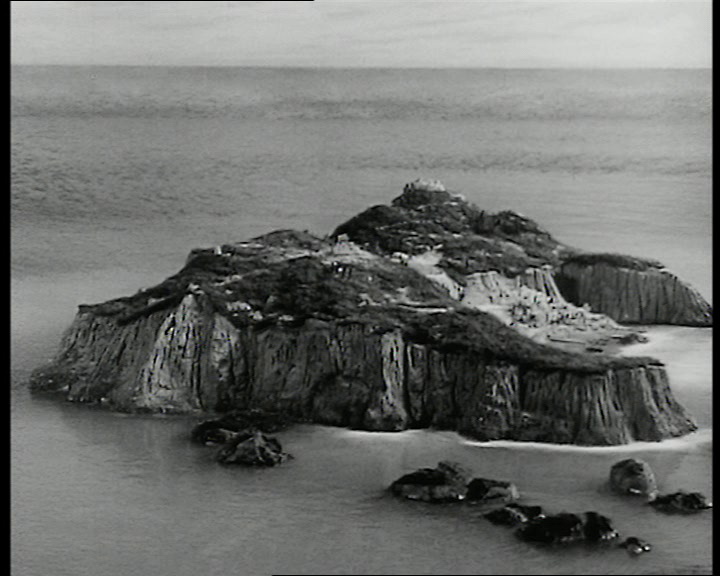 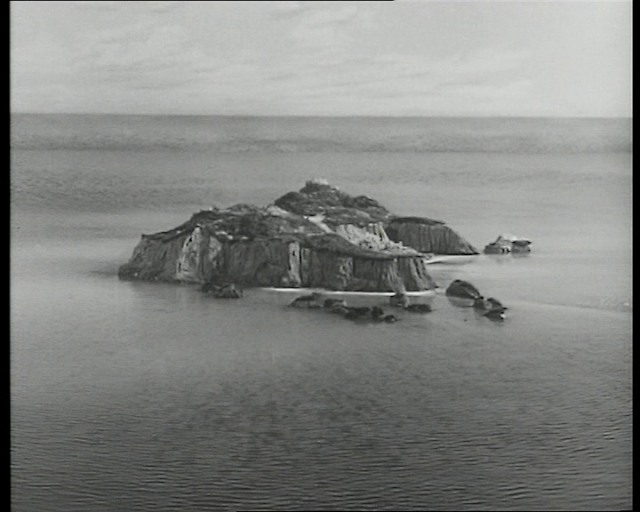 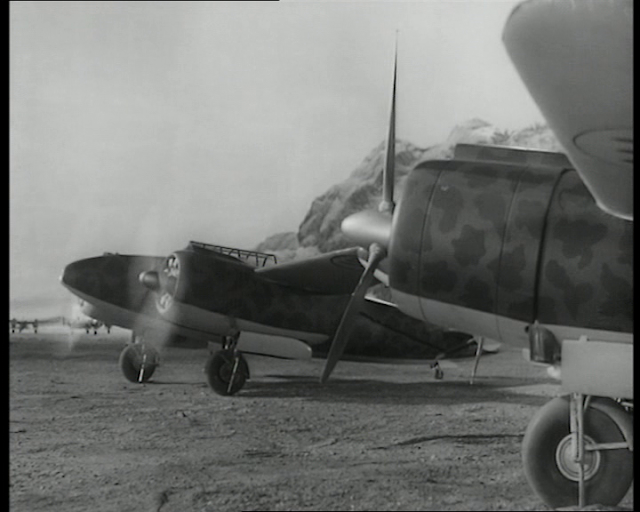 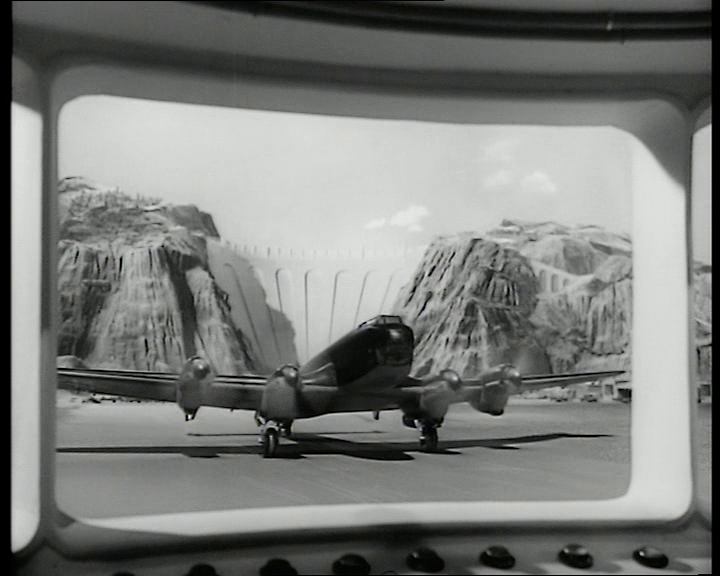 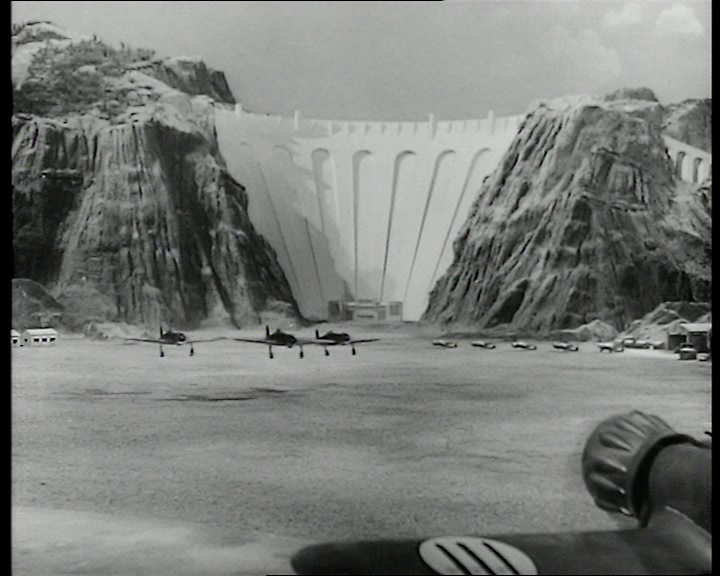 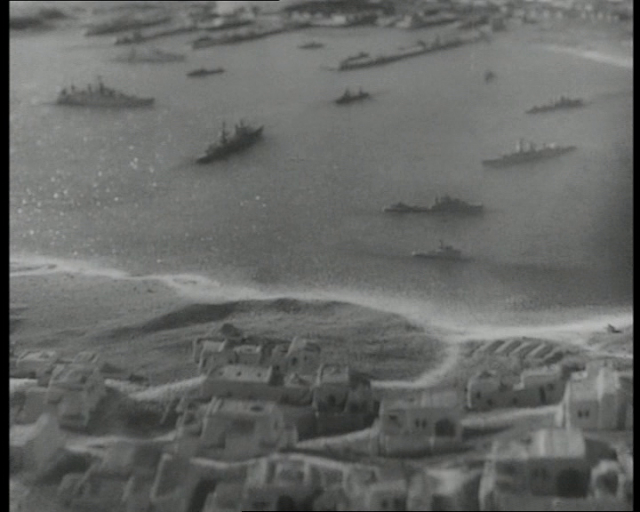 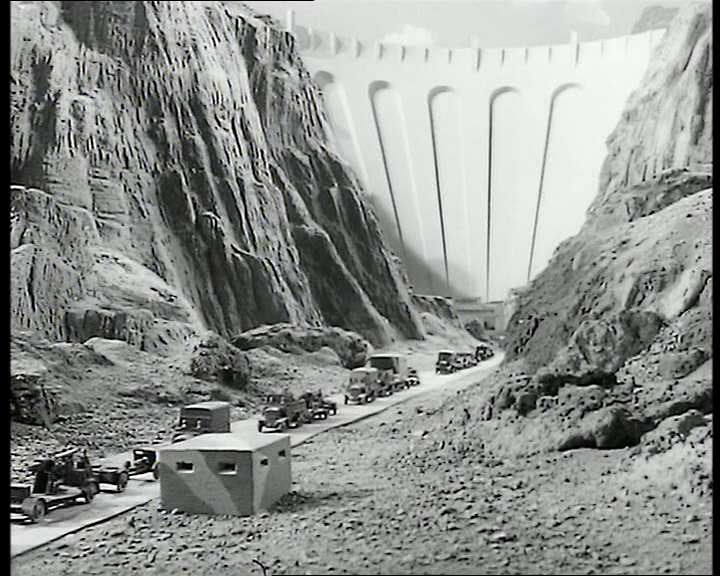 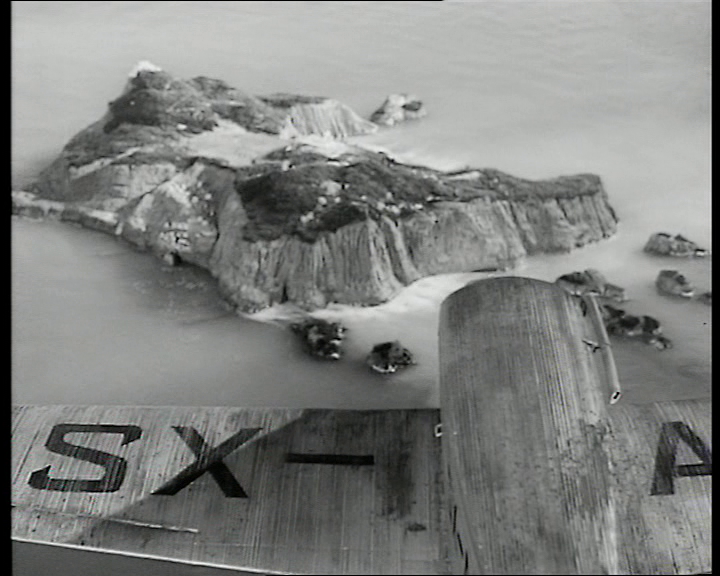 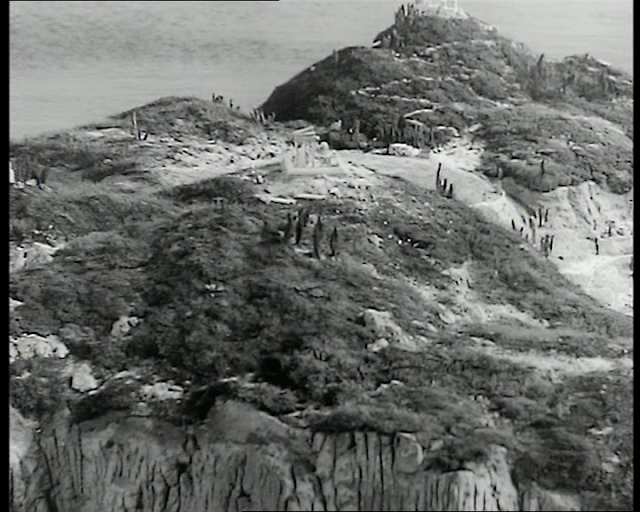 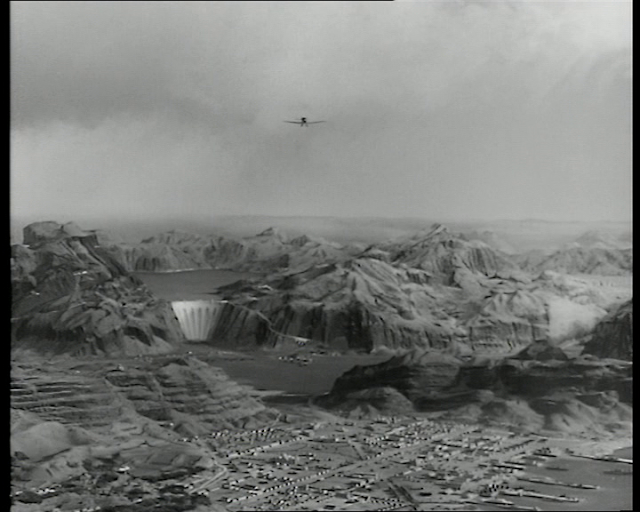 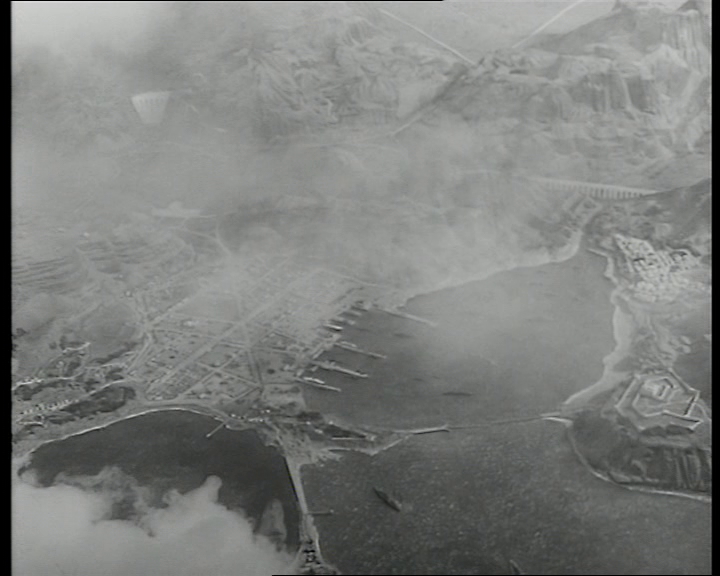 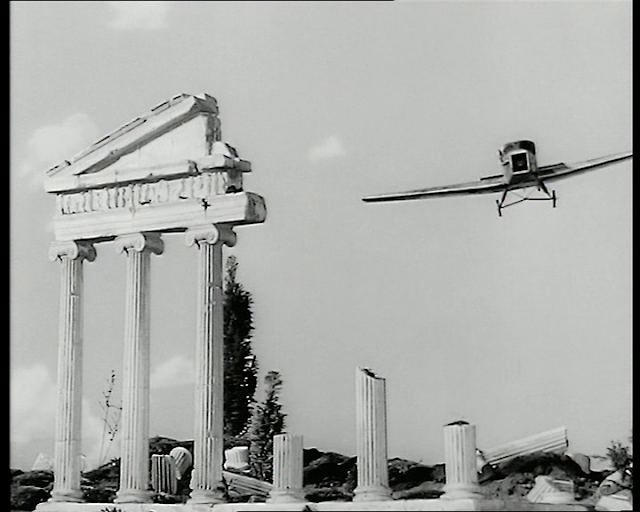 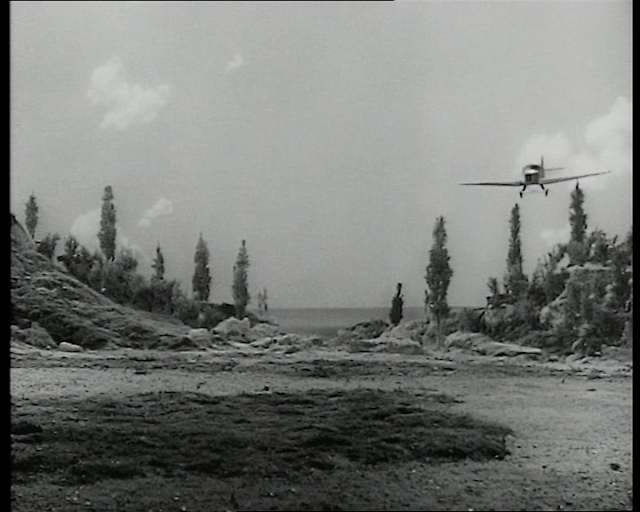 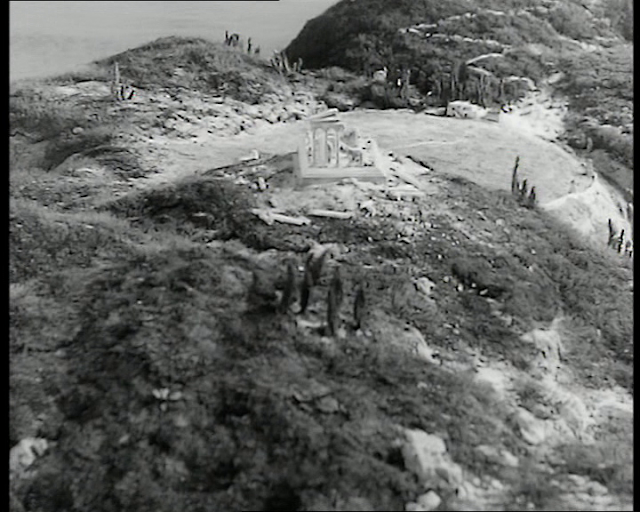 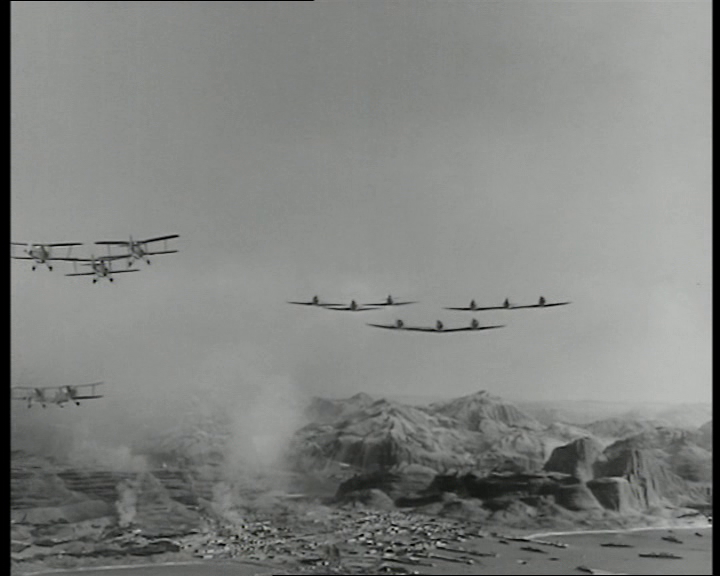 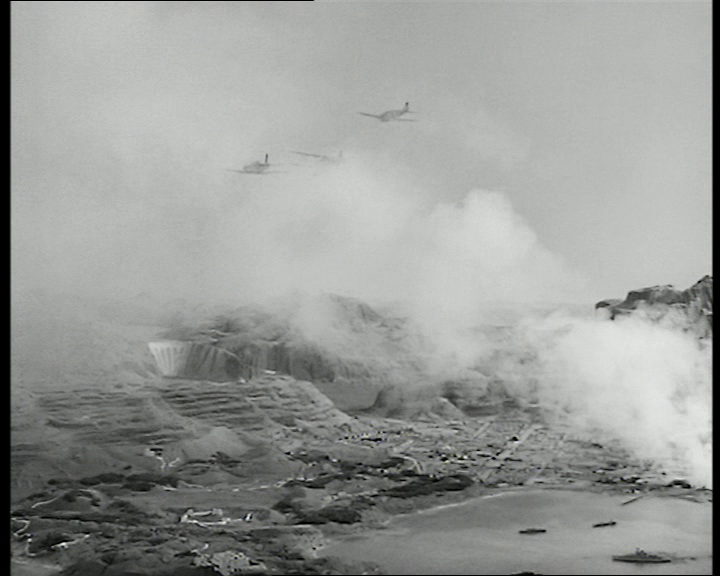 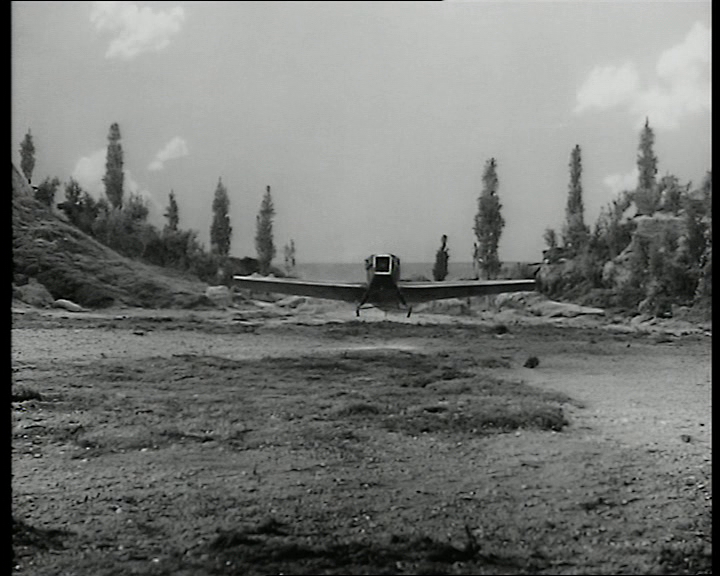 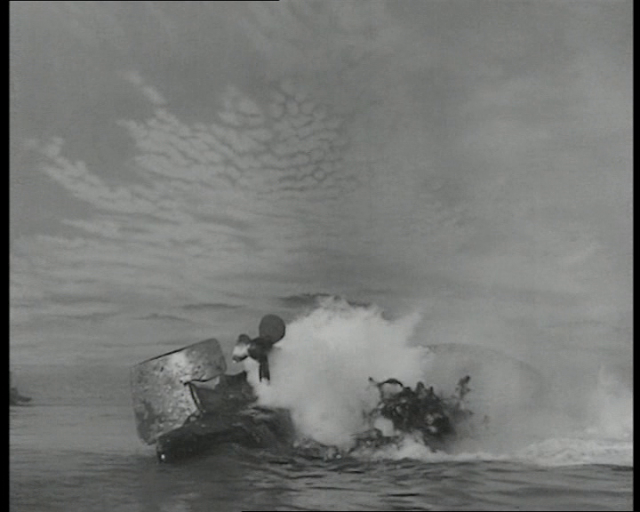 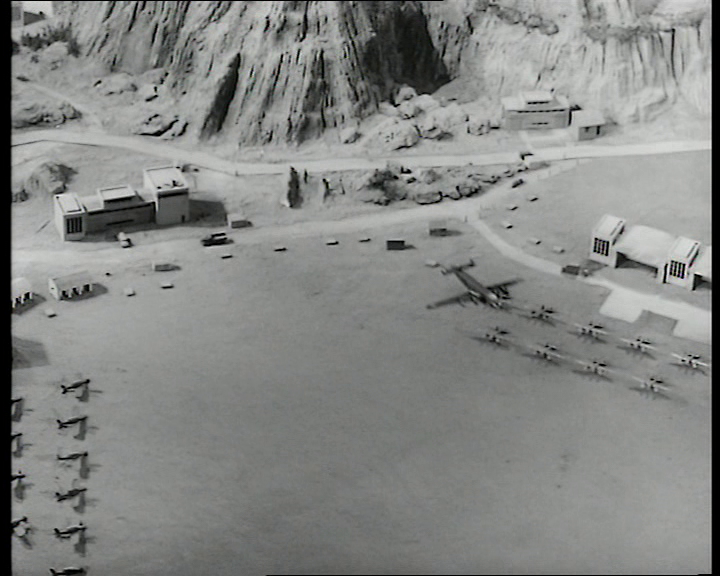 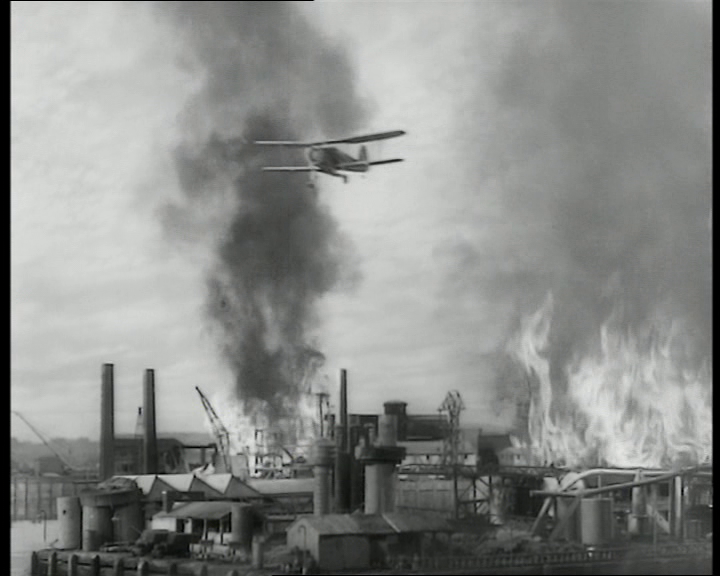 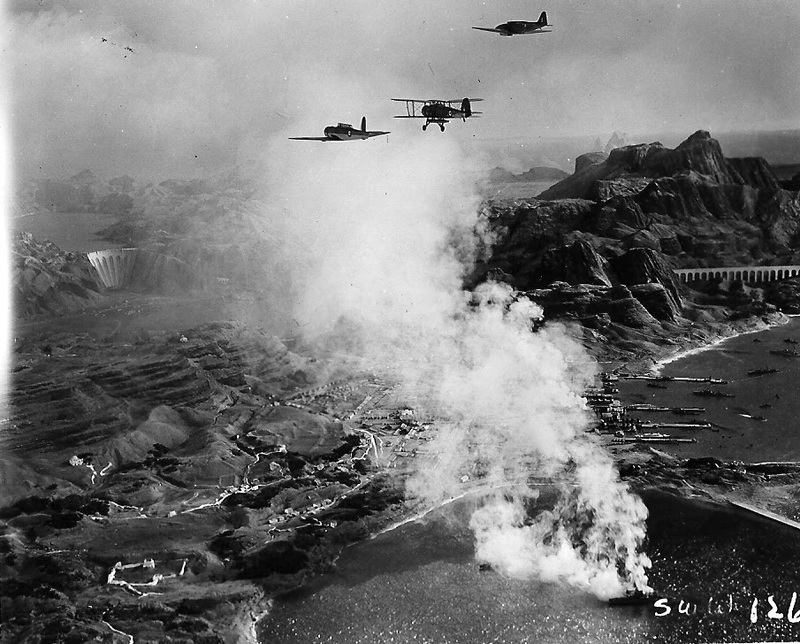 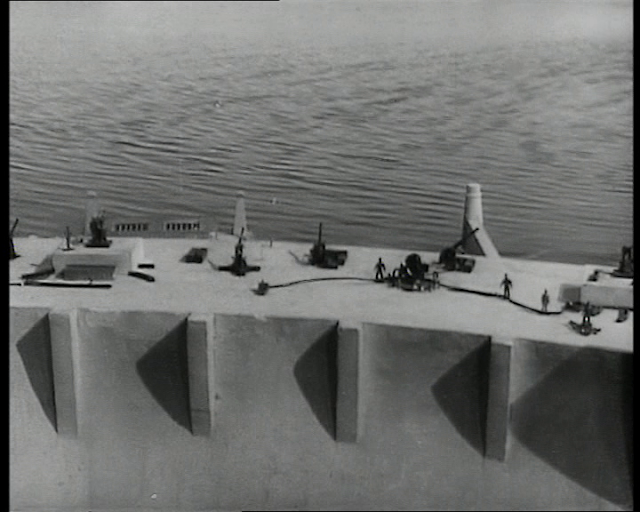 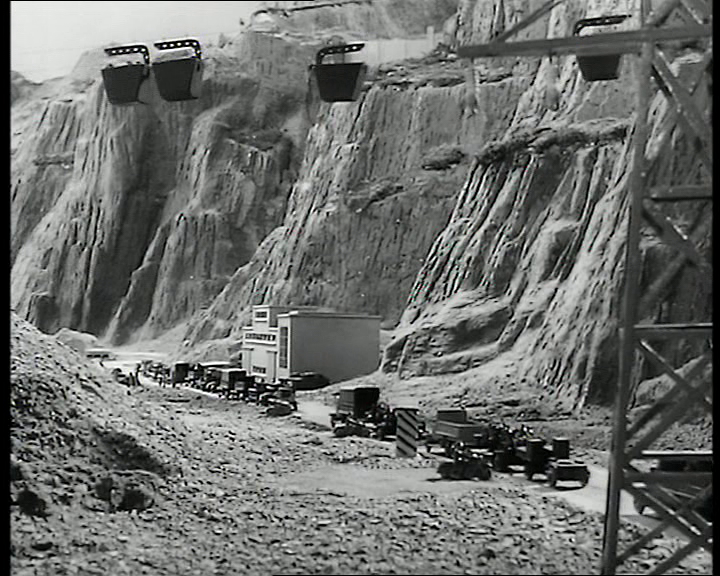 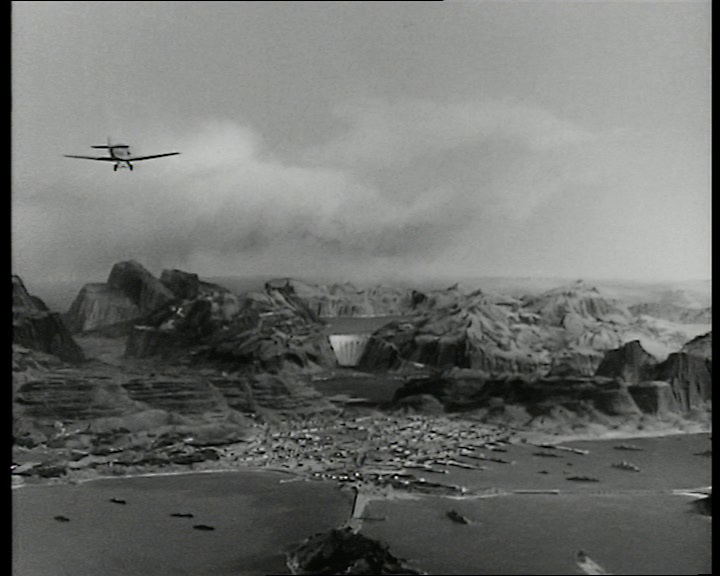 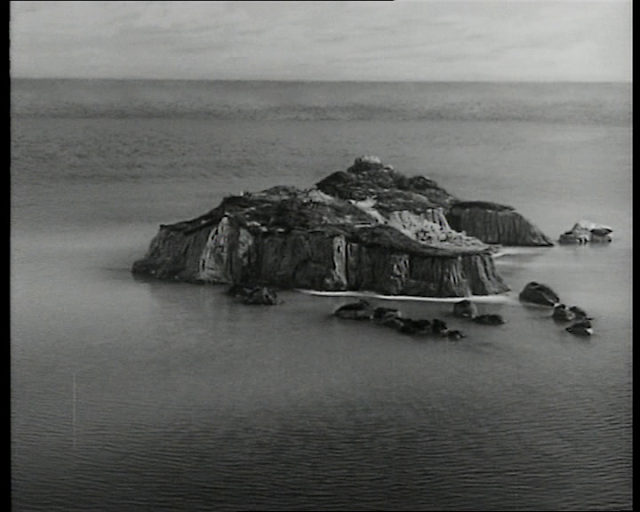 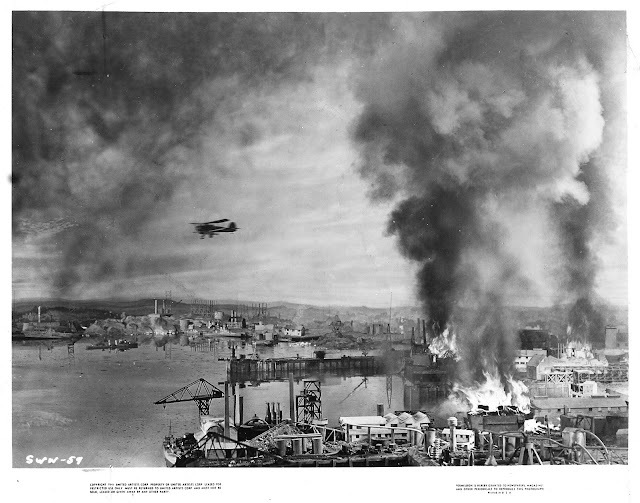 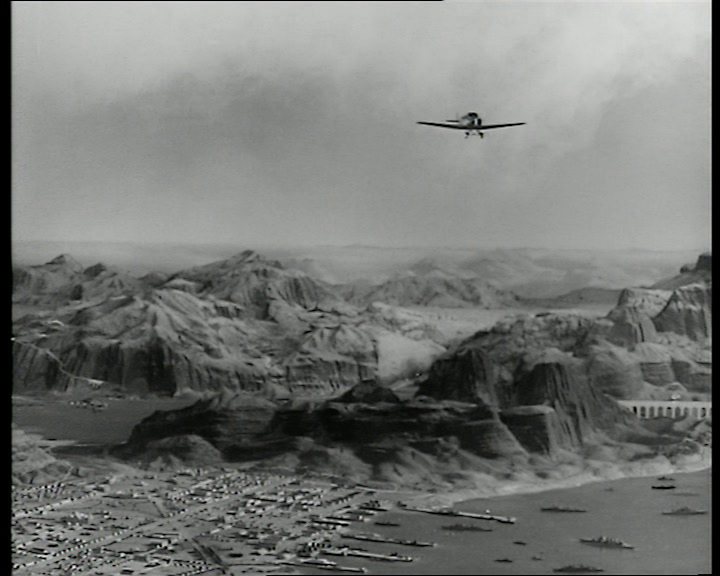 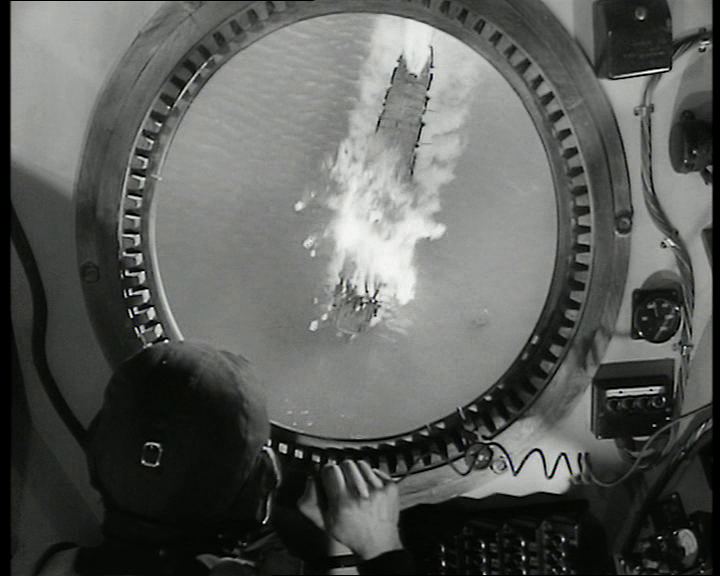 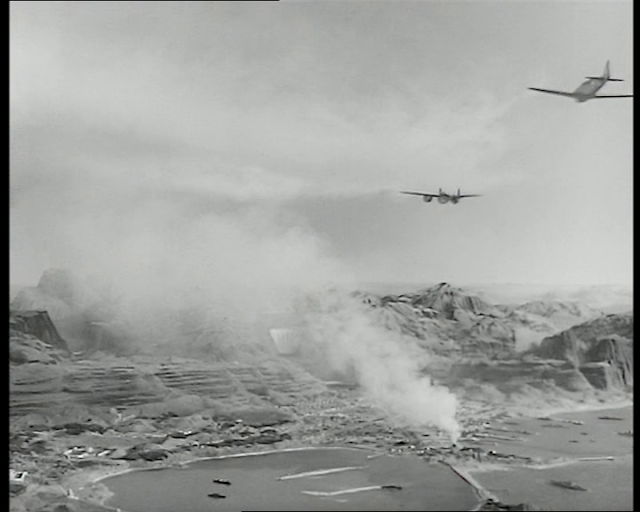 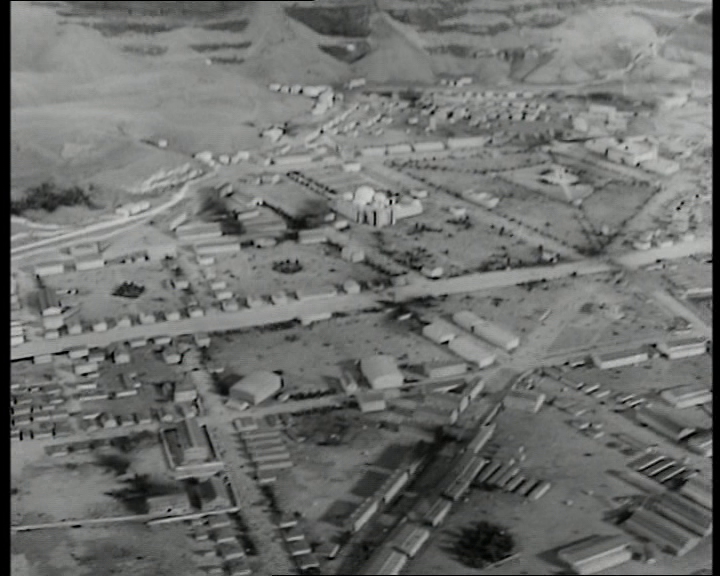 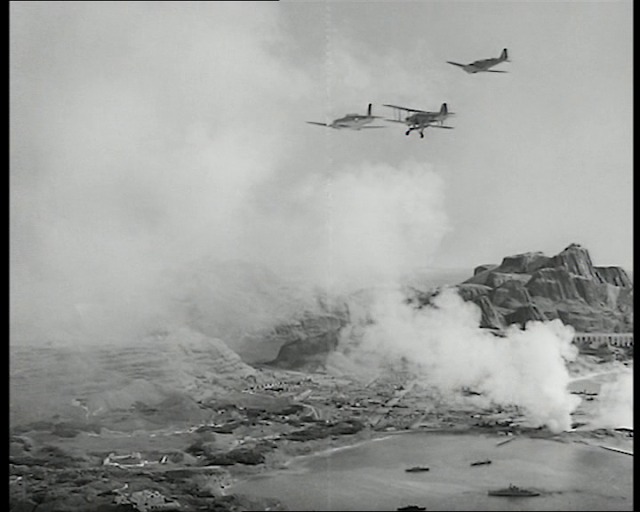 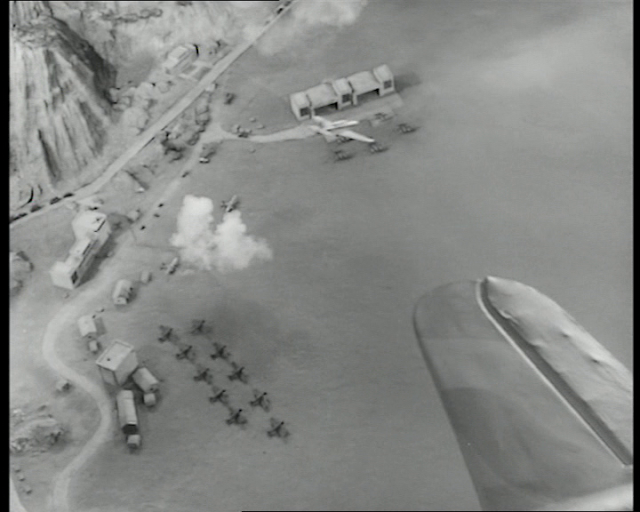 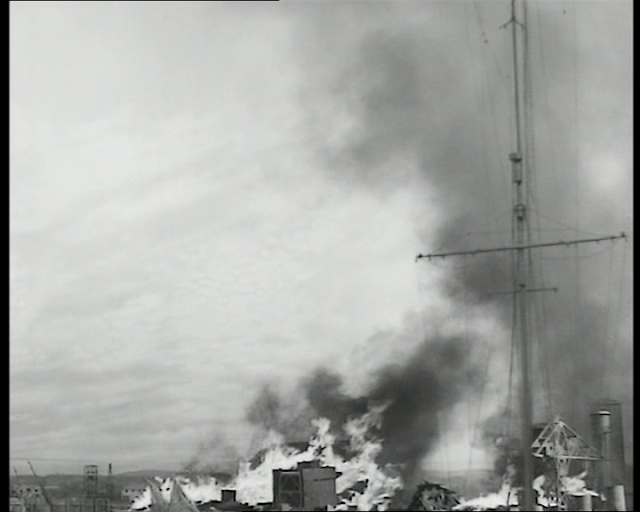 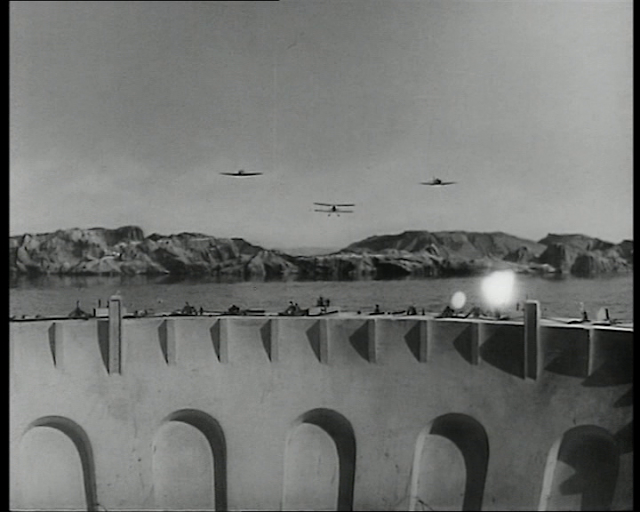 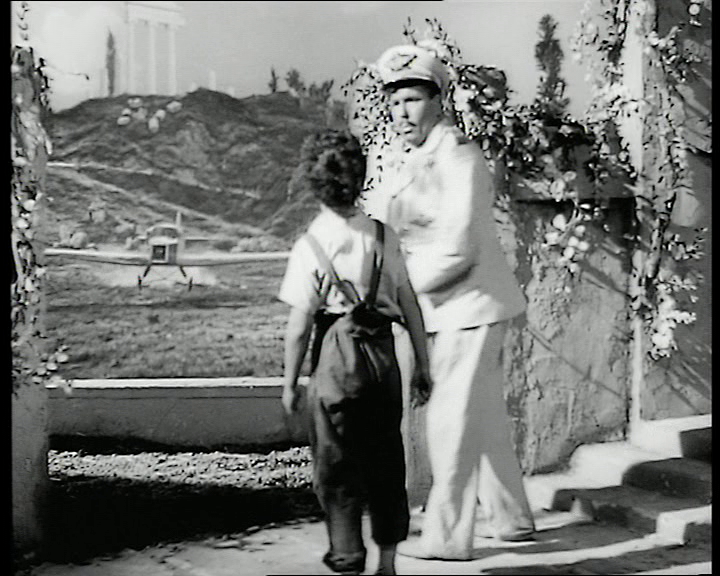 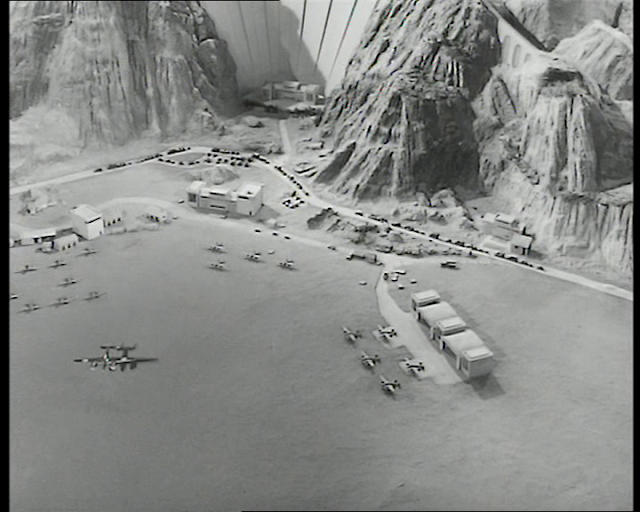 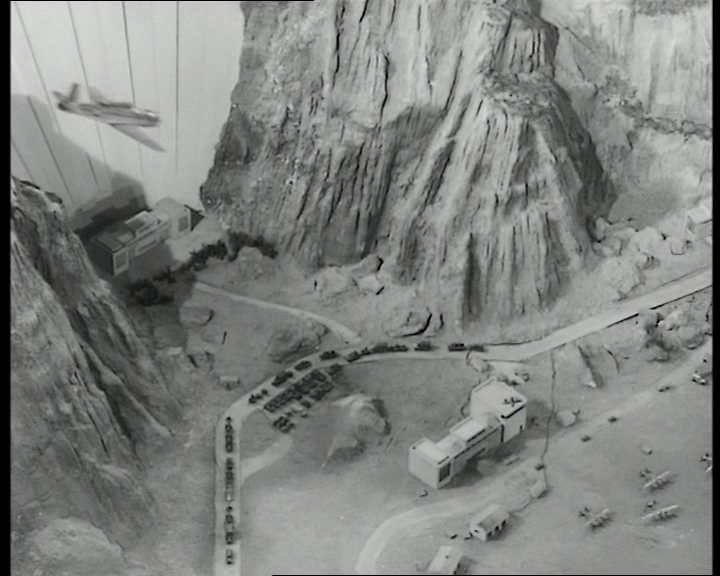 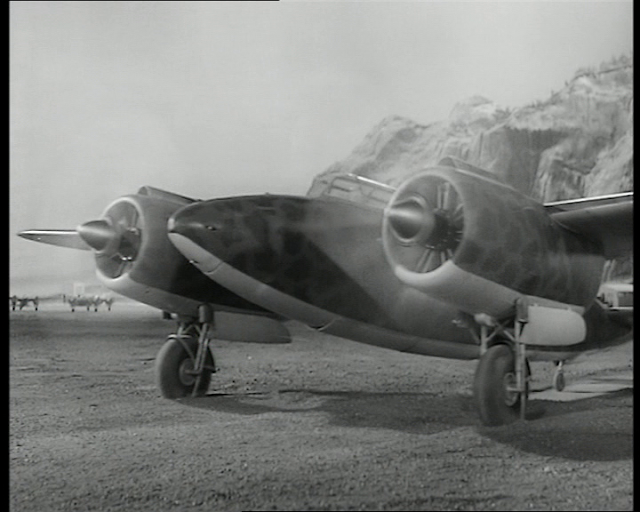 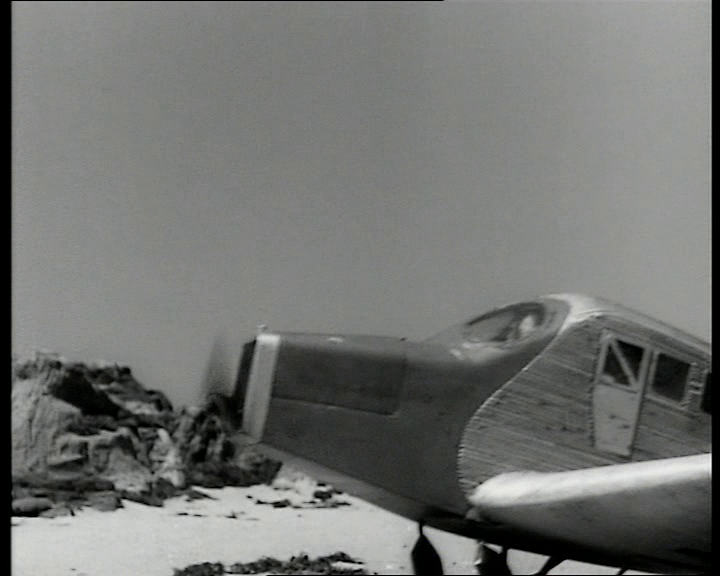 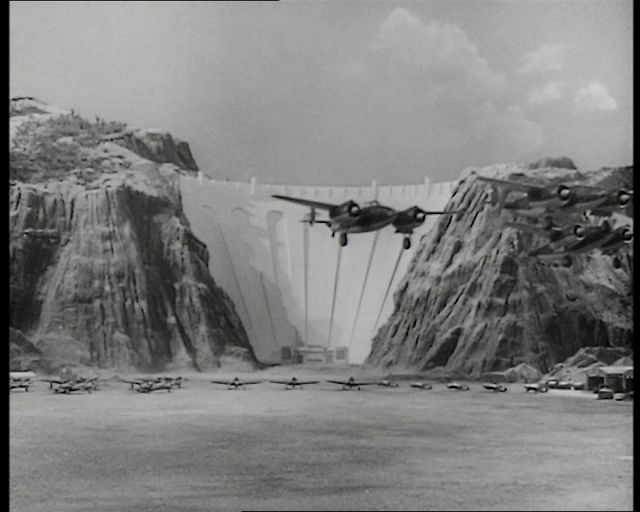 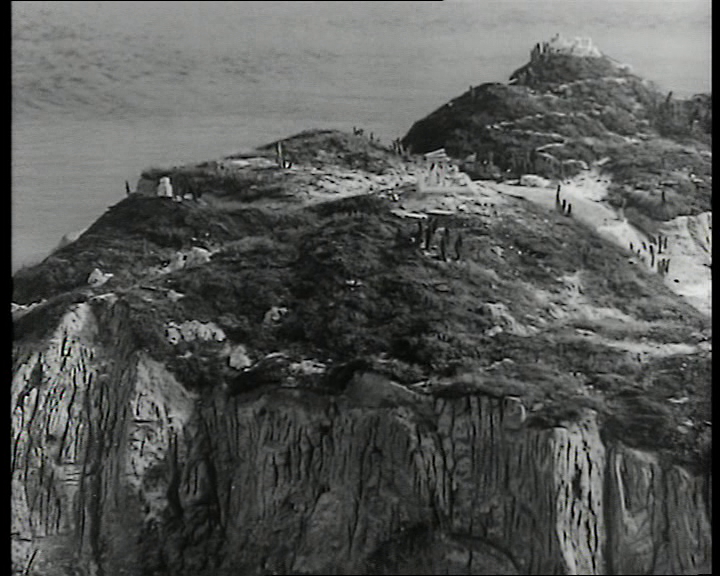 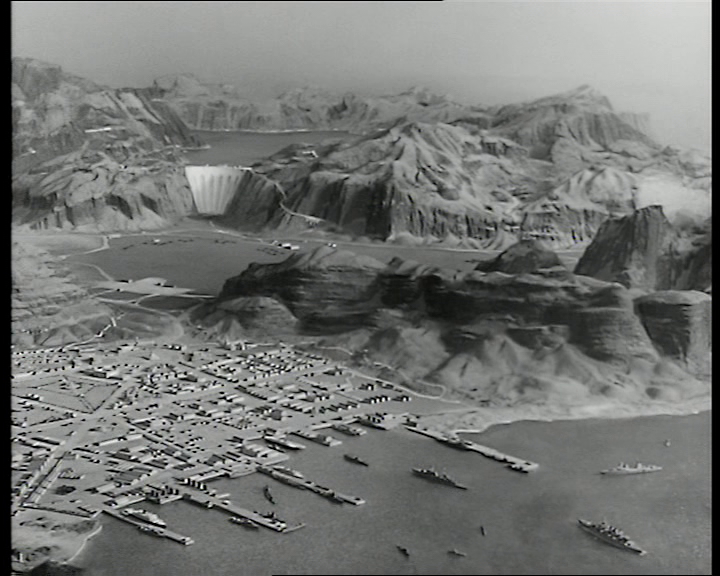 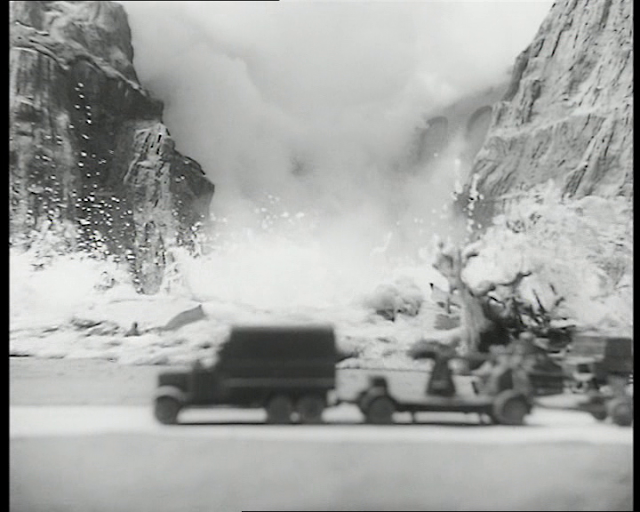 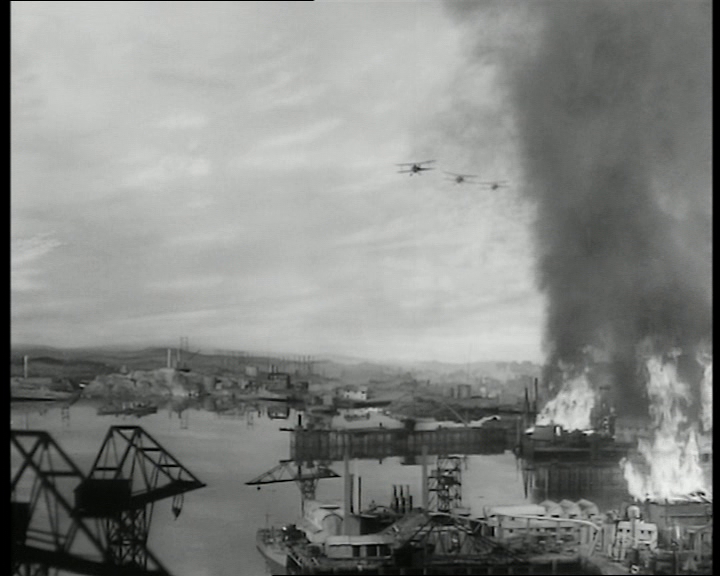 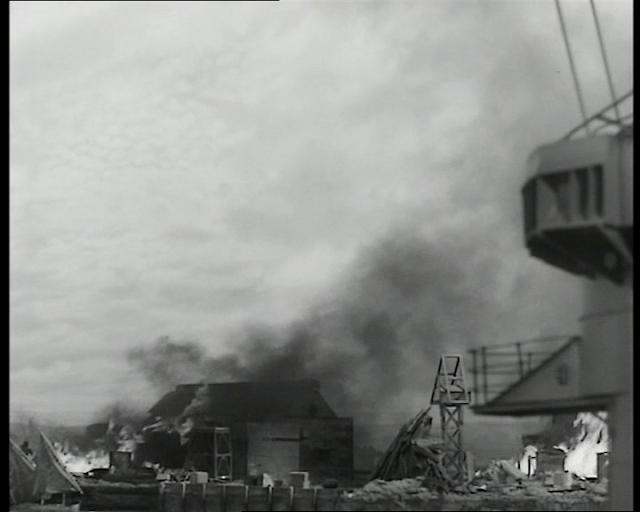 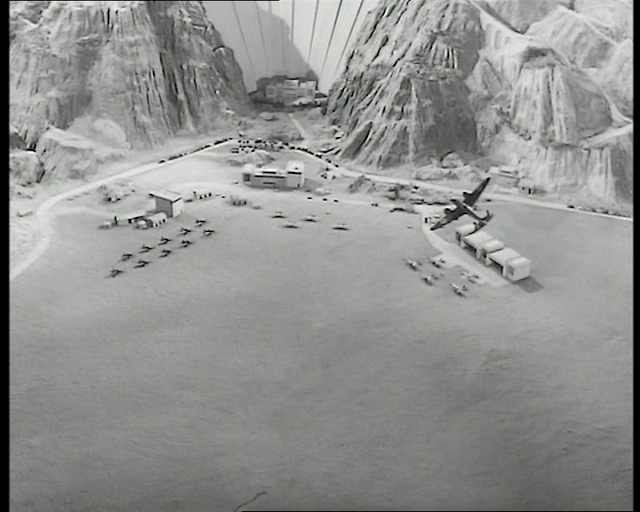 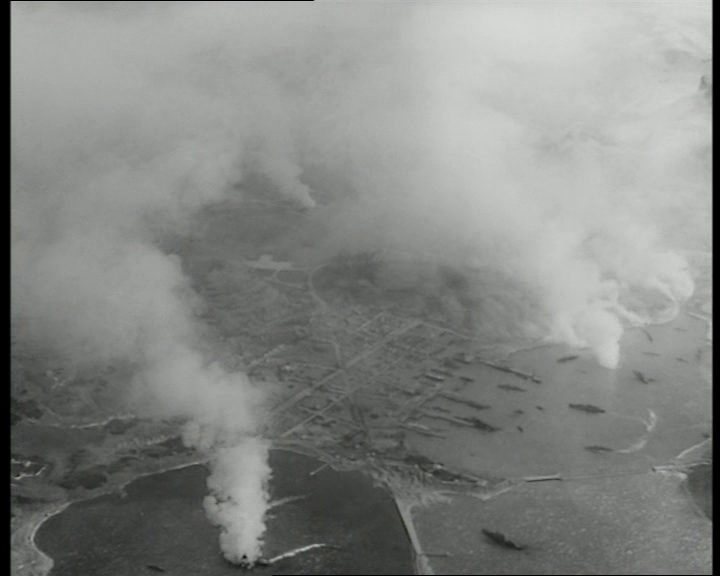 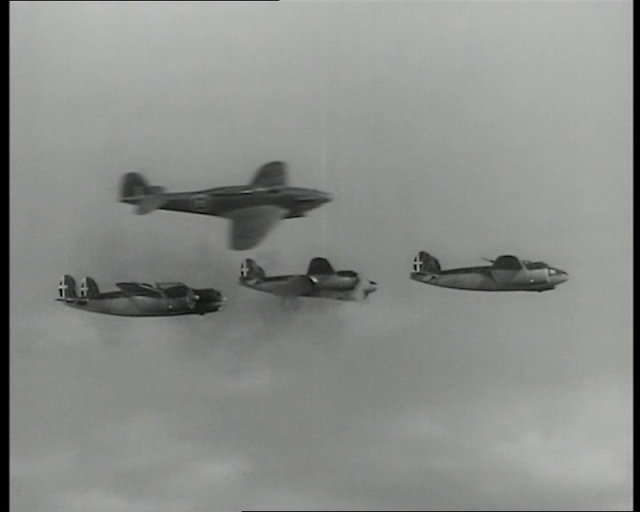 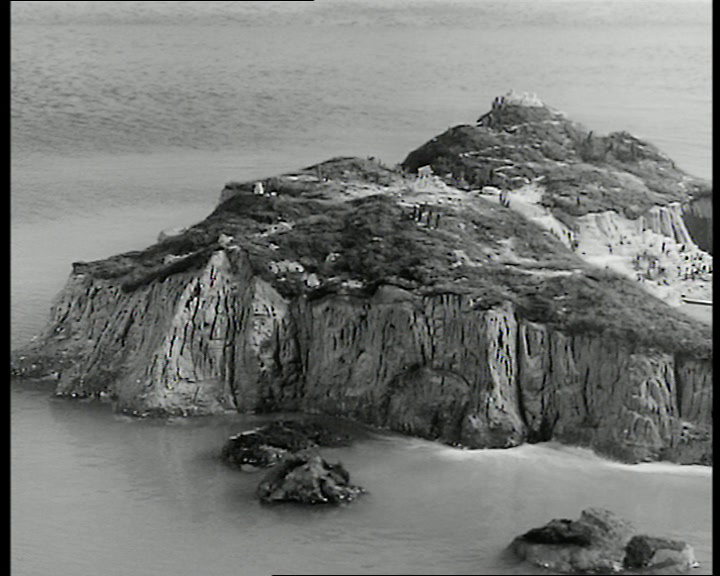 There is a huge amount of miniature work in the film, from the aircraft carrier and its compliment of aircraft, Italian attacking aircraft, a dock facility and ships getting bombed, and a fictional Greek island which looks somewhat like Tracy Island from the Thunderbirds puppet series. 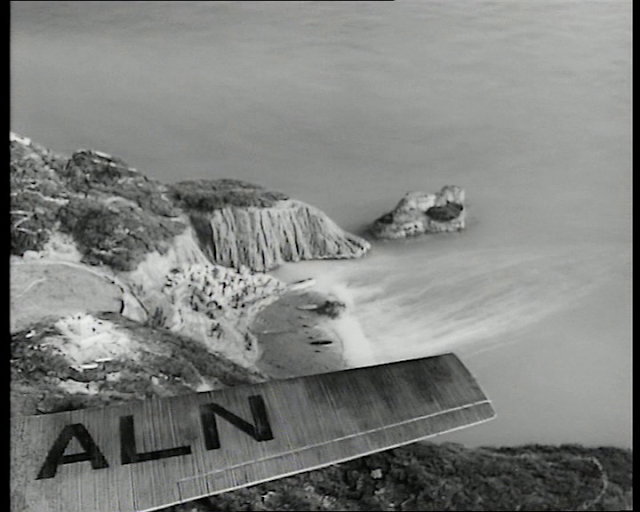 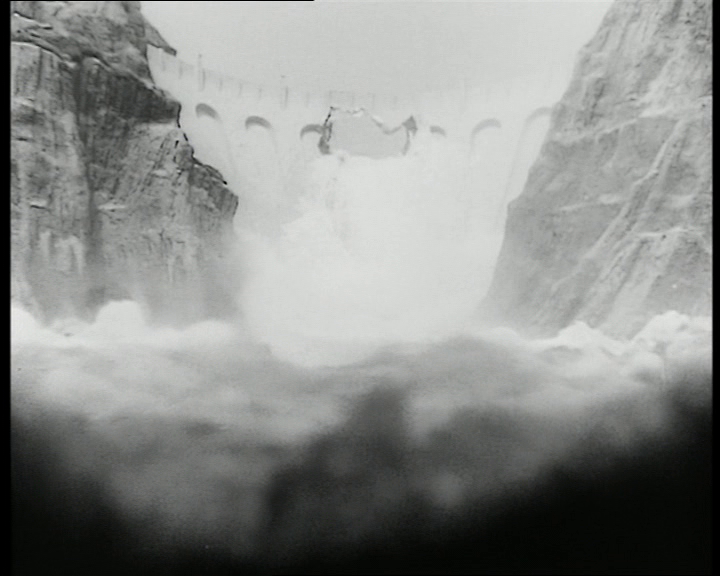 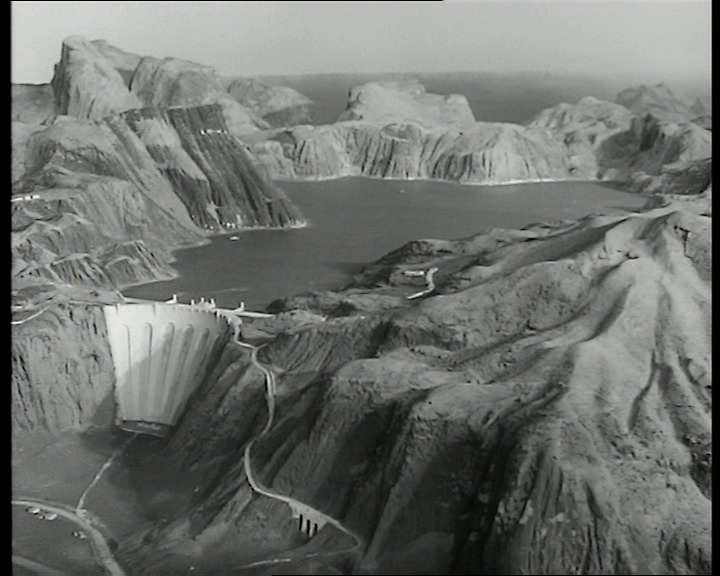 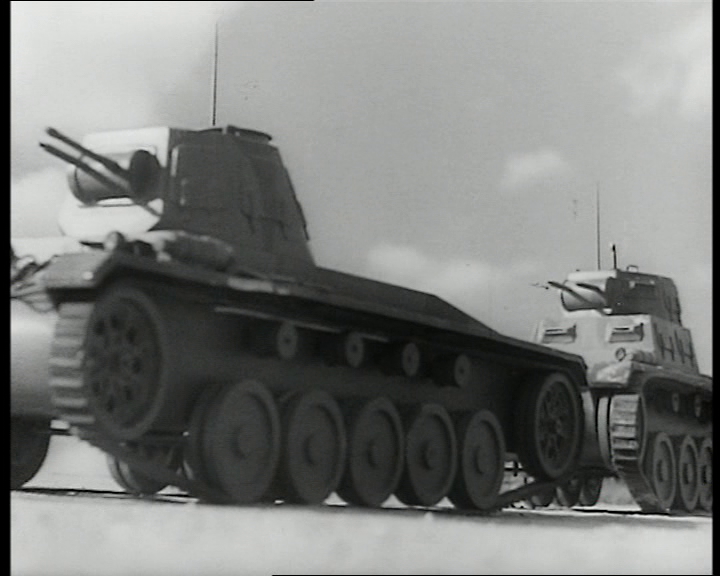 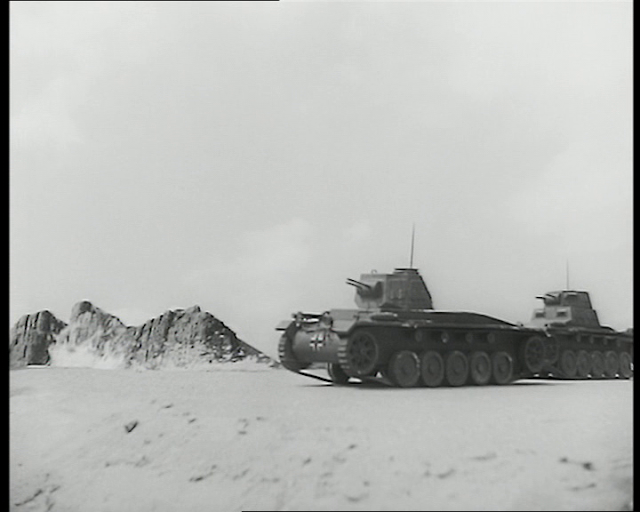 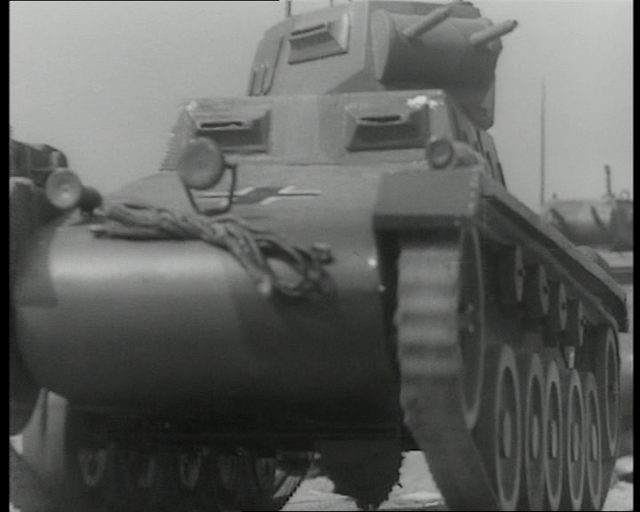 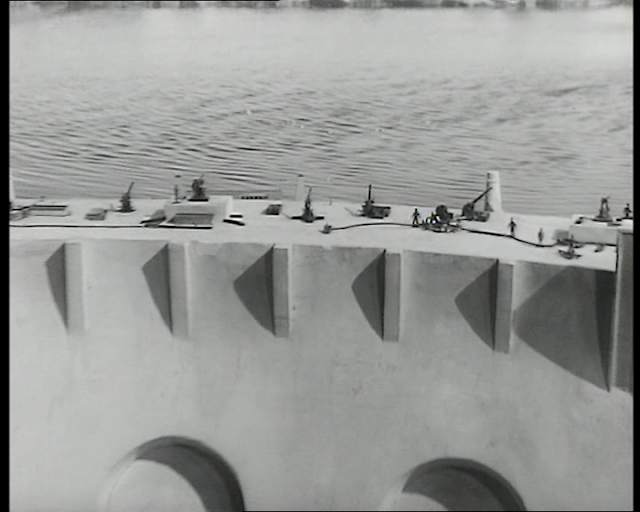 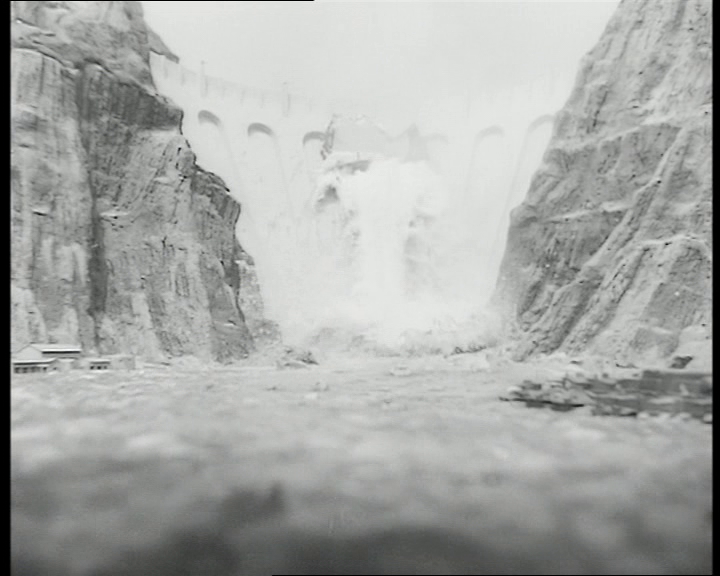 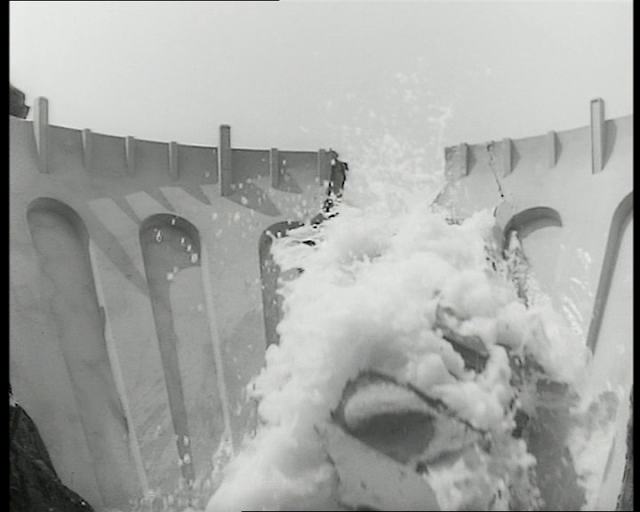 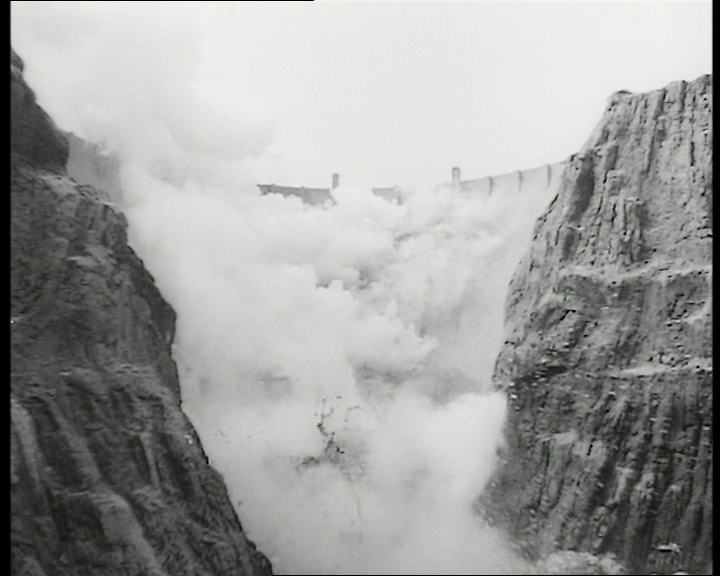 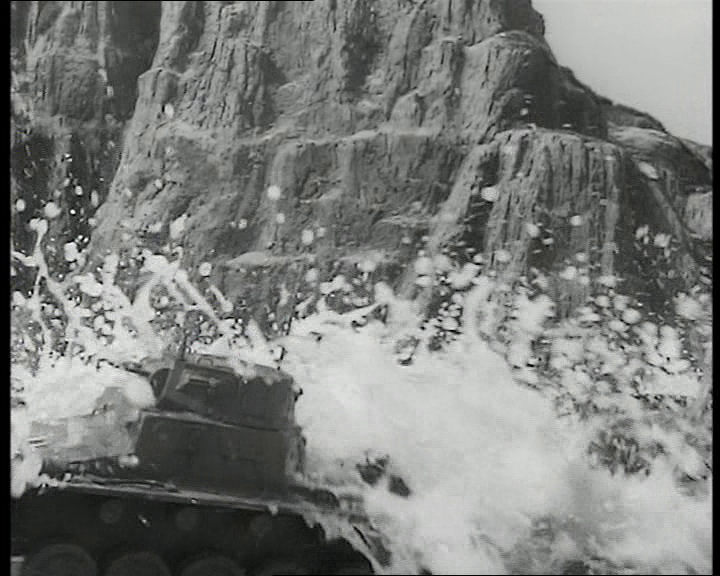 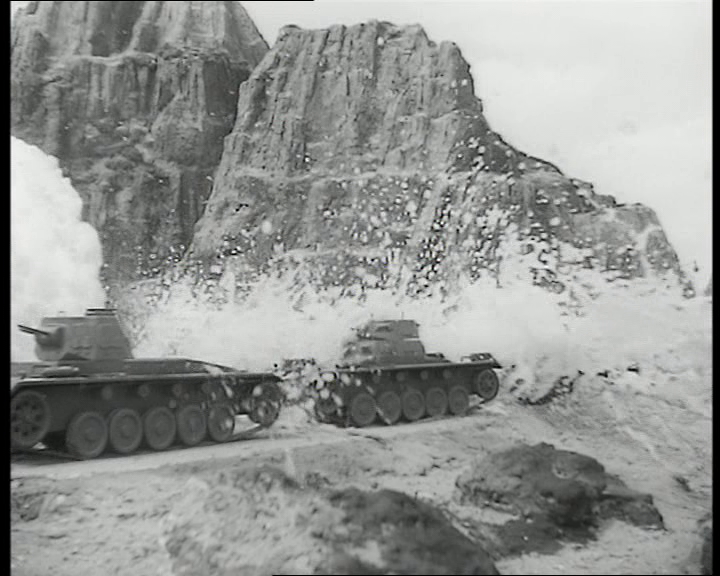 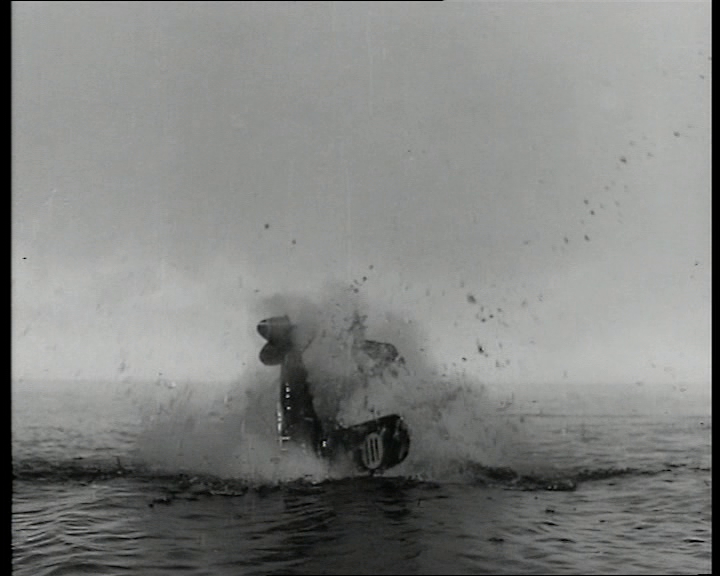 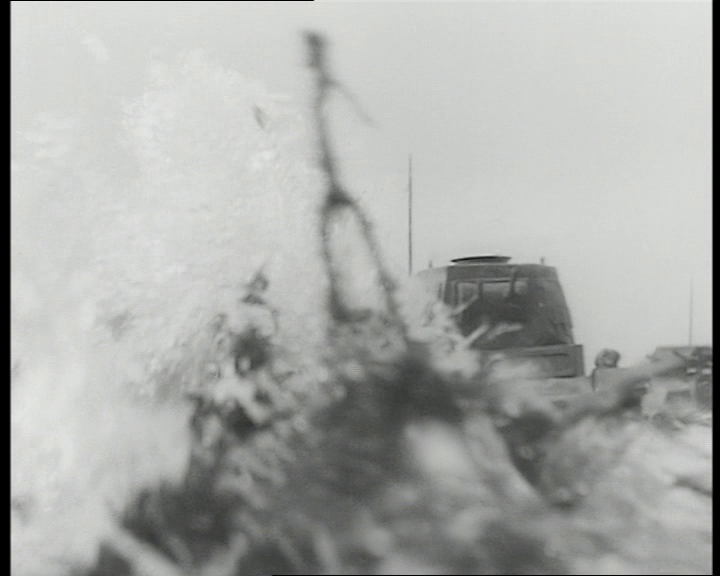 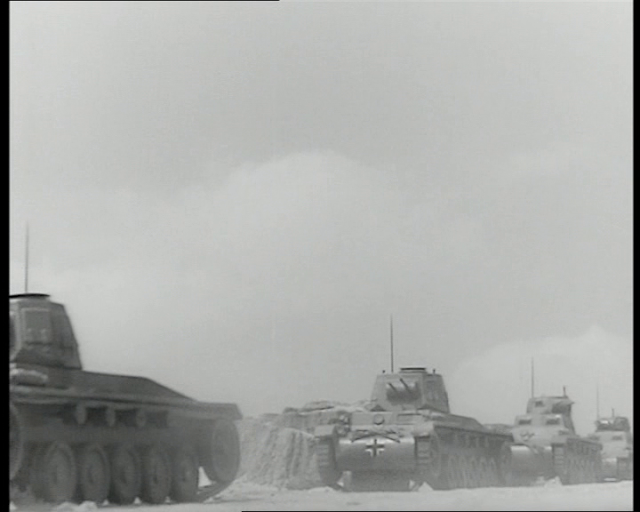 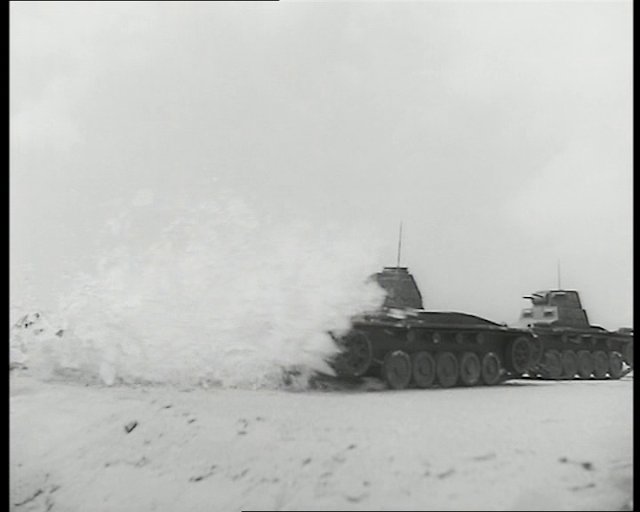 There is even a dam burst sequence with miniature German tanks and vehicles being inundated by the water. 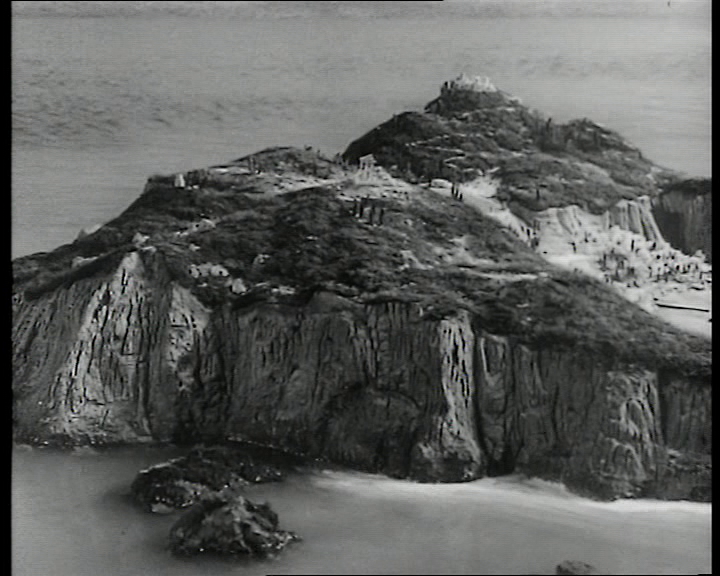 One thing to note about the miniature Island is what looks like milk in the water around parts of the Island to represent surf. 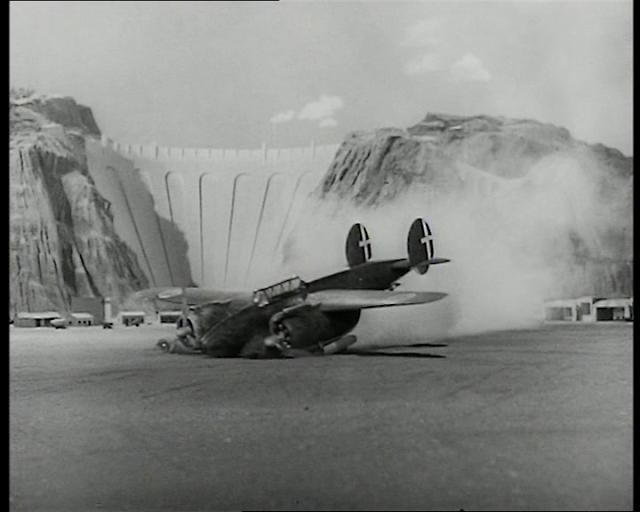 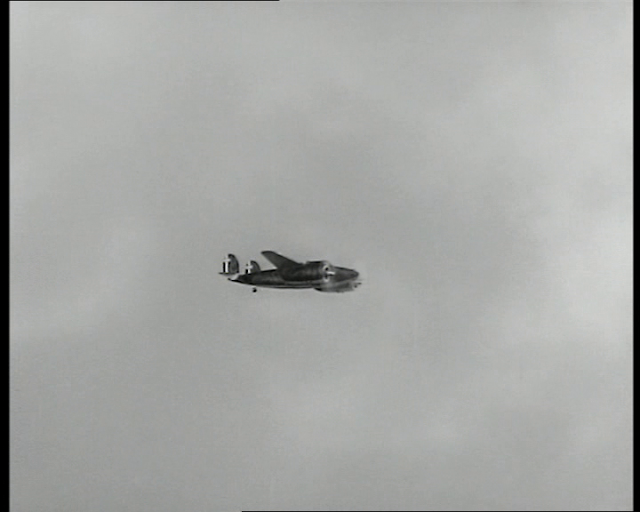 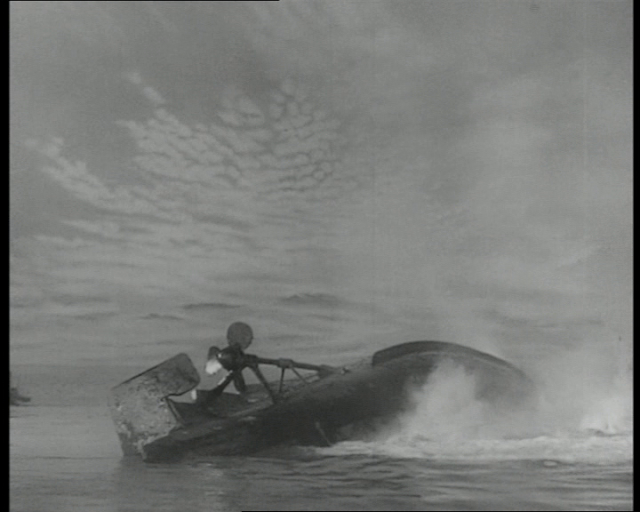 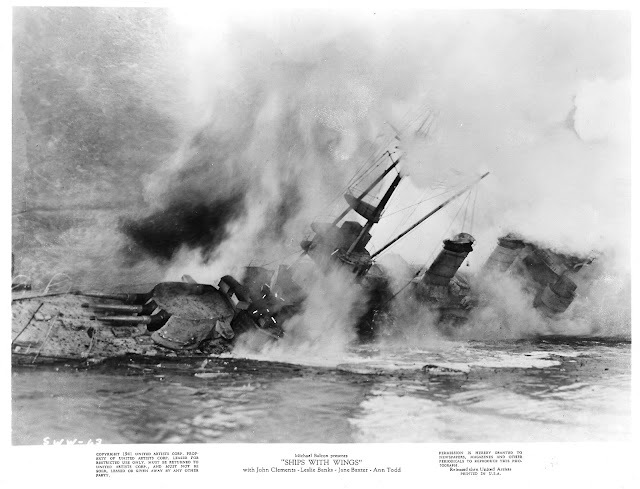 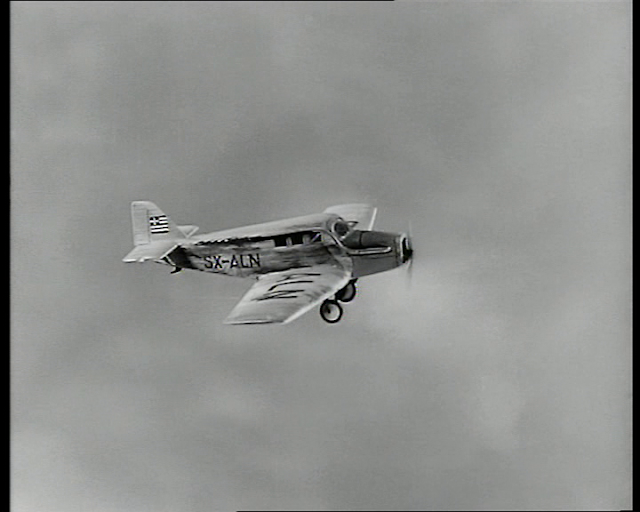 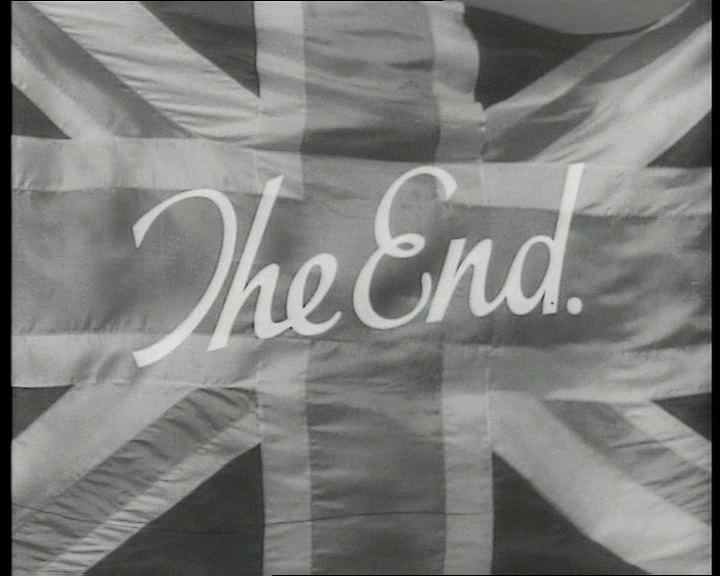 The film can be found on DVD among a series of Ealing Studios' releases.